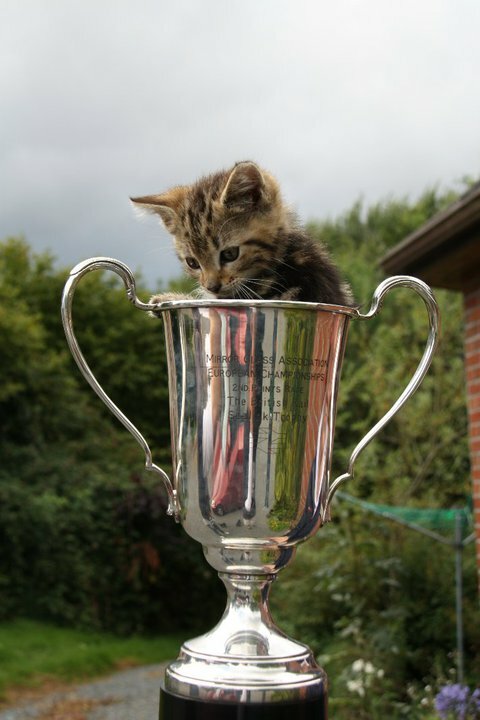 I don't know who provided the photos, but thanks ! 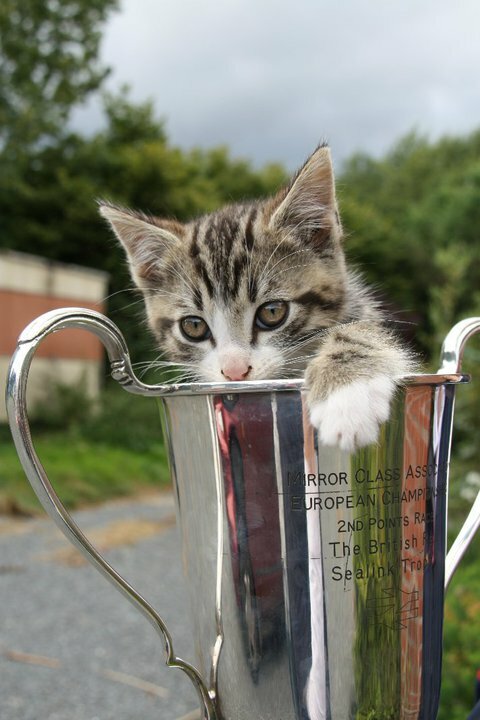 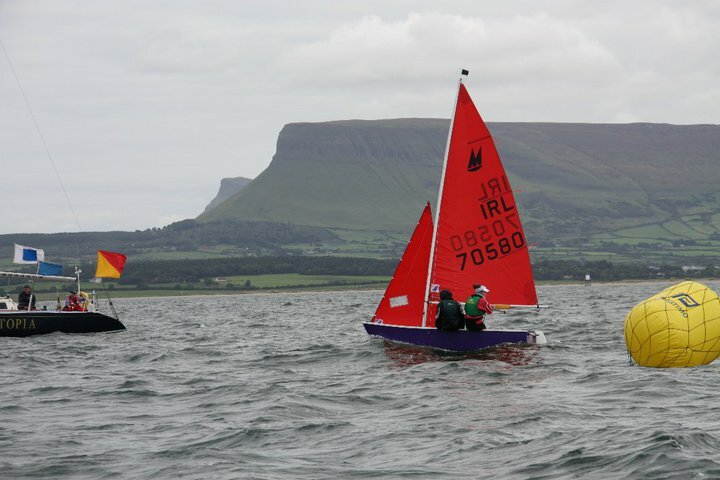 Would you please let me know if you are planning on going to Ireland for the European Championships. 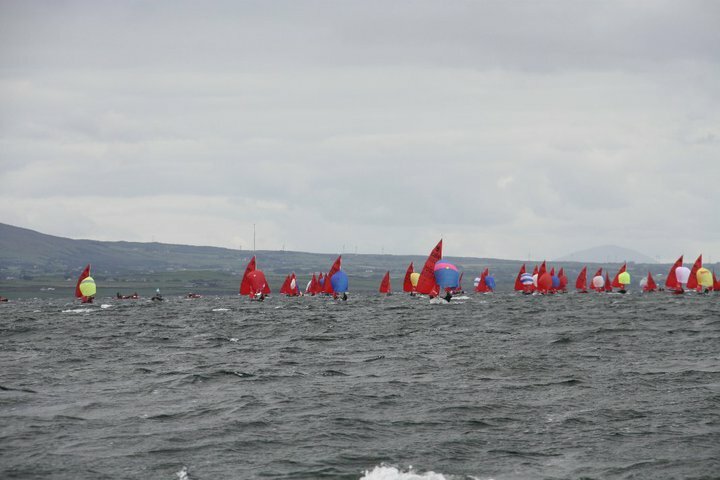 There are quite a few UK boats going. 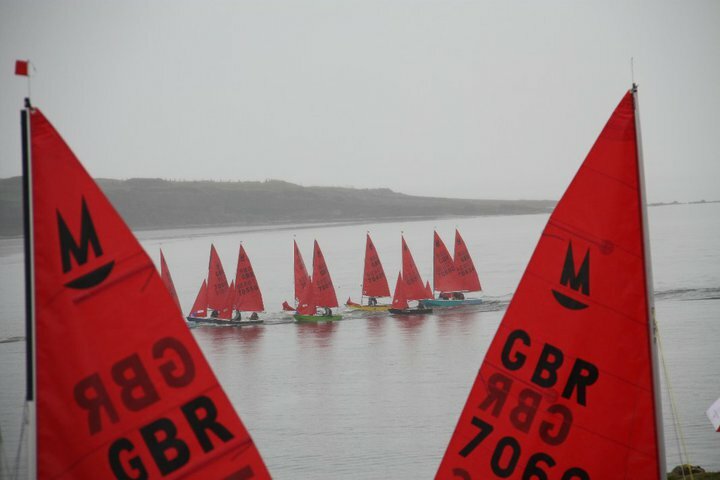 We are planning some pre event coaching and support for crews during the event. 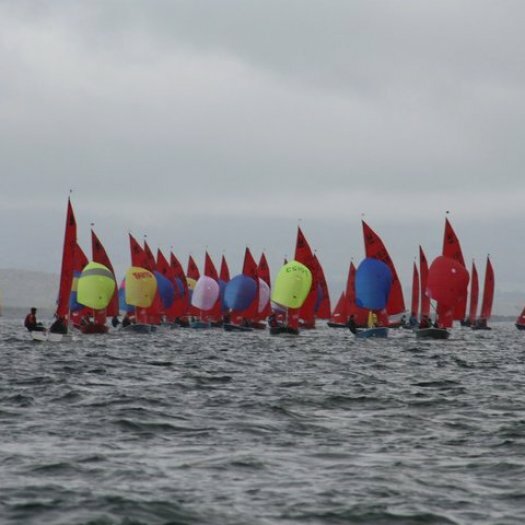 This will be an RYA supported activity. 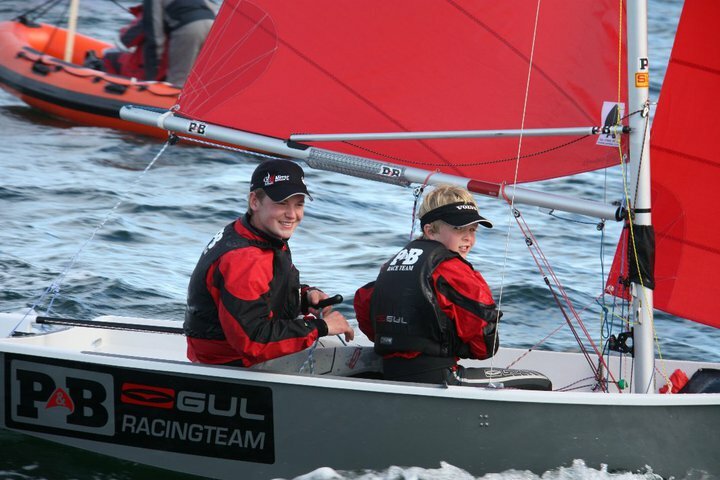 We need to know numbers. 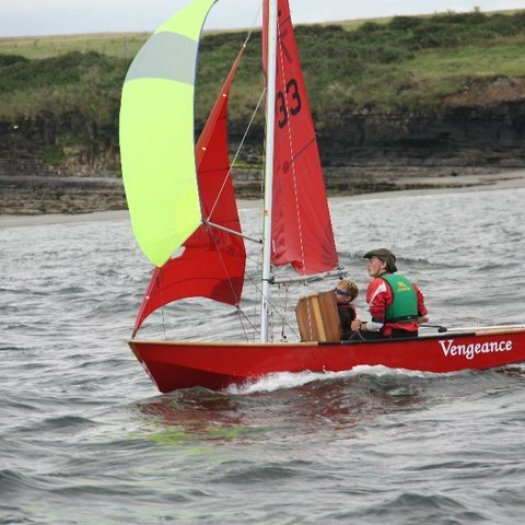 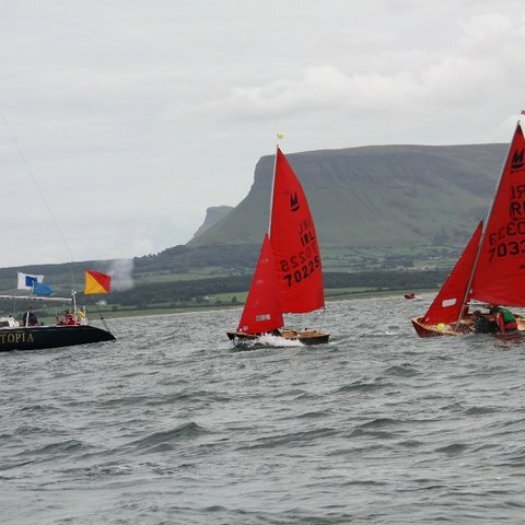 The 2010 Mirror European Championship will be held at Sligo Yacht Club (http://www.sligoyachtclub.org/) which is located at Rosses Point, County Sligo in the Northwest of Southern Ireland. 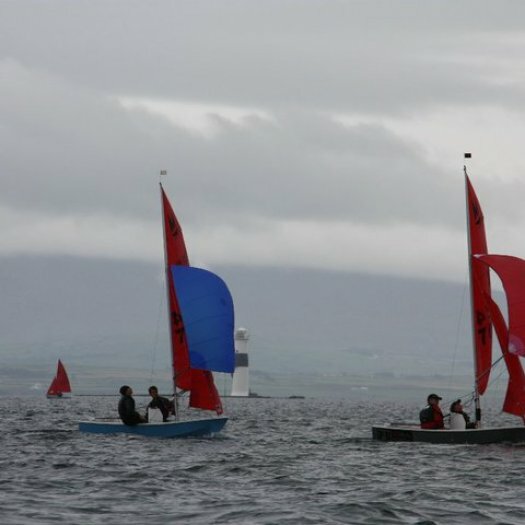 The event runs from Saturday 14th August to Friday 20th August, 2010. 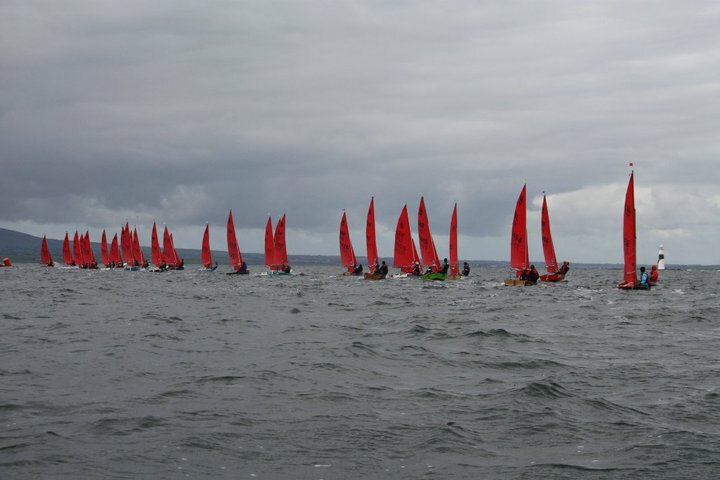 The Saturday and Sunday will be taken up with registration and measurement with racing from Monday the 16th to Friday the 20th (both dates inclusive). 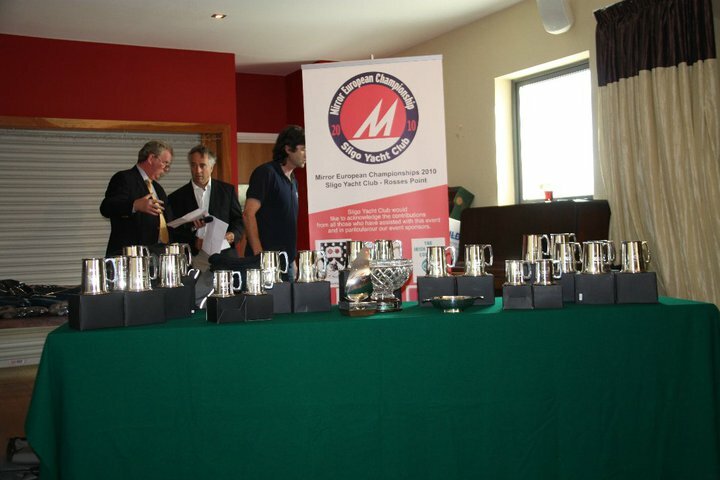 Prize giving will be on the Friday evening to be followed by the event banquet. 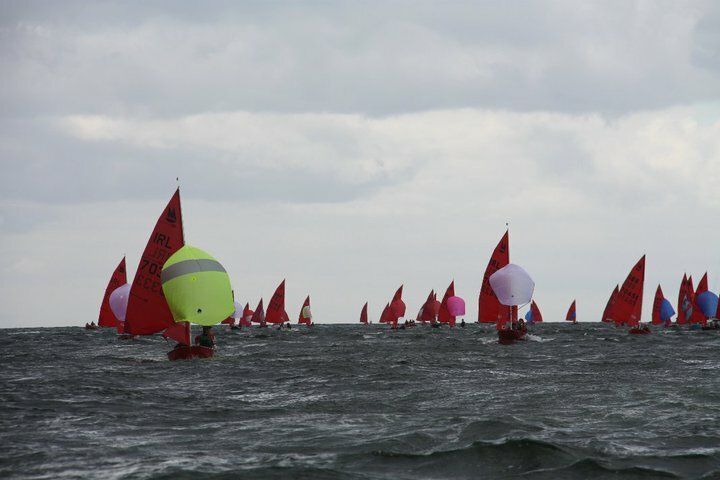 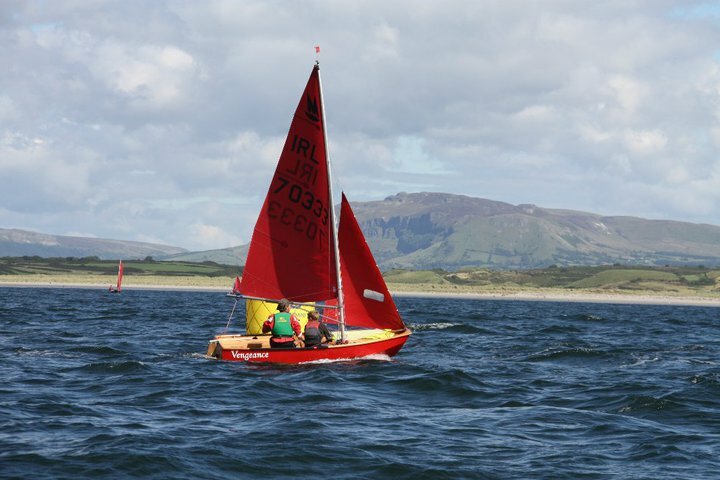 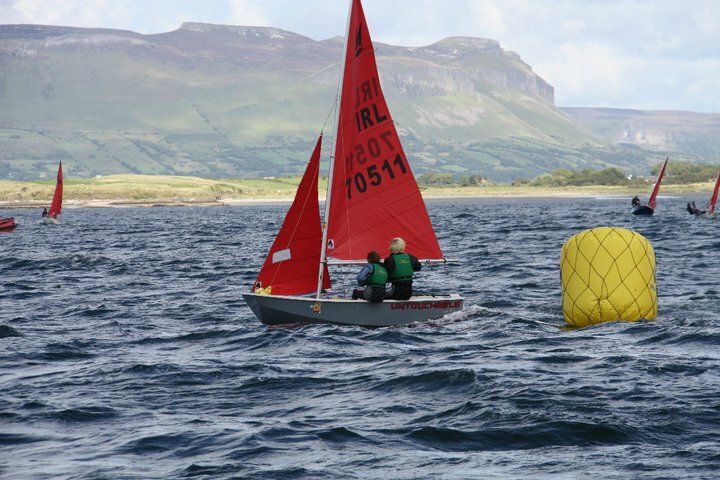 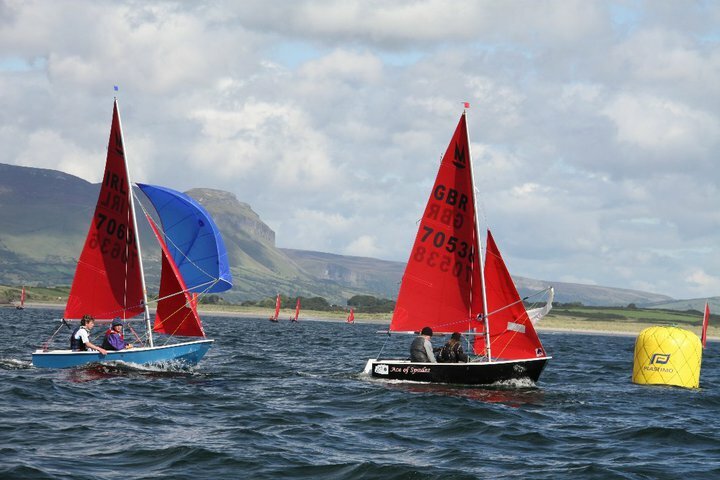 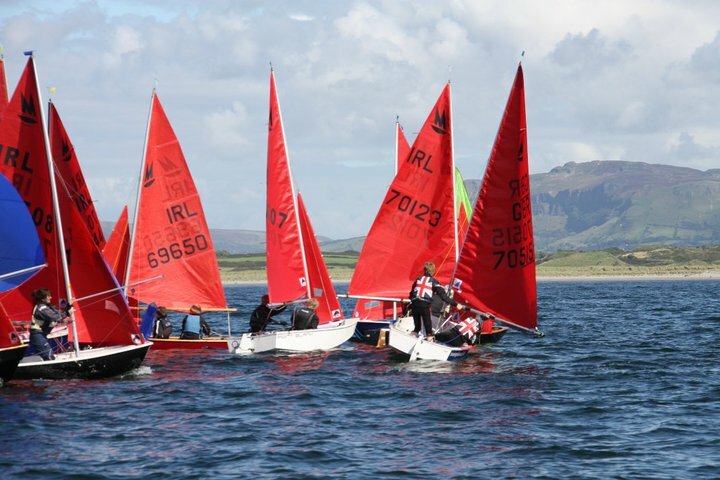 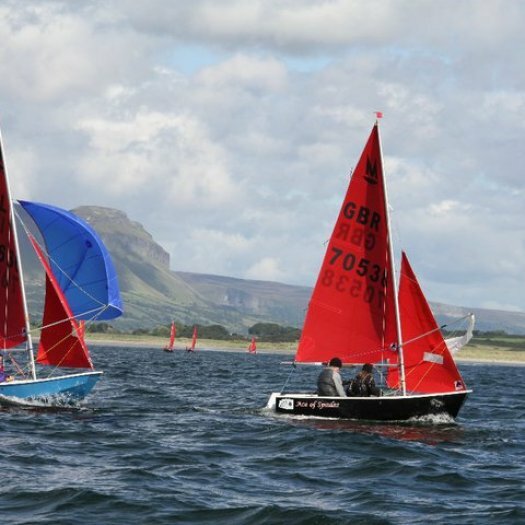 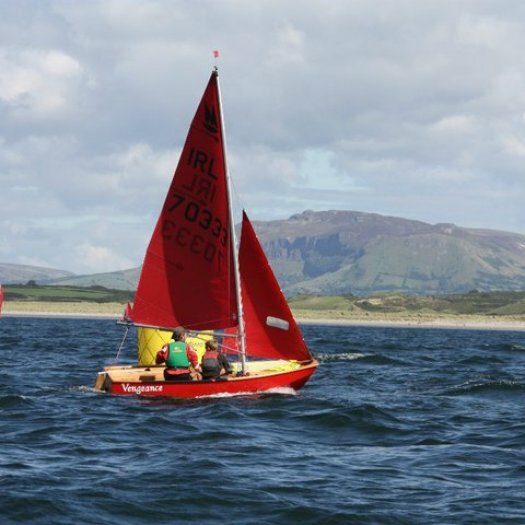 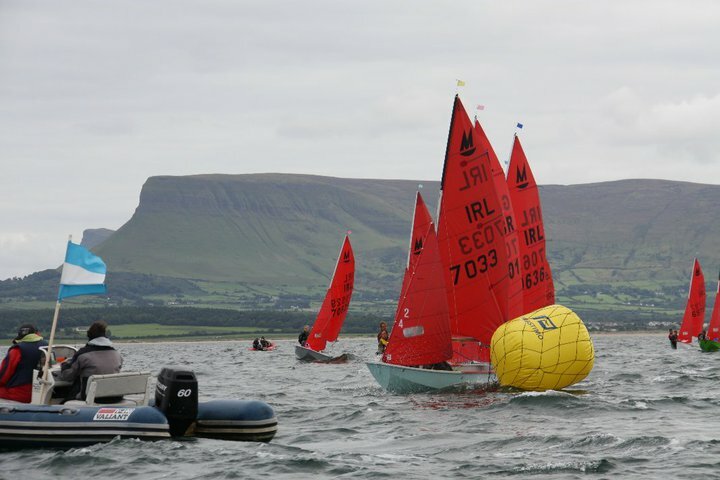 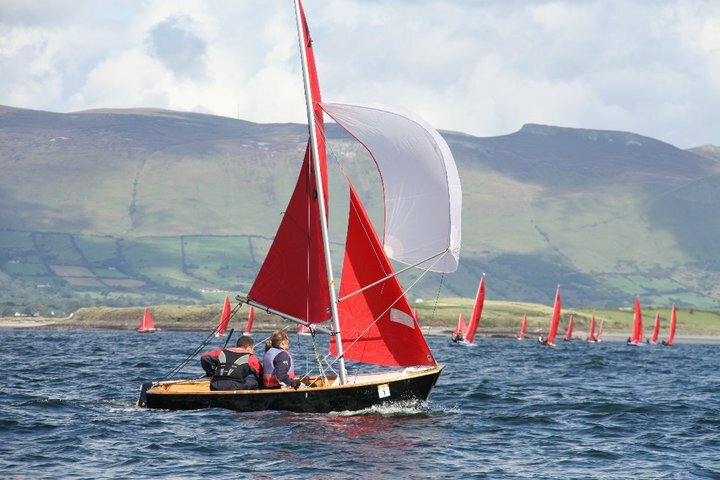 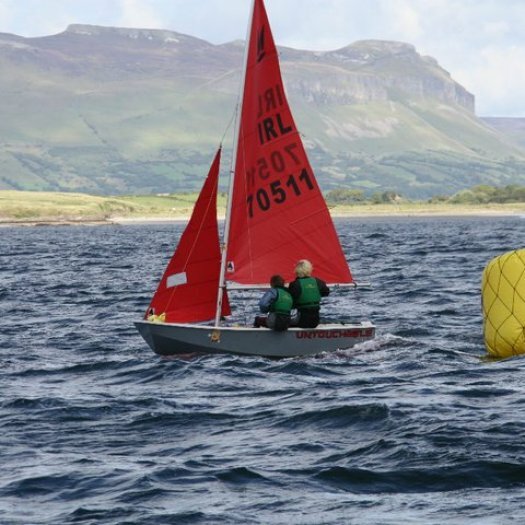 The racing area is in the Sligo outer bay which is sheltered and enclosed from the Atlantic from most wind directions. 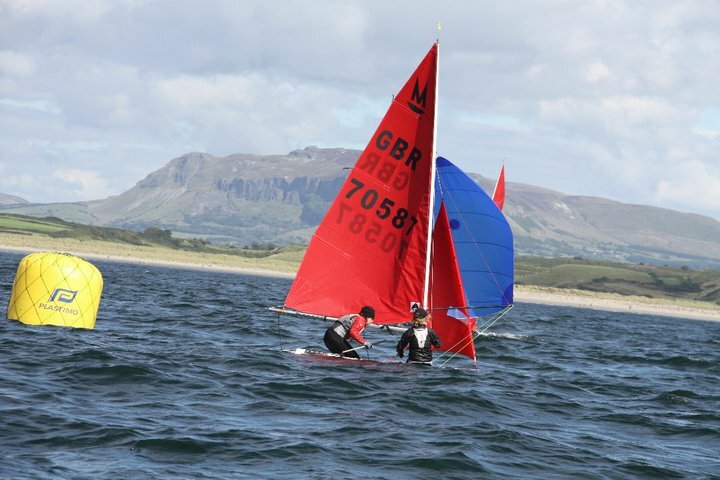 Almost all of the shores are sandy beaches which make it very safe for dinghy sailing. 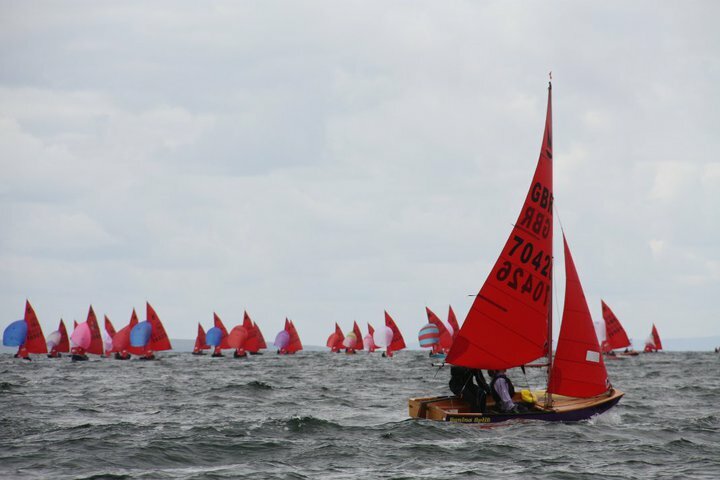 The bay is tidal, but the week of the event will enjoy neap tides. 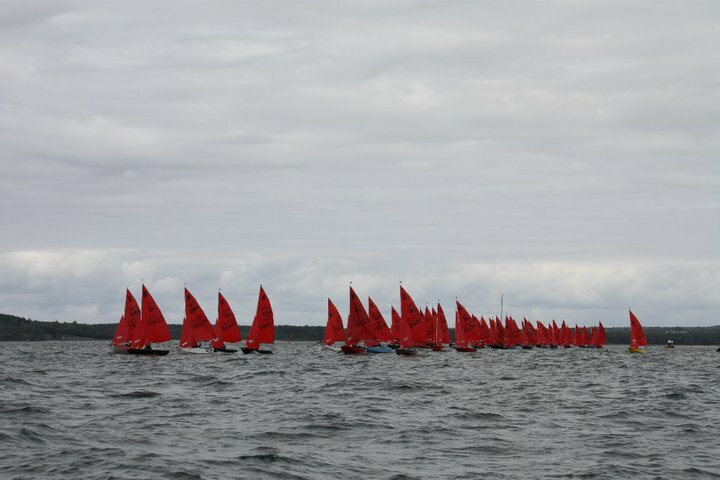 The scenery around the bay is very spectacular and opens up to the viewer progressively as he/she sails out to the racing area. 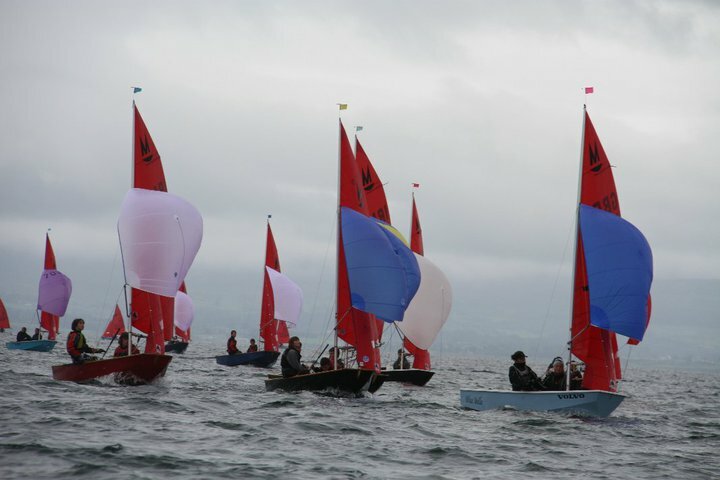 The club has a long history of running major events. 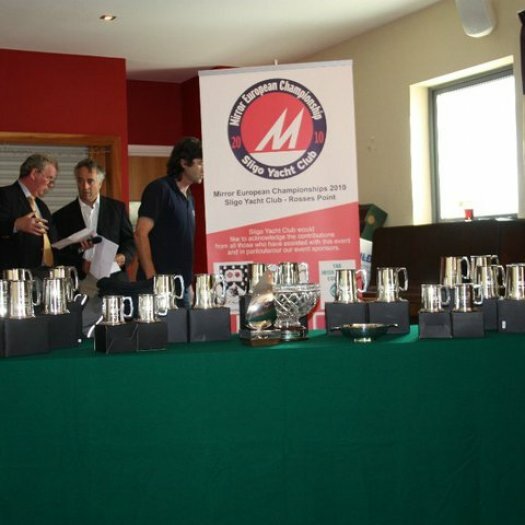 These include the 1987 Mirror Worlds and photographs of that occasion still hang on the clubhouse walls. 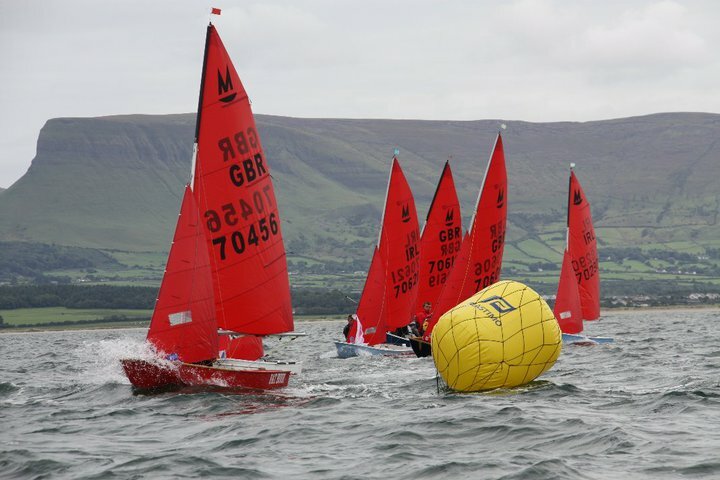 More recently it hosted the 2006 GP14 Worlds and in preparation fro that event the membership decided to demolish the old clubhouse completely and built the new state of the art facility which is now in place. 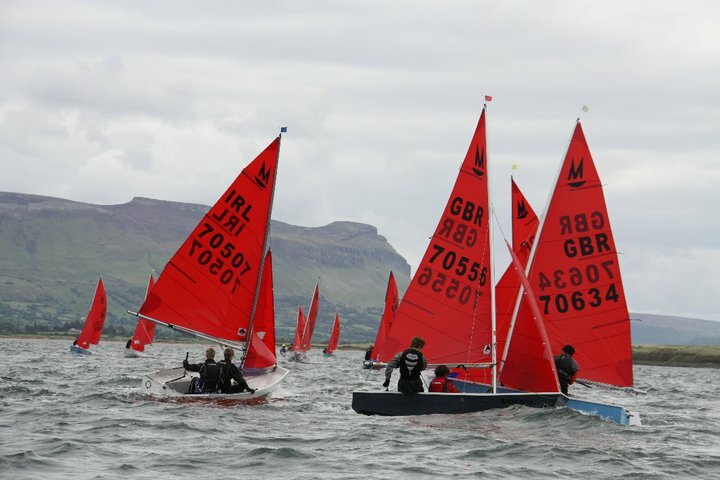 The 2006 event was a major success and very positive reviews appeared in the GP Class magazine afterwards. 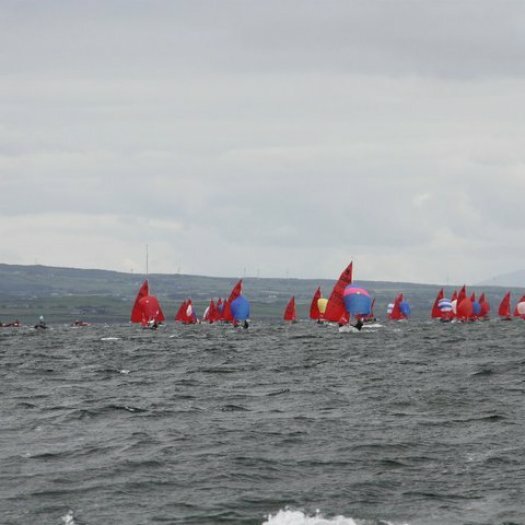 The Club will be hosting the Fireball World Championships in 2011. 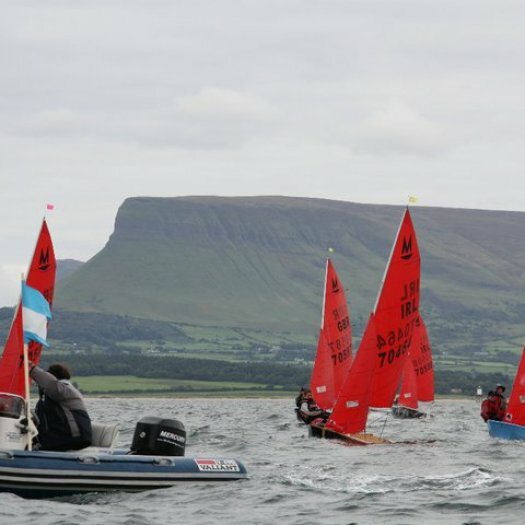 Sligo Yacht Club adopted the MIRROR in the mid 1960s, has stayed with it over the years and there is no prospect of change anytime soon. 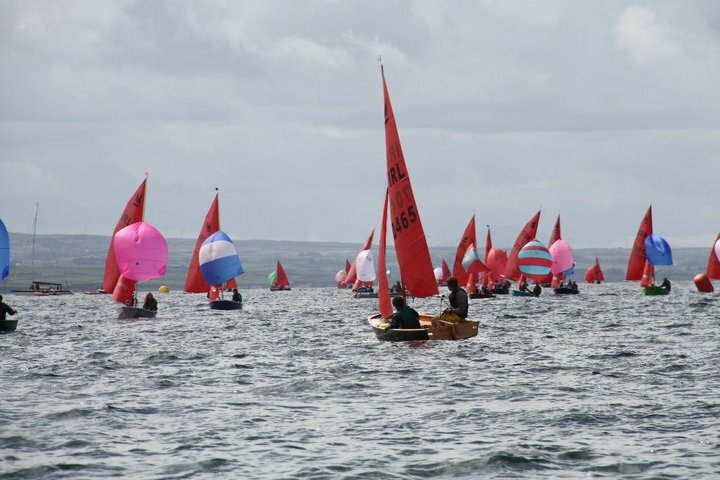 It is expected that there will be a local entry of over 20 boats. 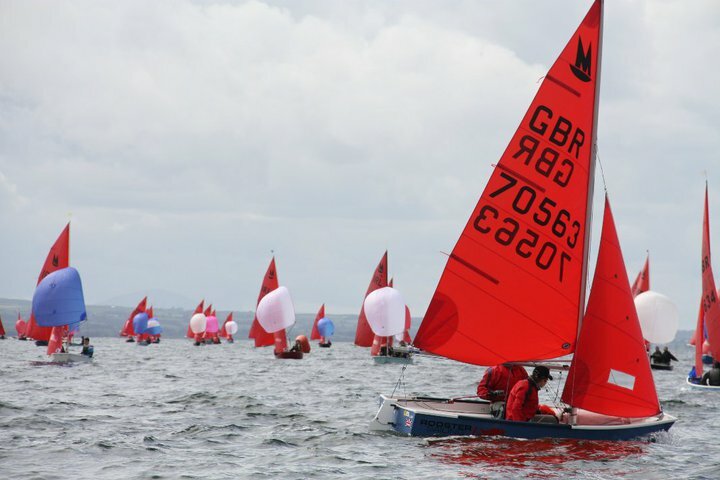 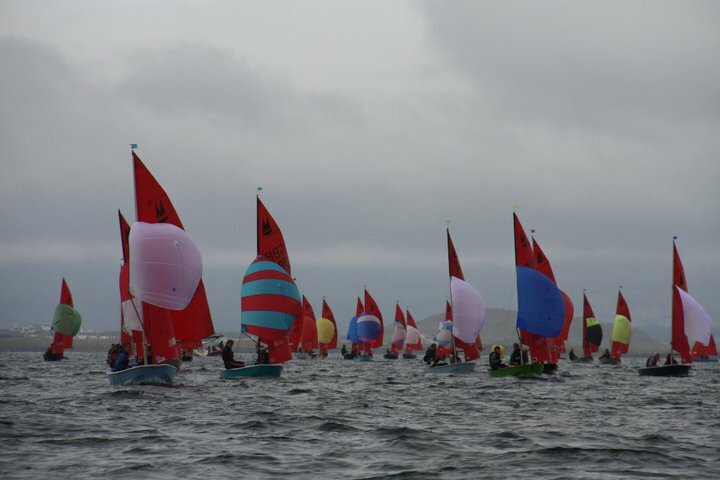 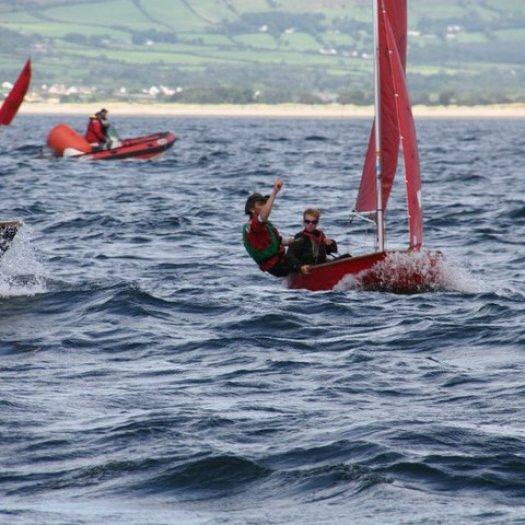 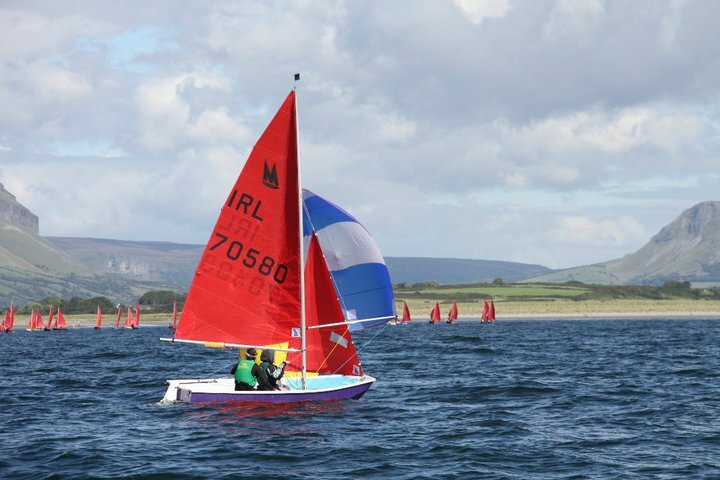 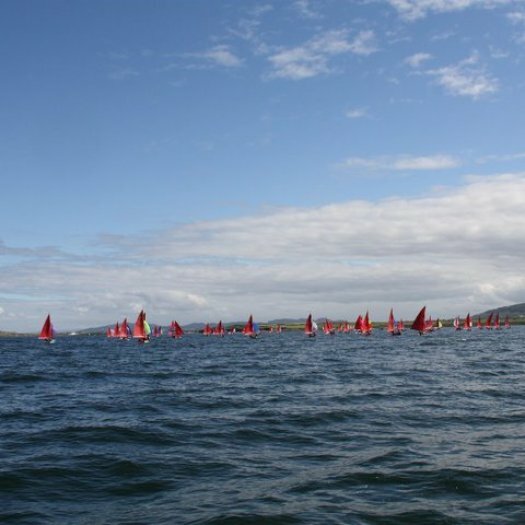 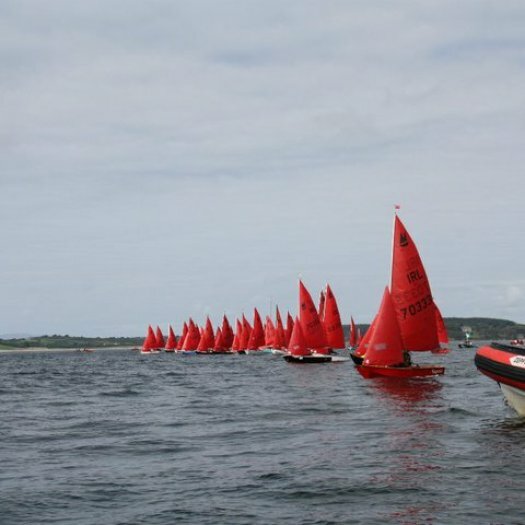 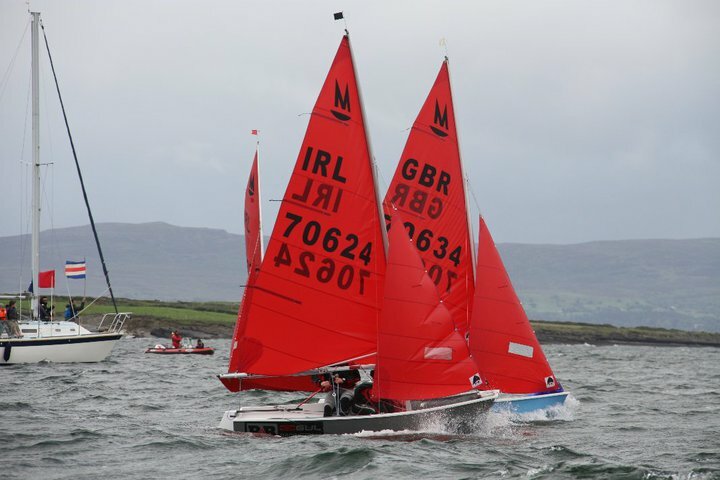 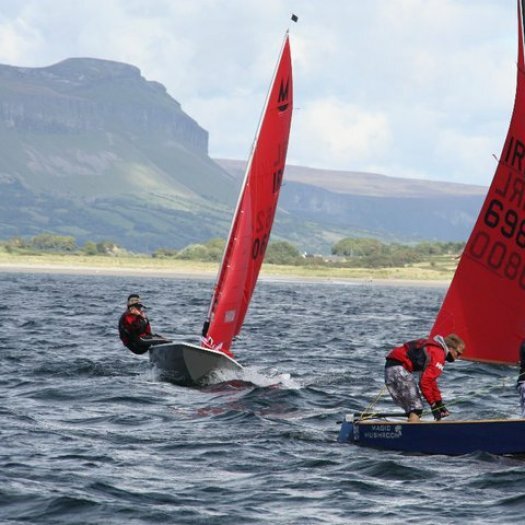 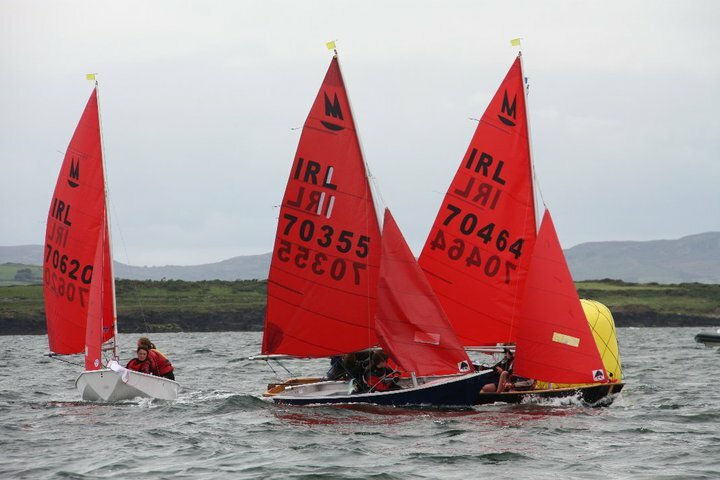 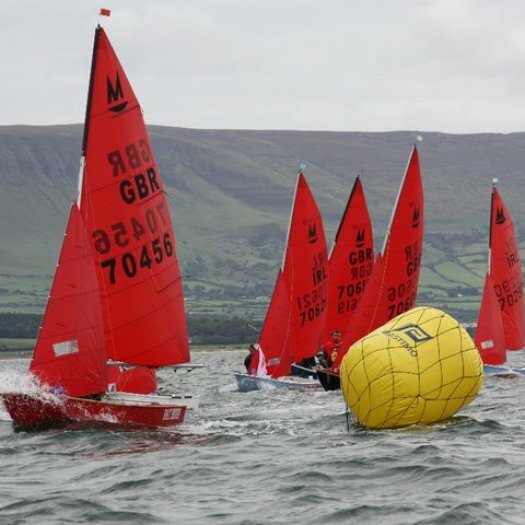 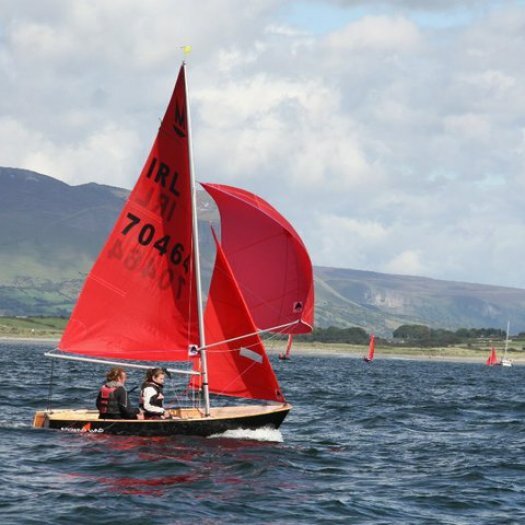 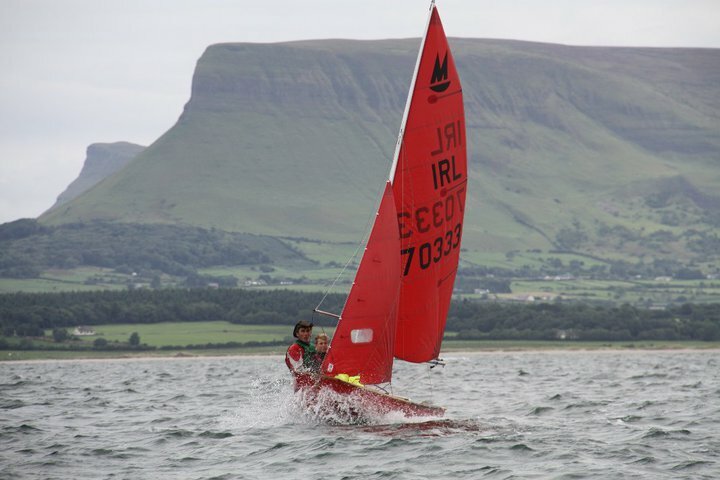 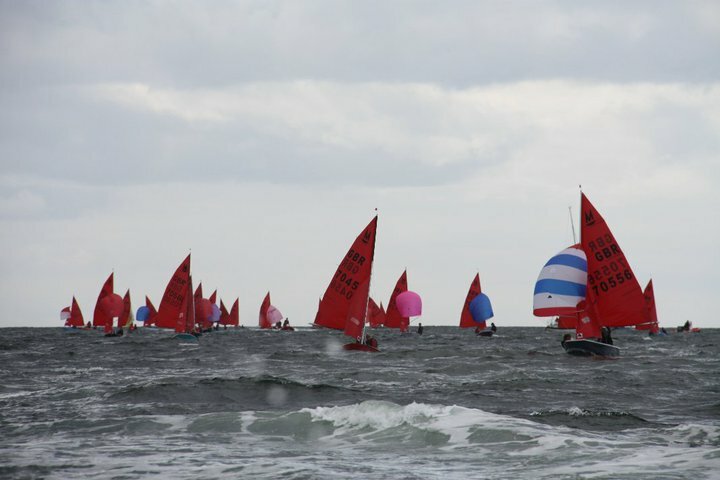 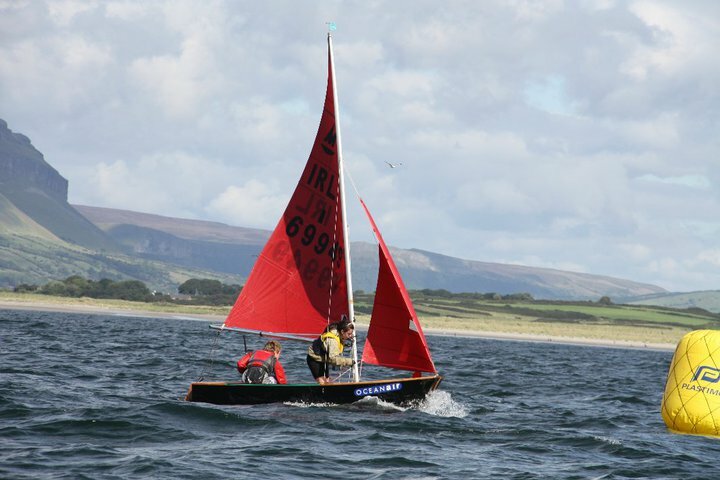 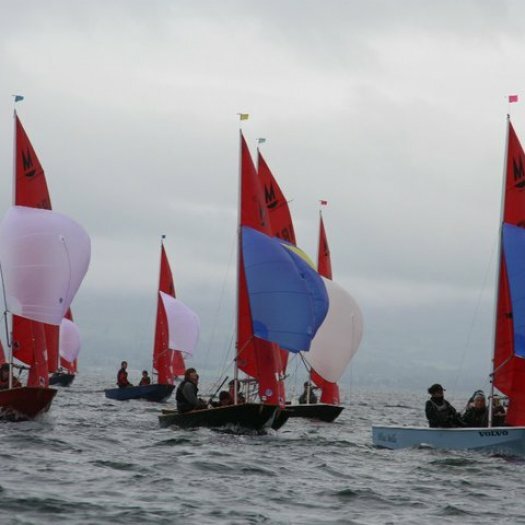 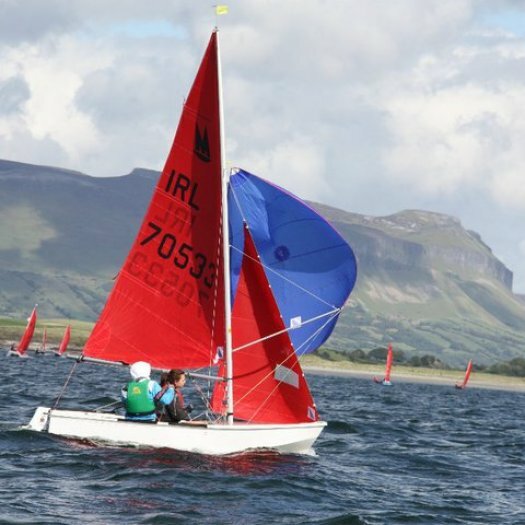 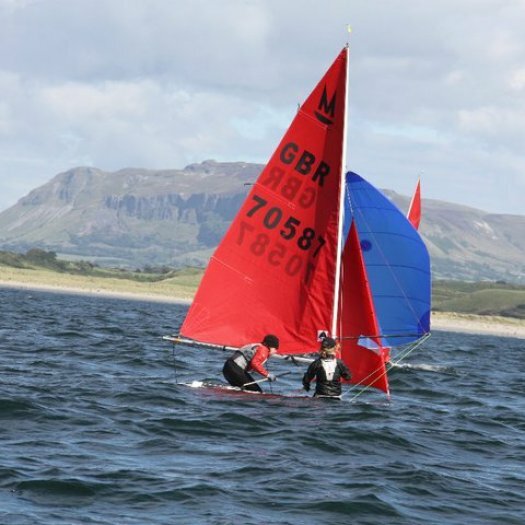 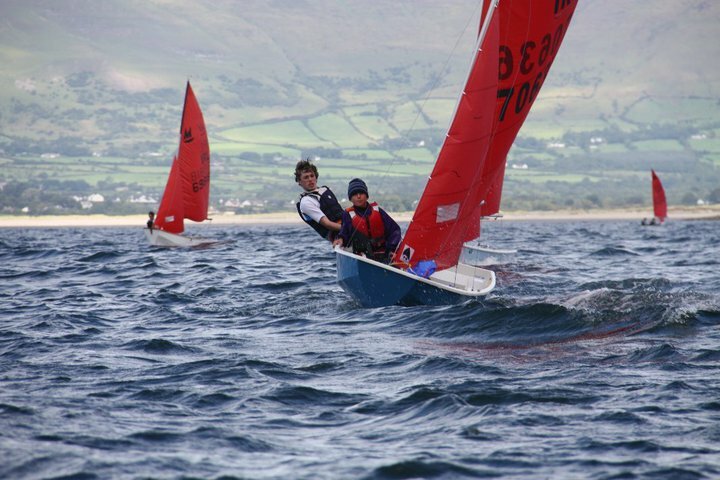 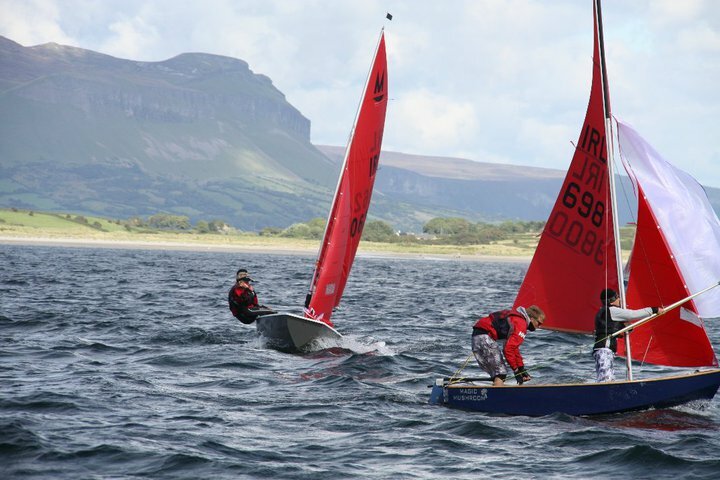 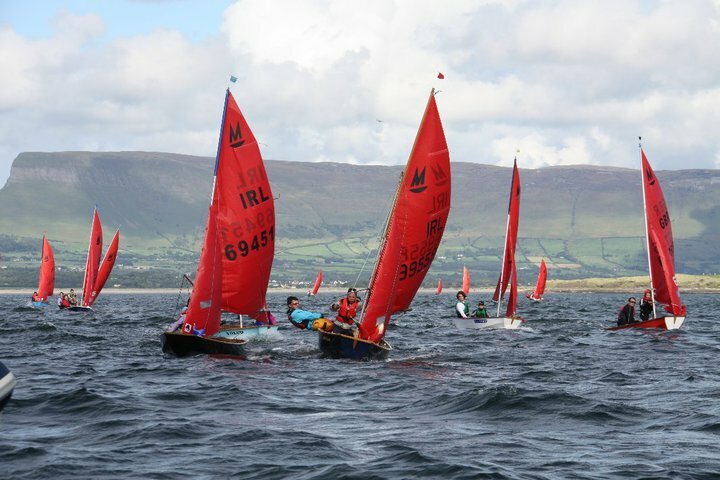 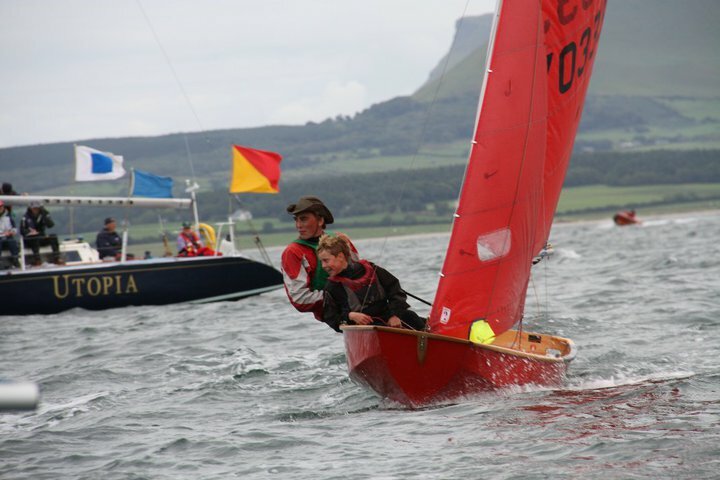 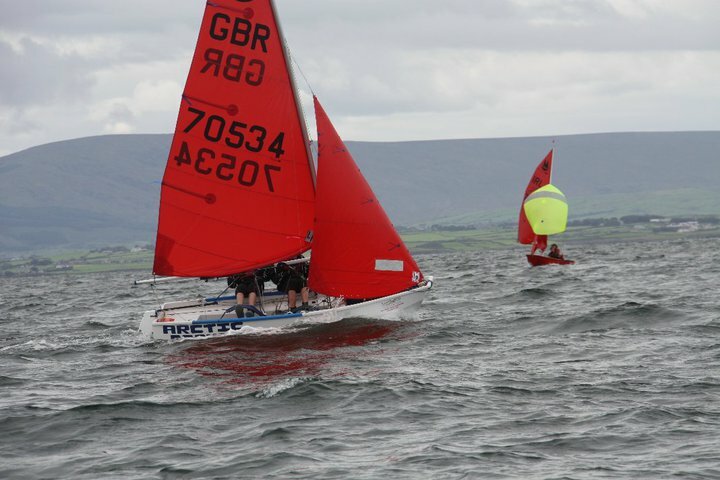 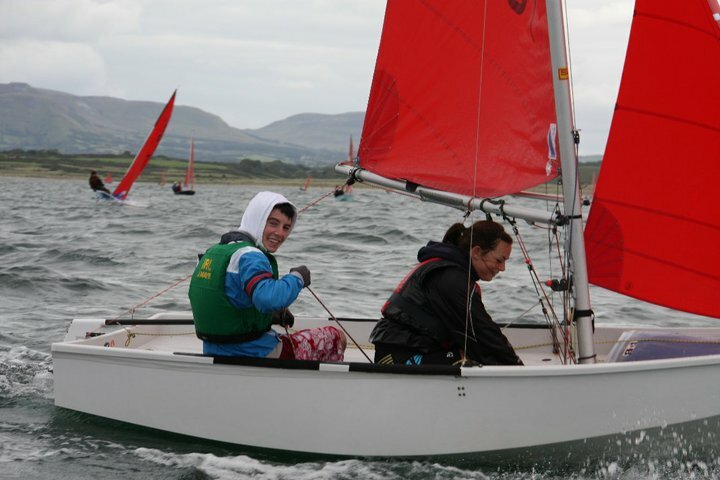 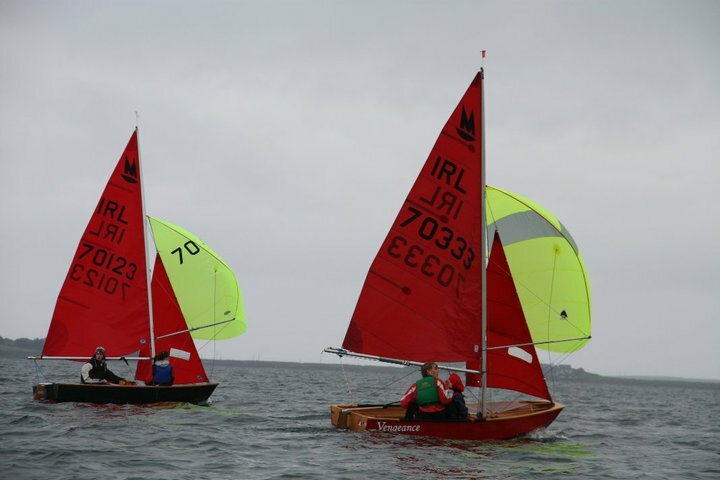 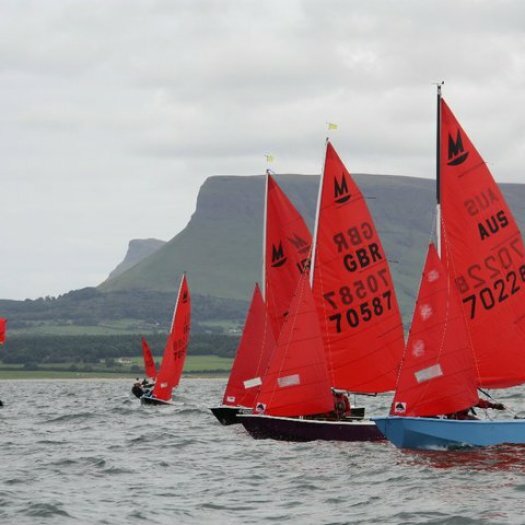 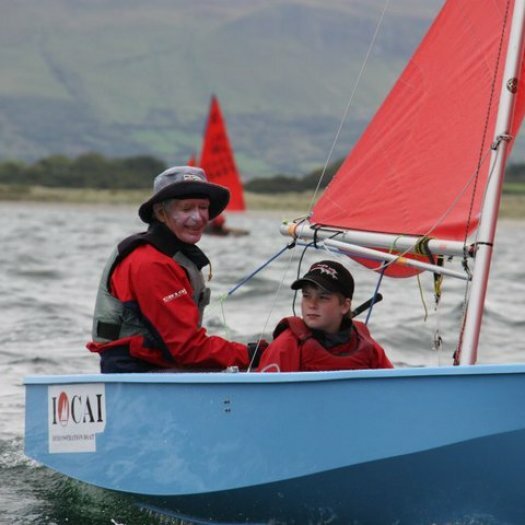 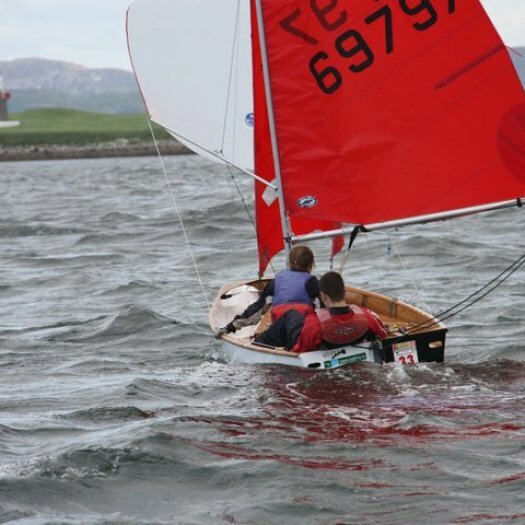 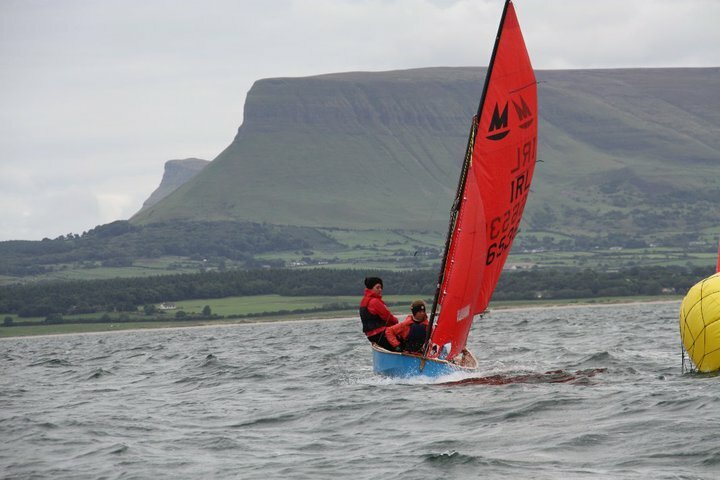 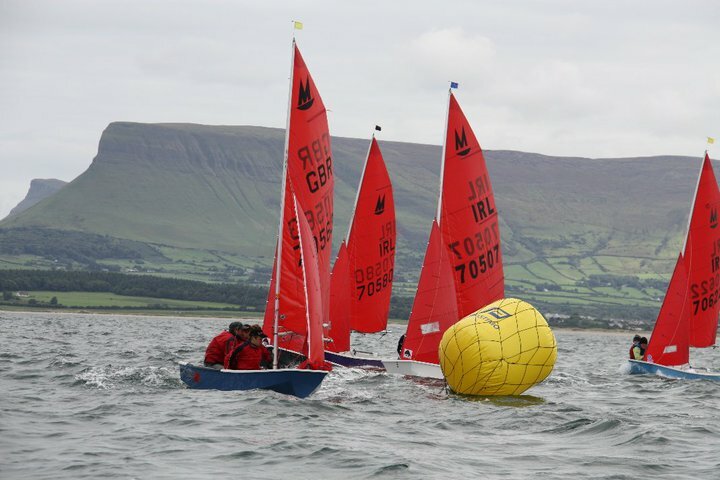 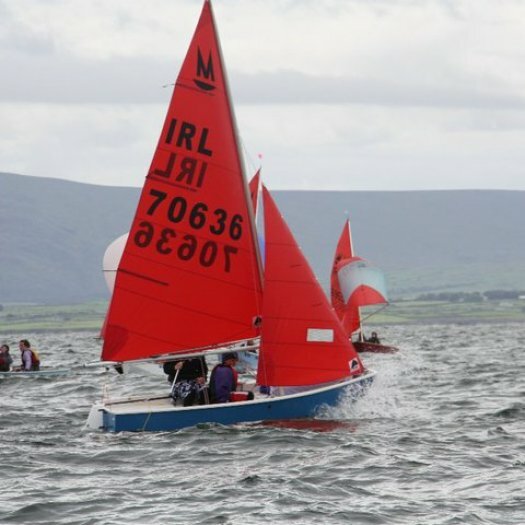 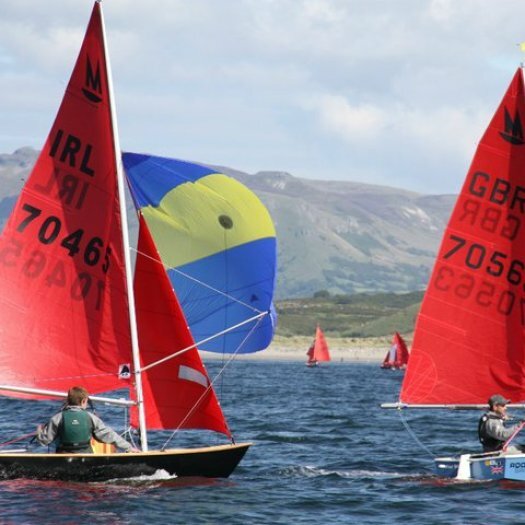 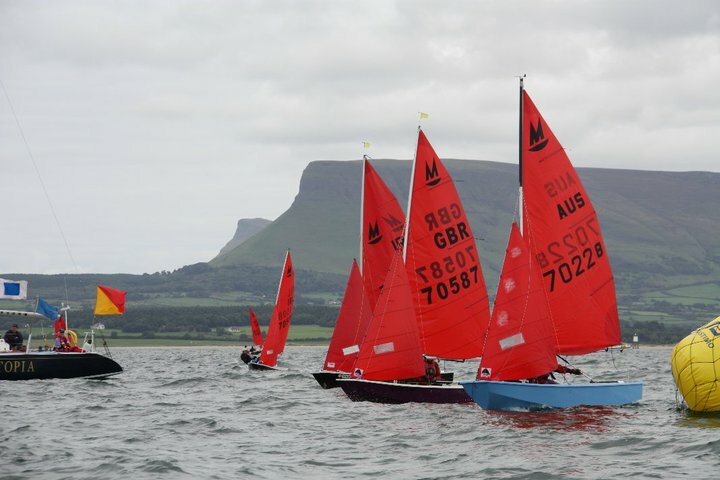 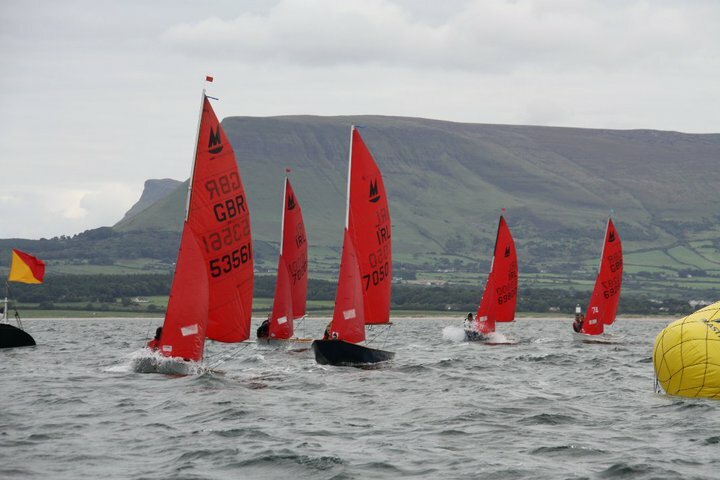 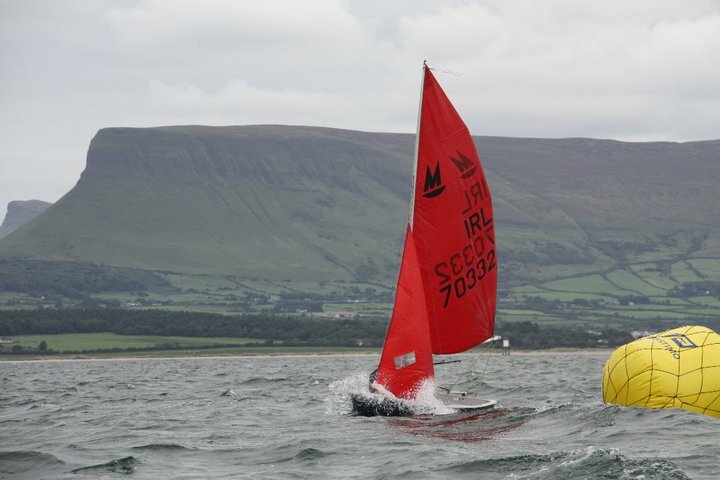 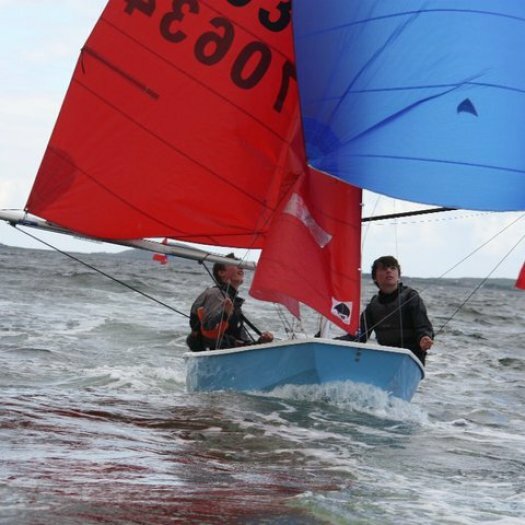 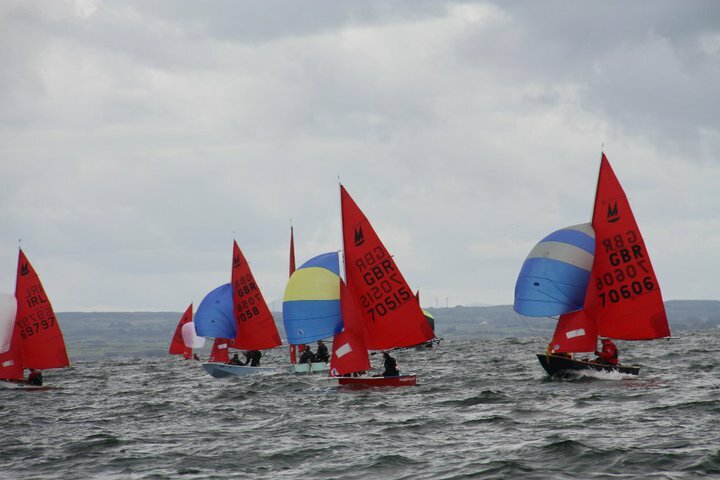 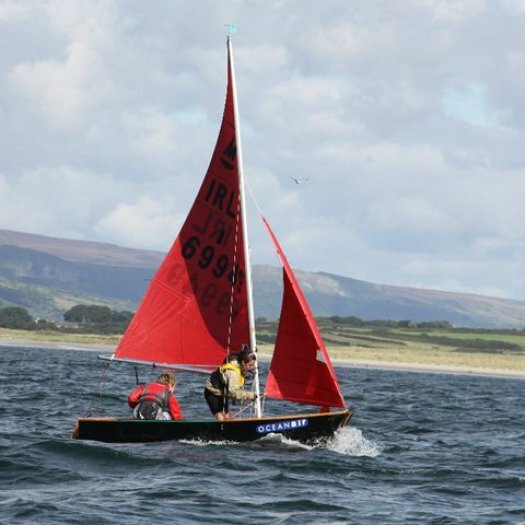 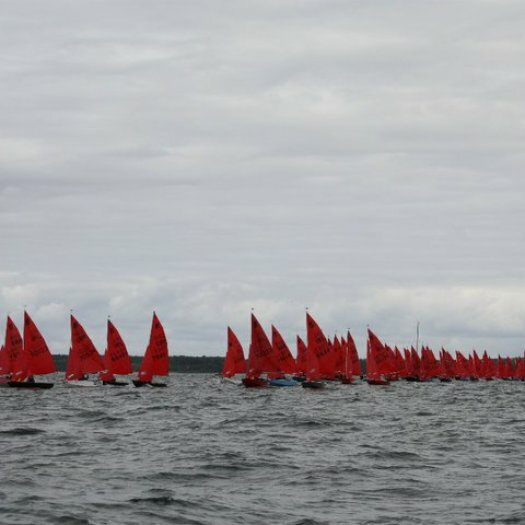 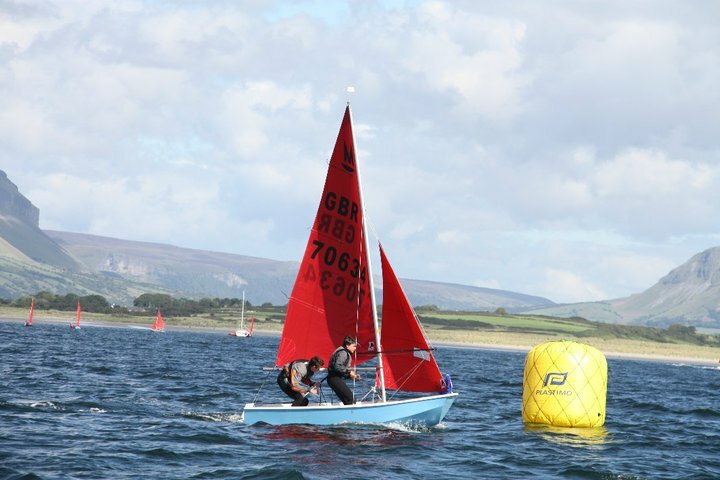 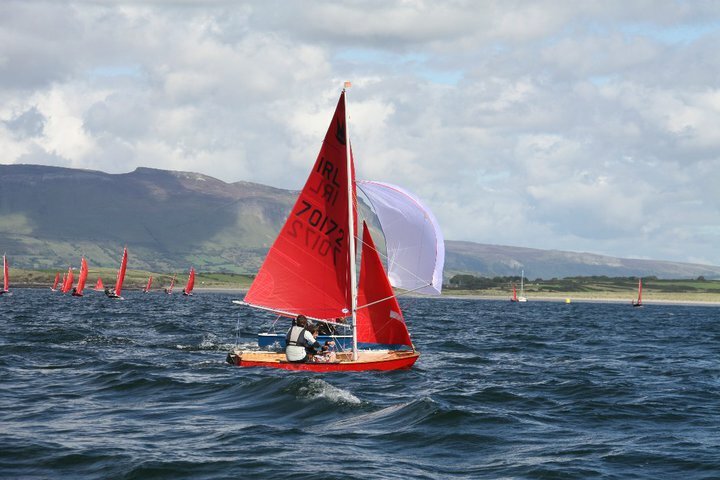 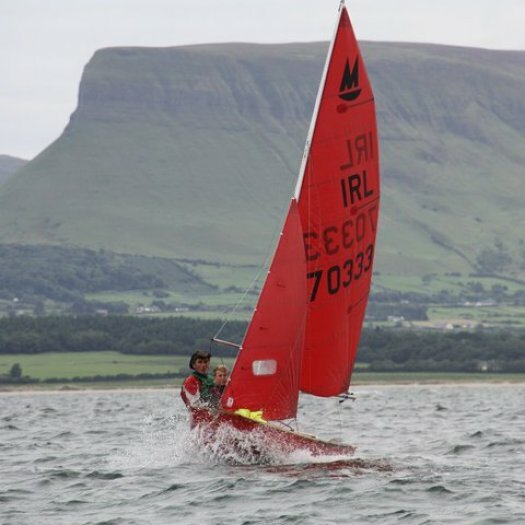 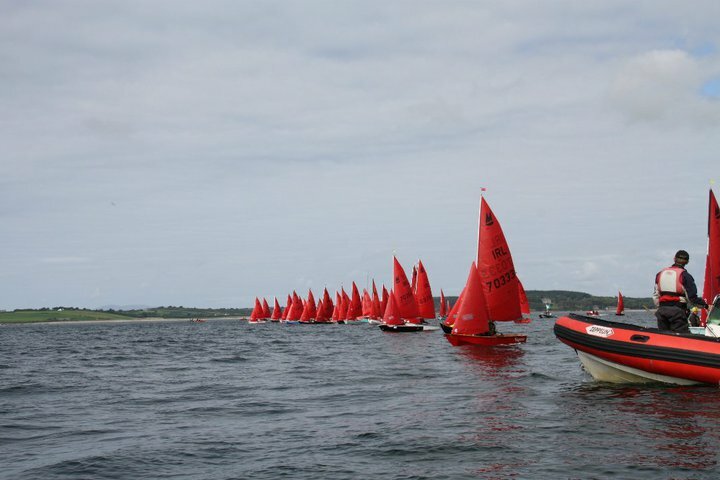 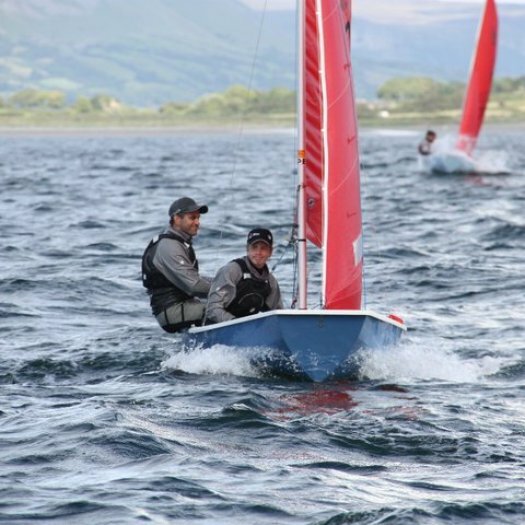 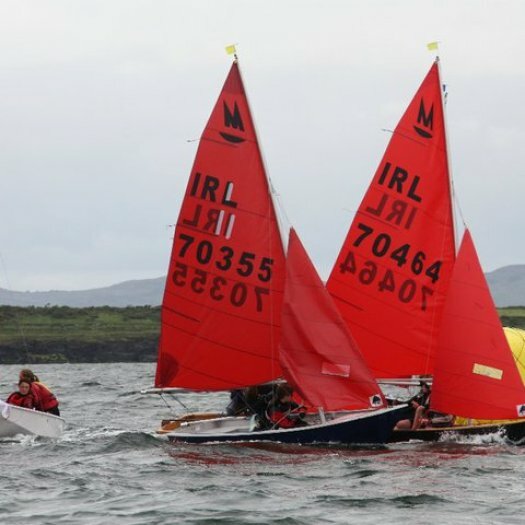 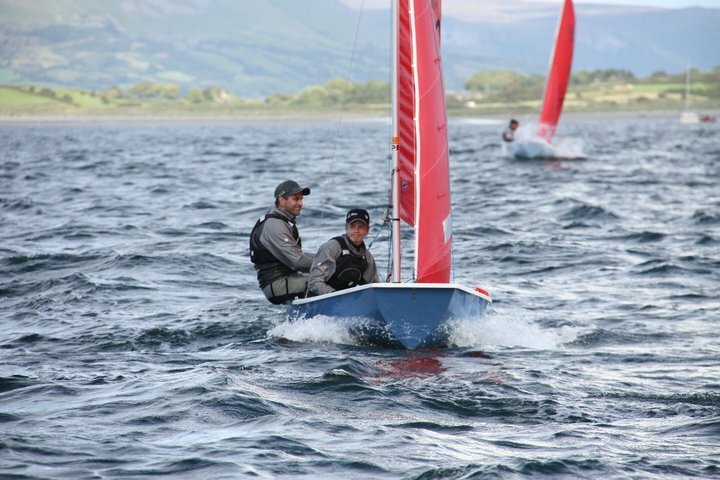 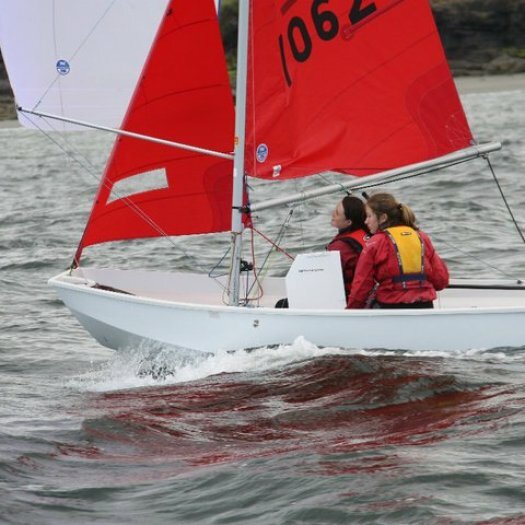 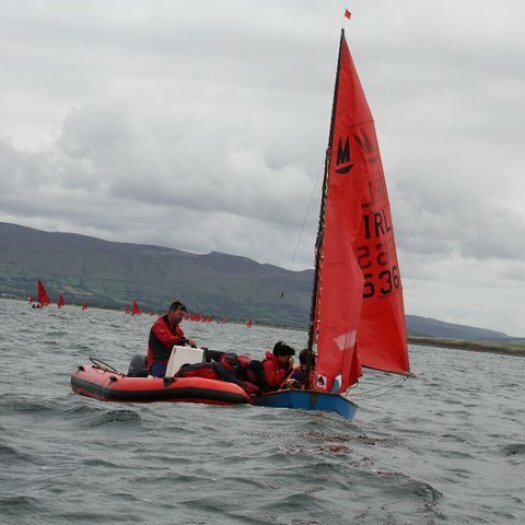 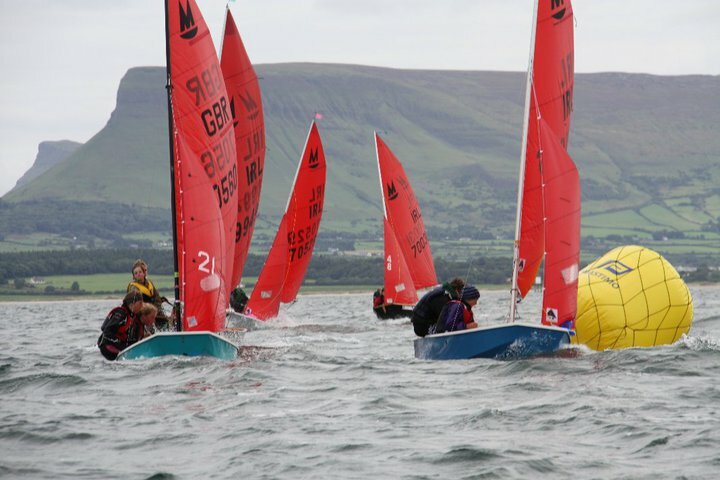 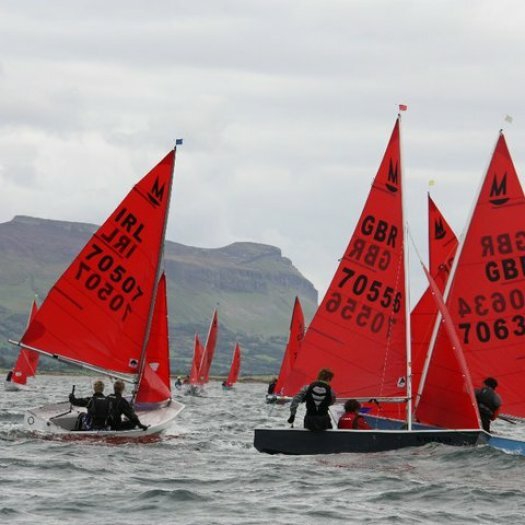 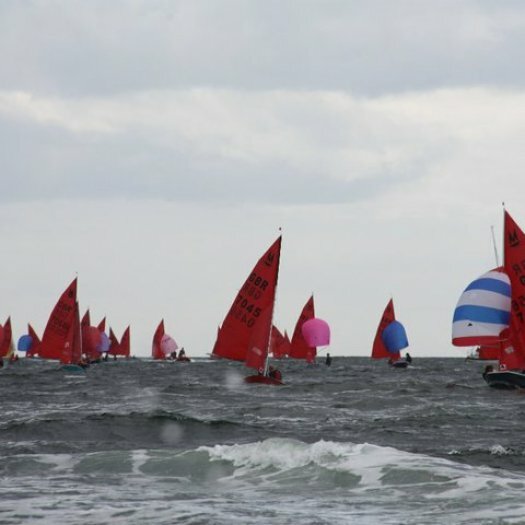 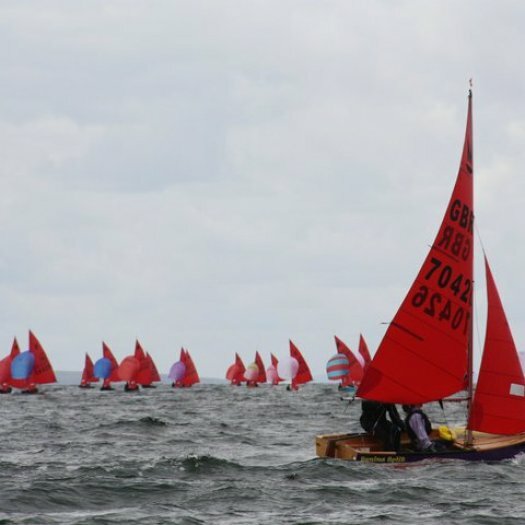 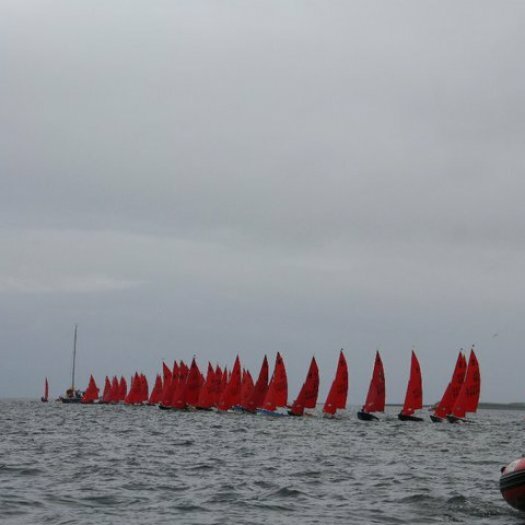 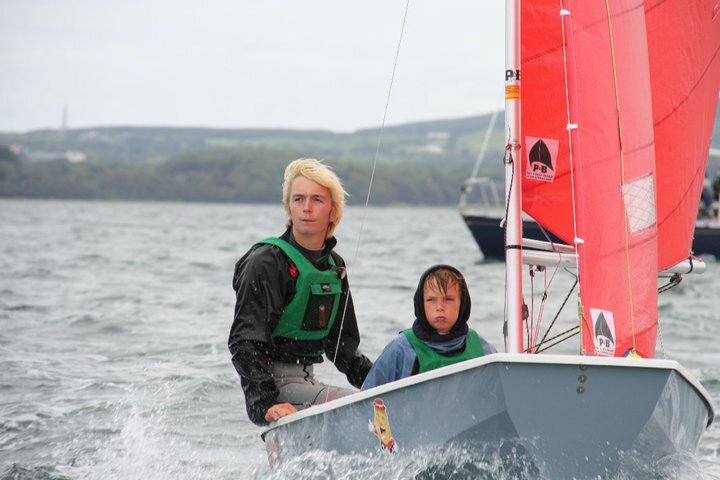 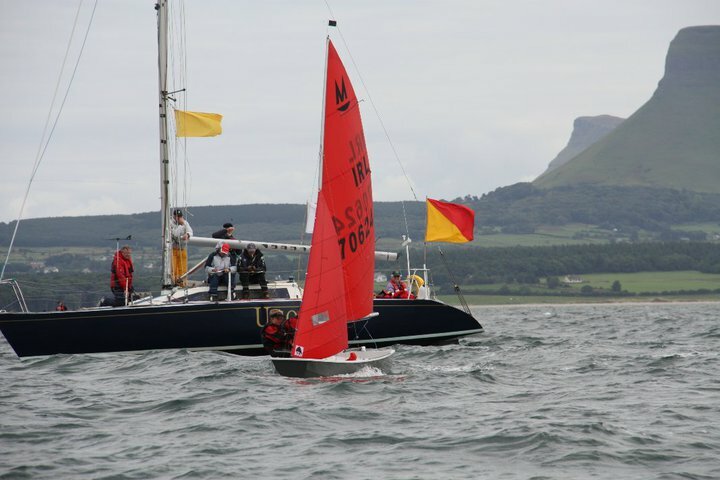 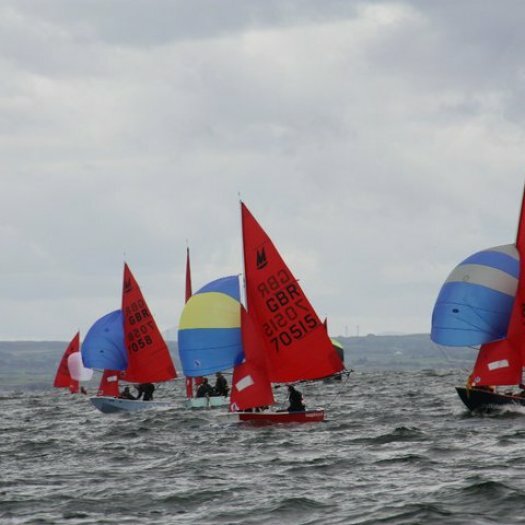 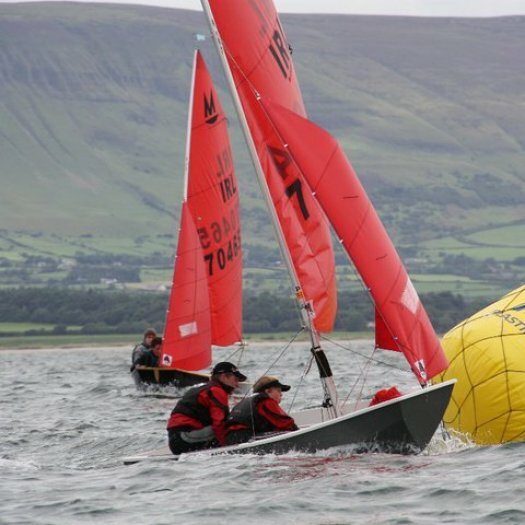 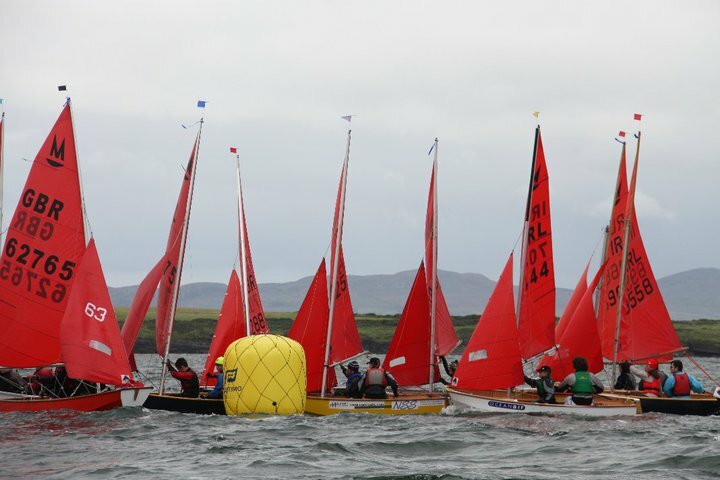 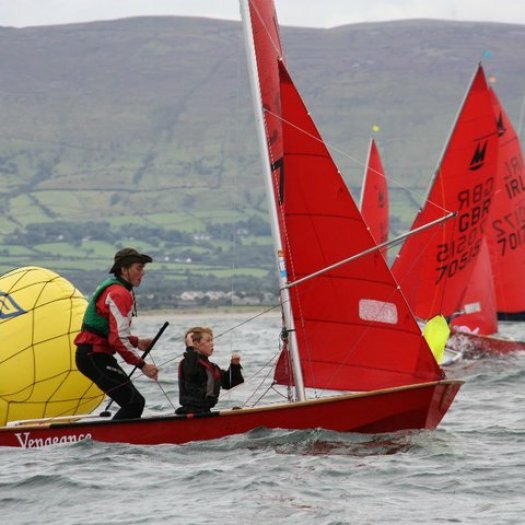 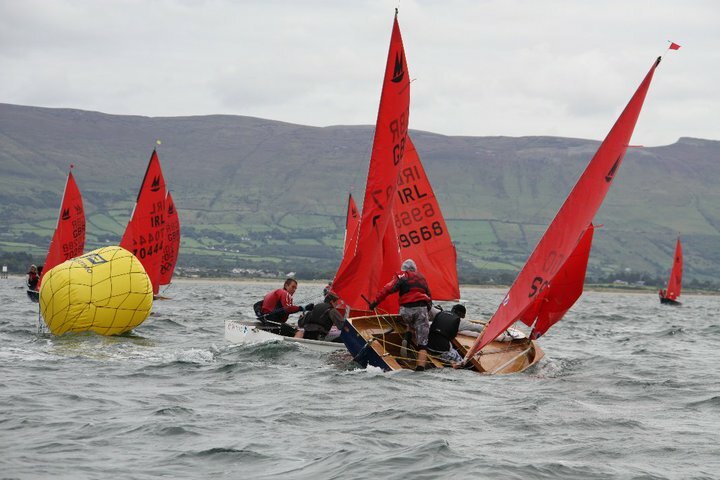 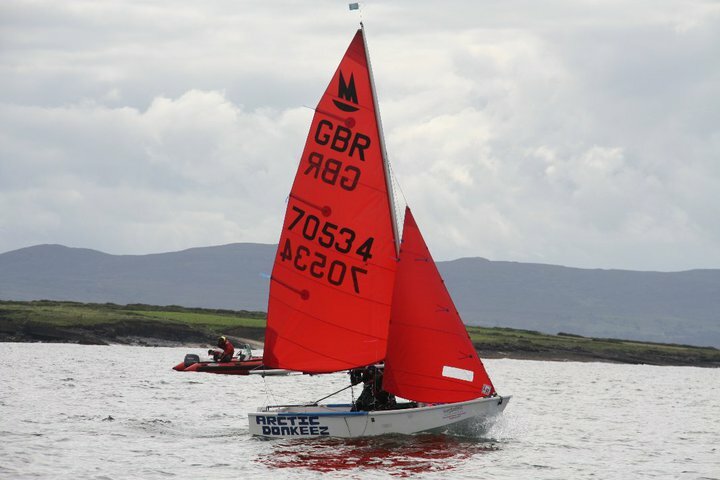 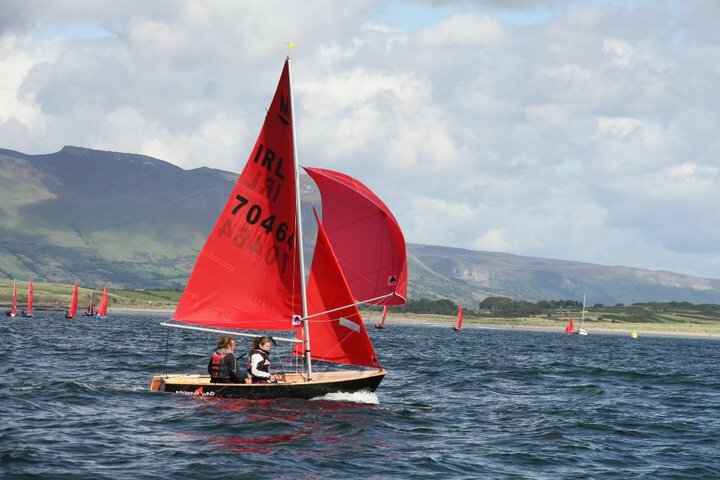 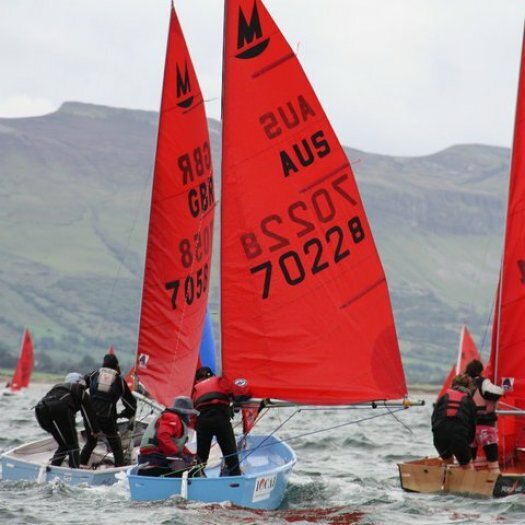 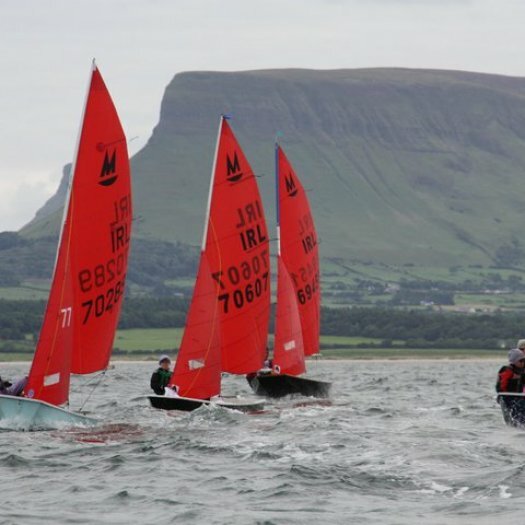 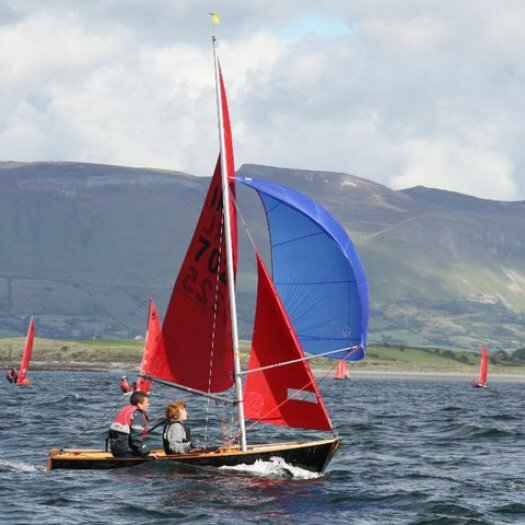 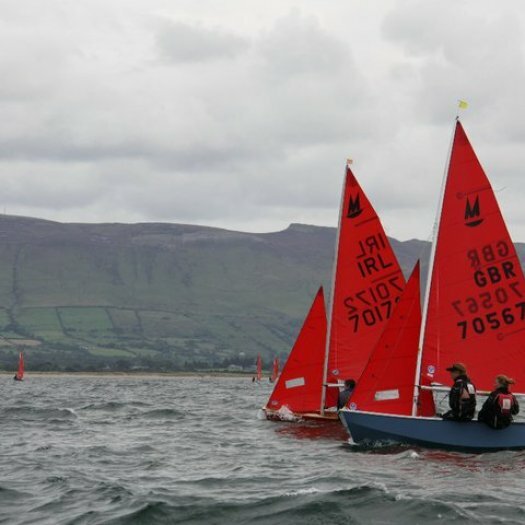 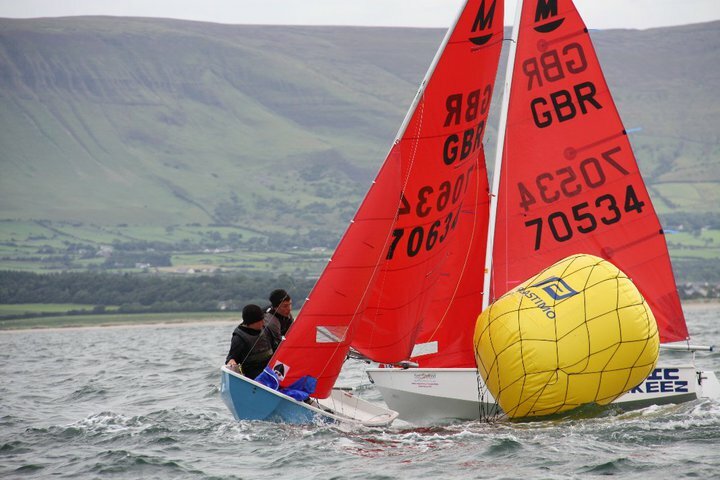 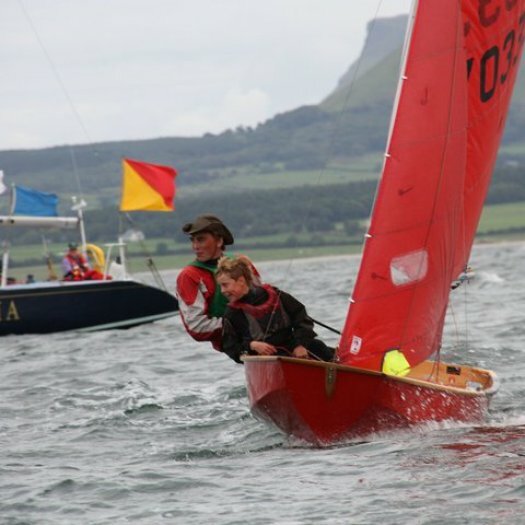 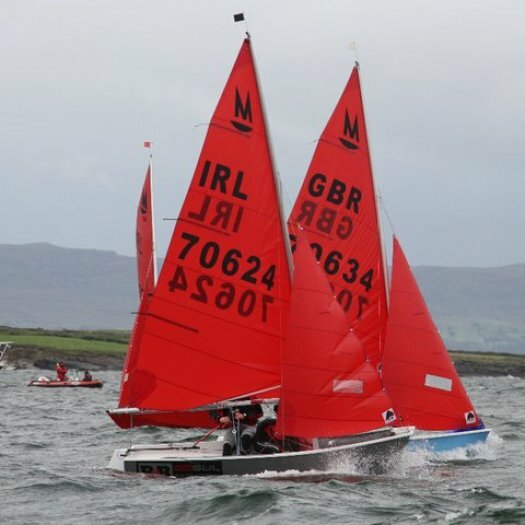 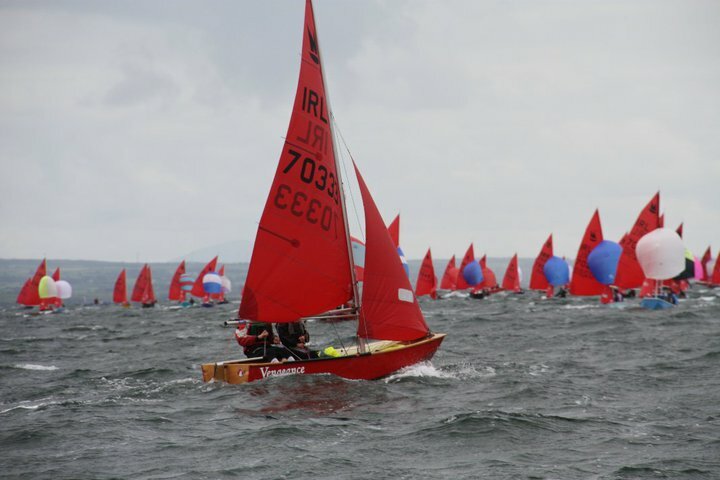 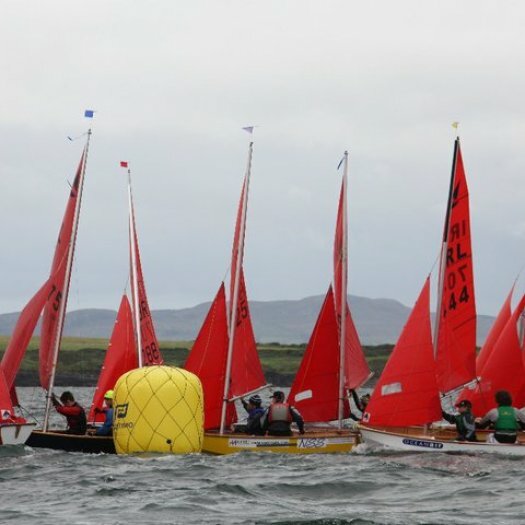 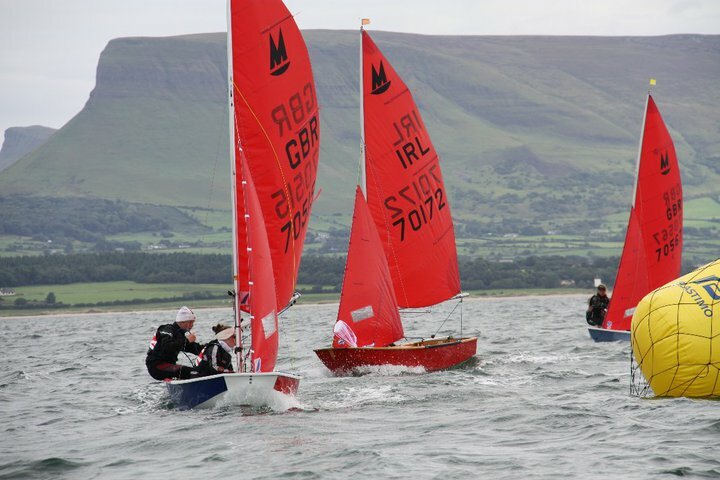 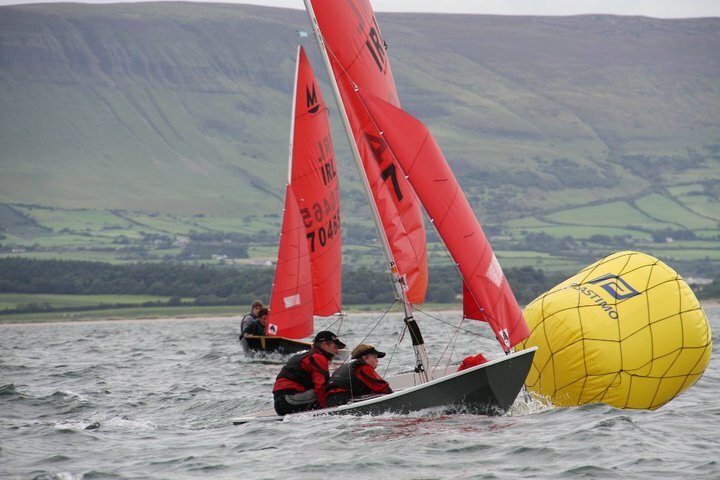 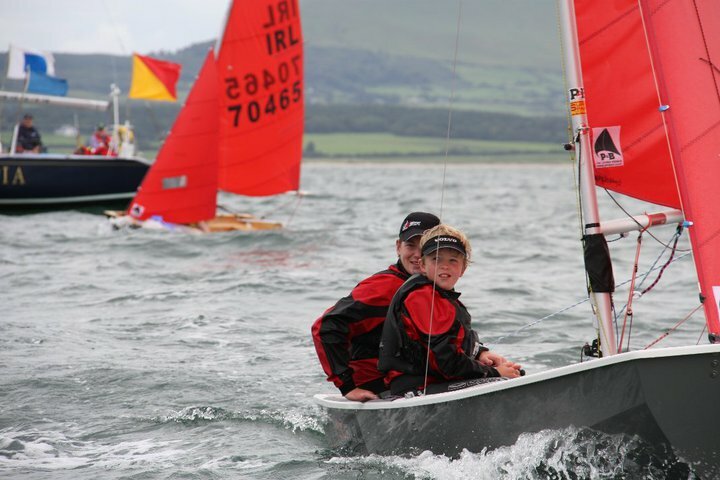 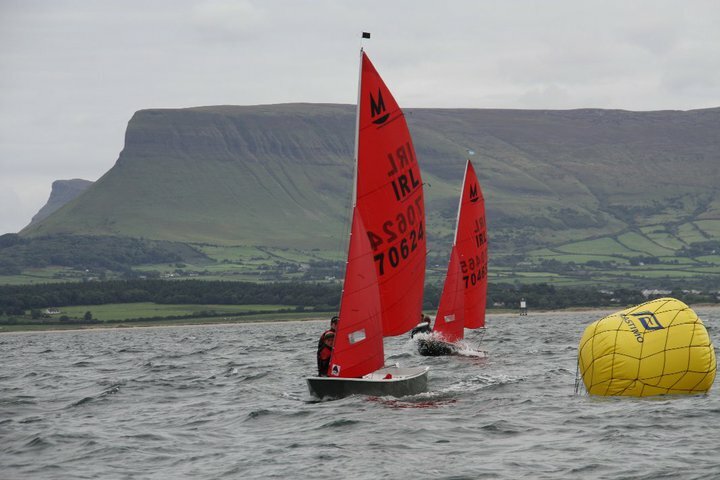 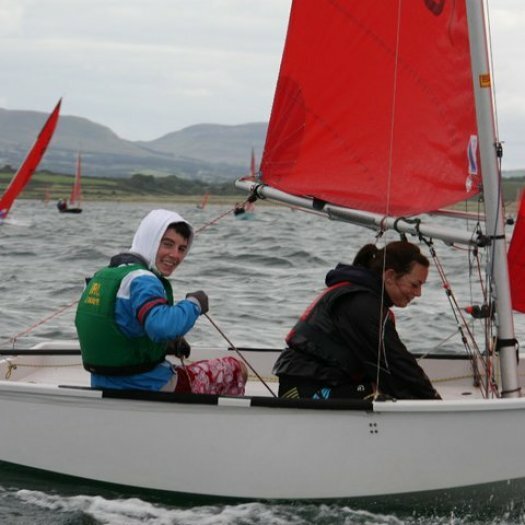 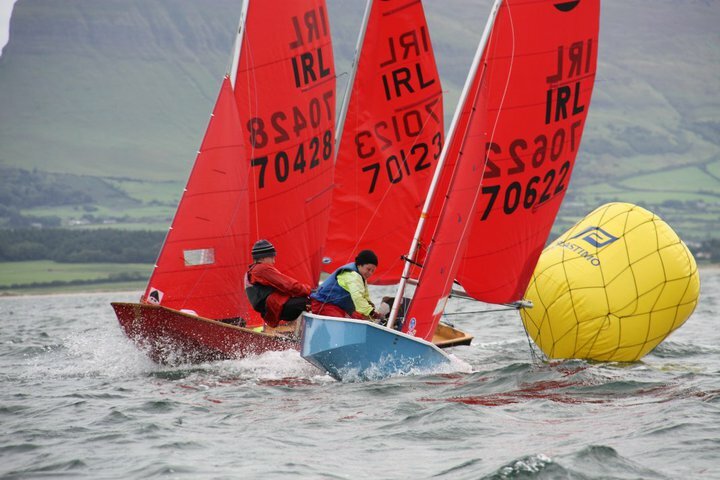 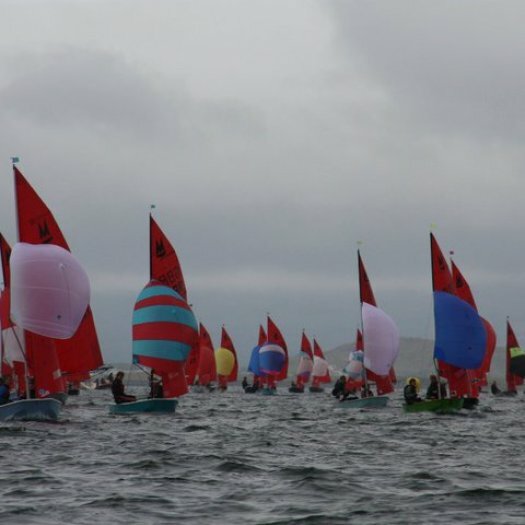 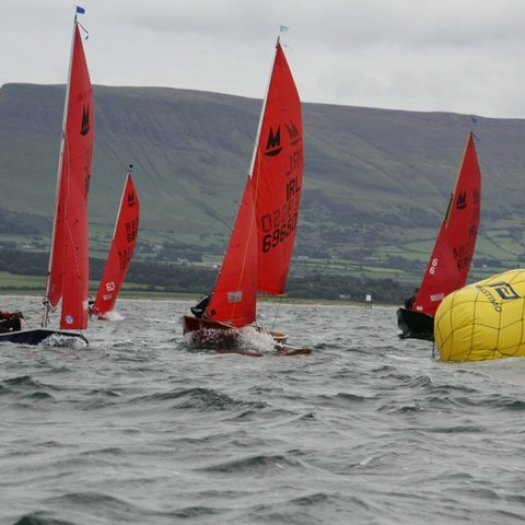 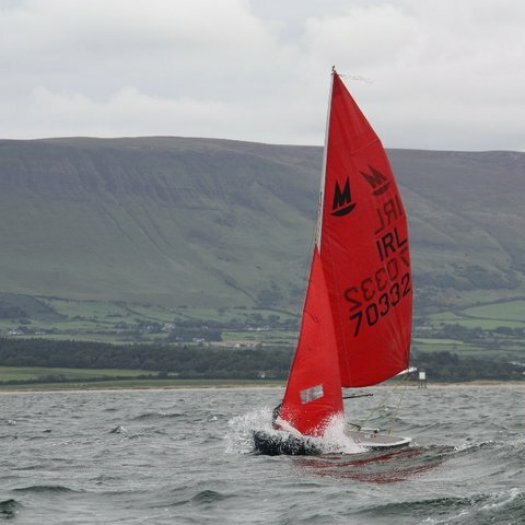 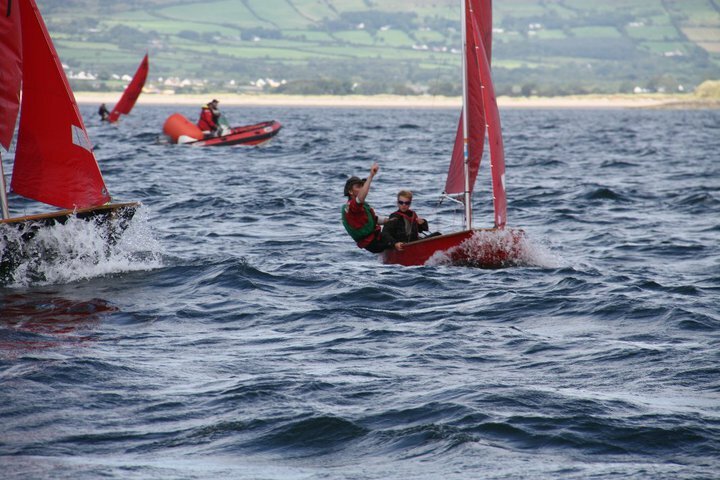 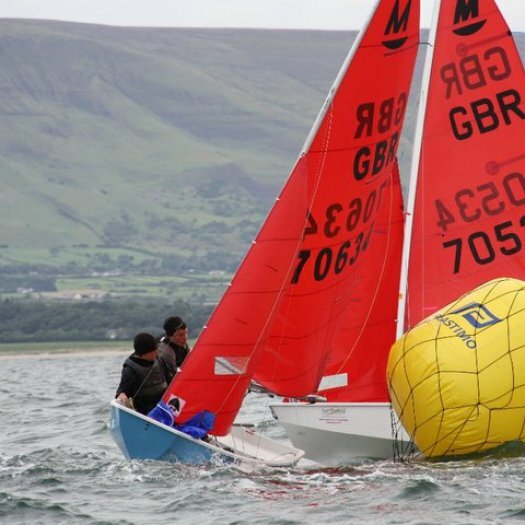 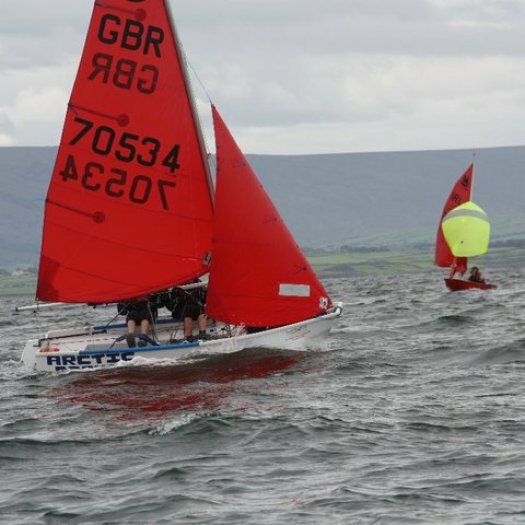 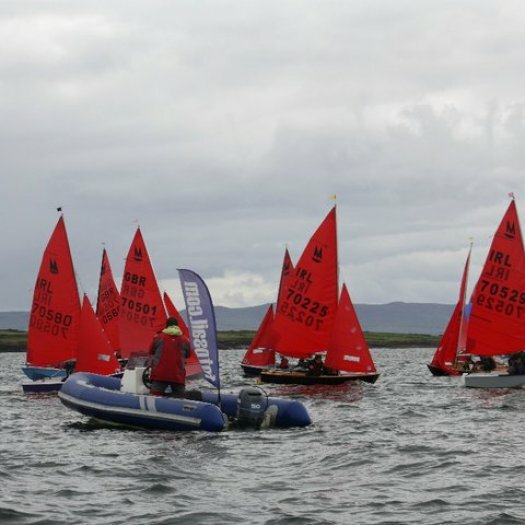 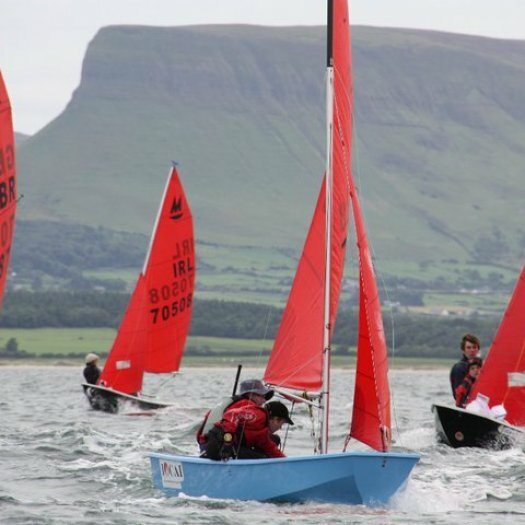 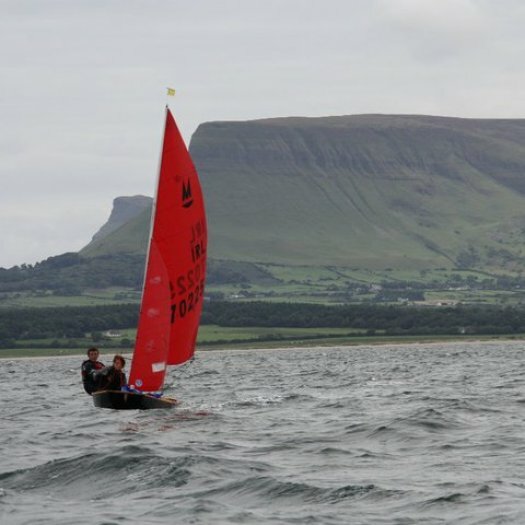 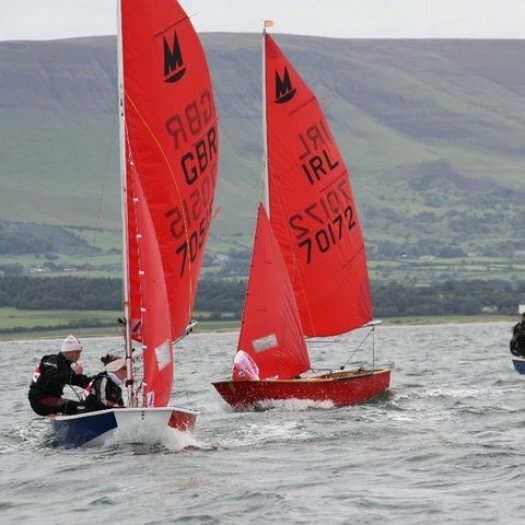 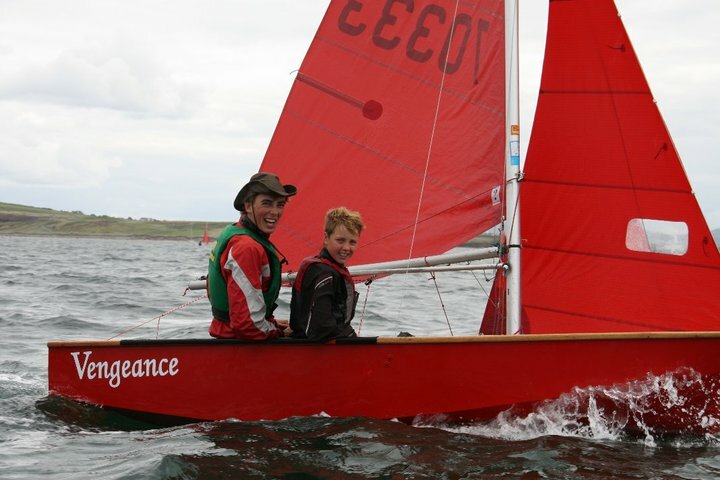 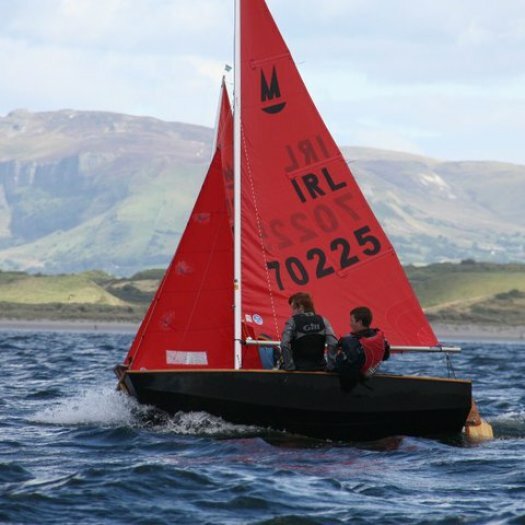 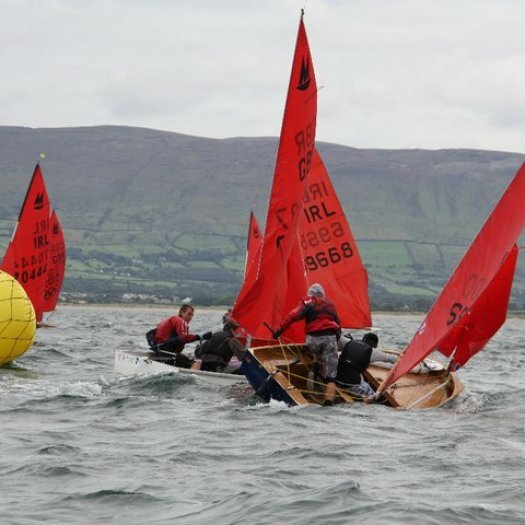 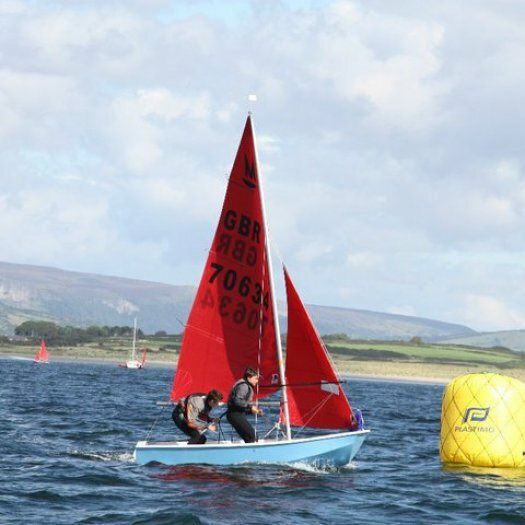 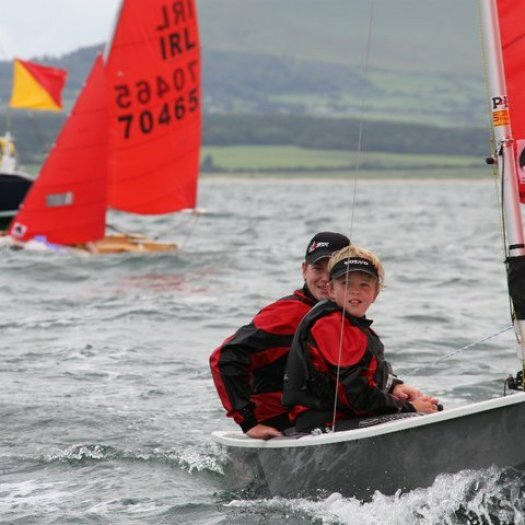 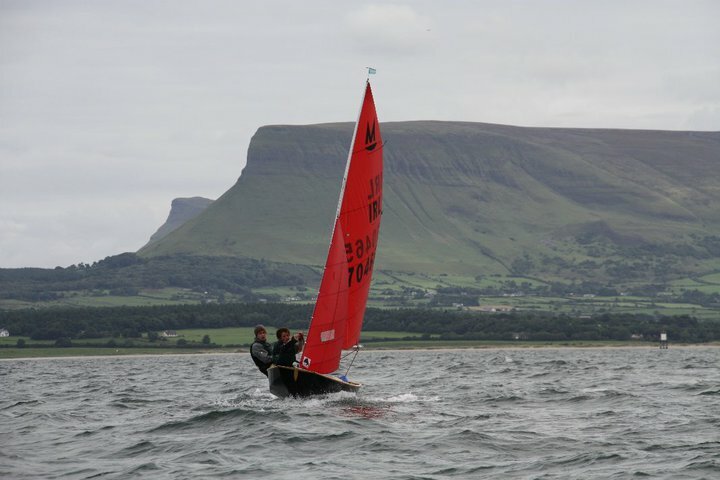 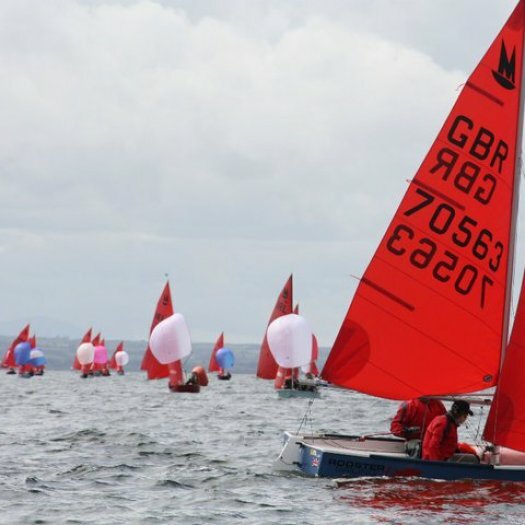 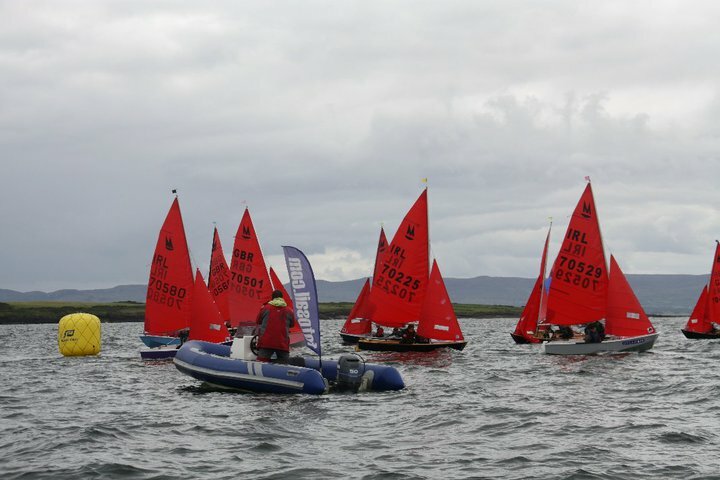 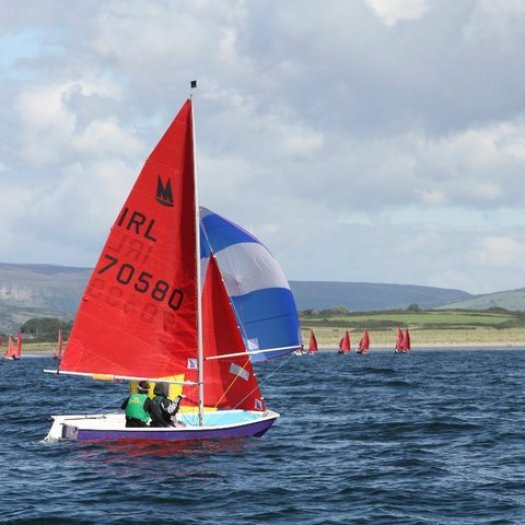 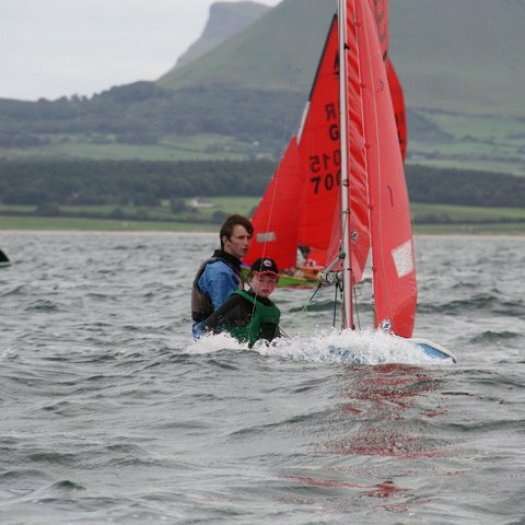 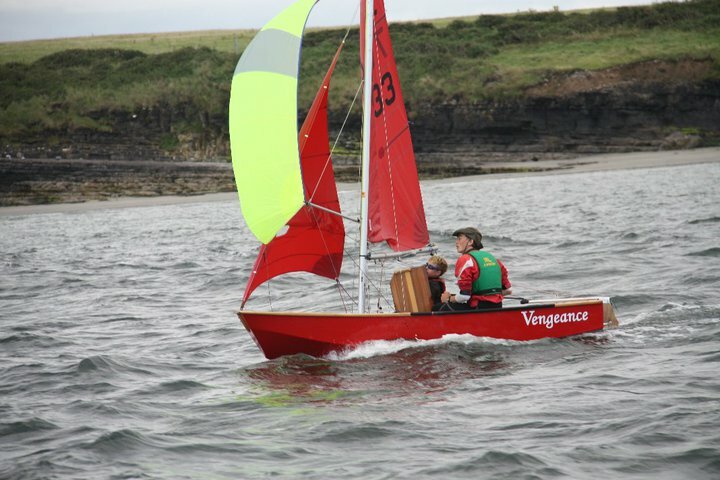 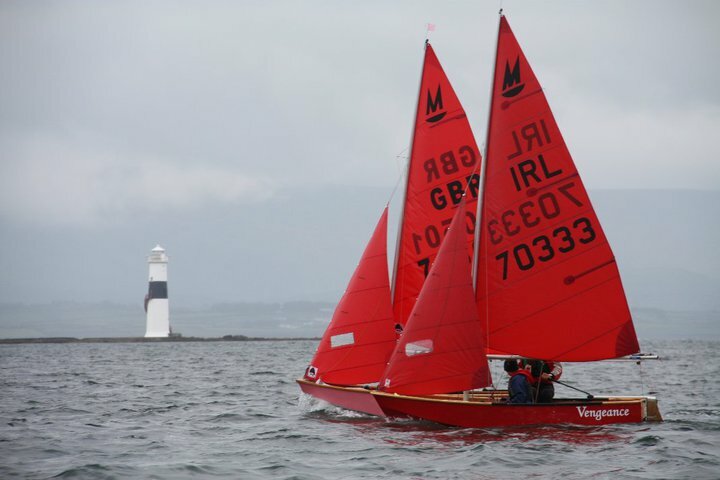 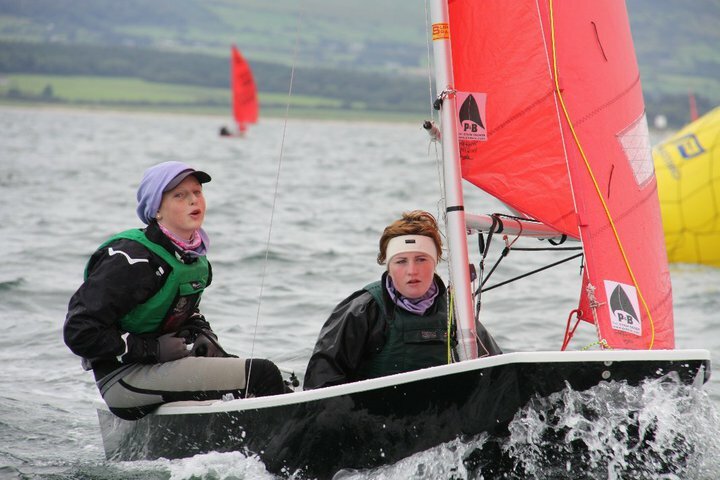 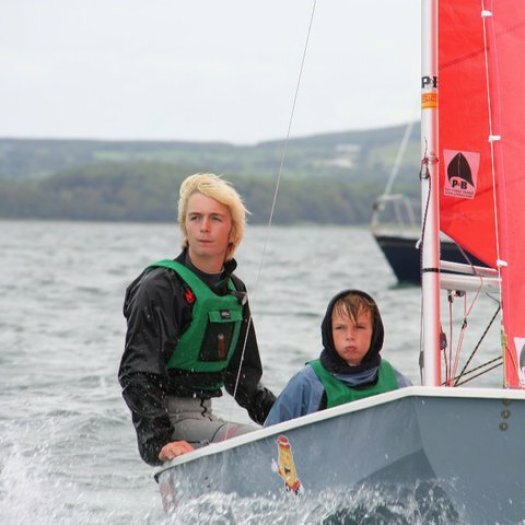 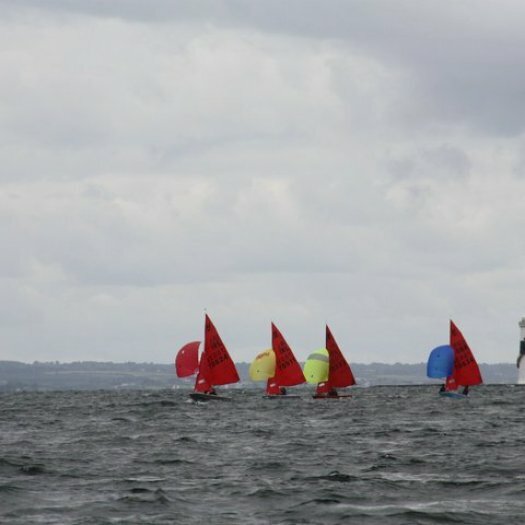 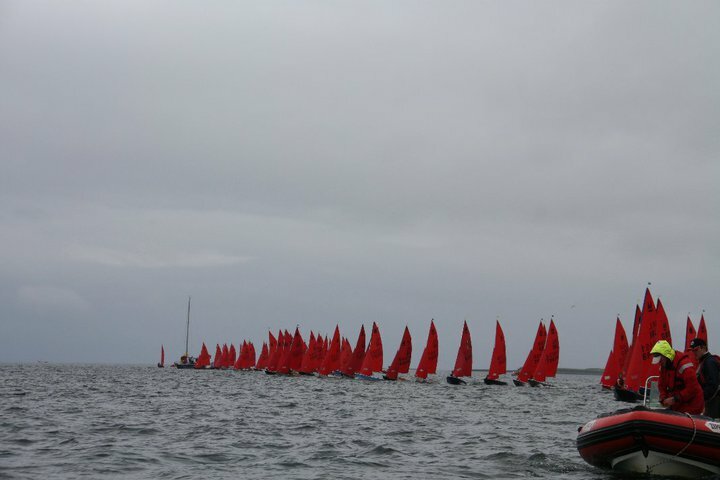 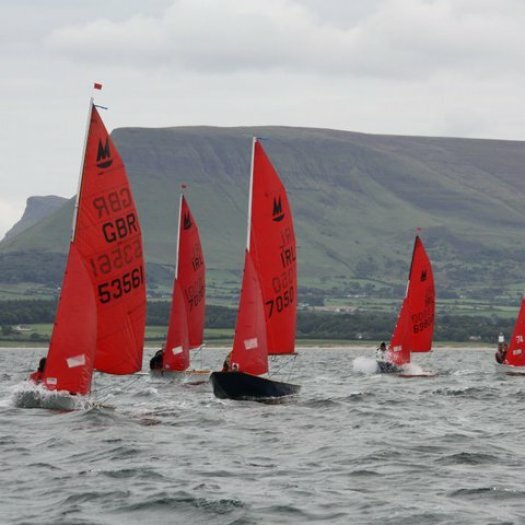 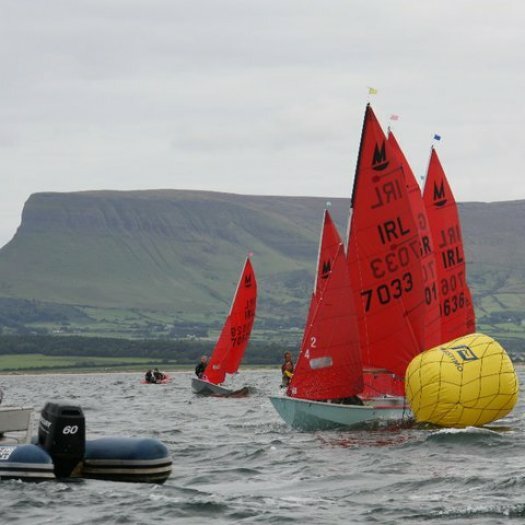 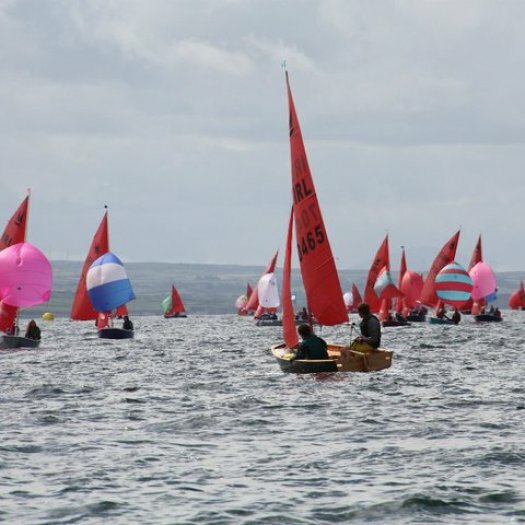 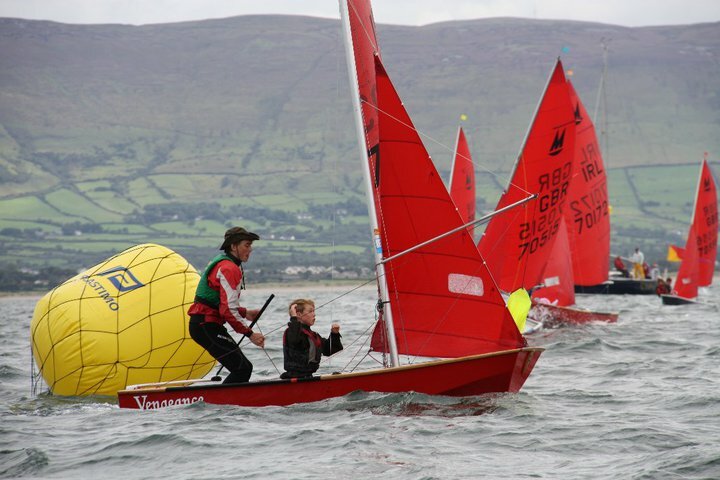 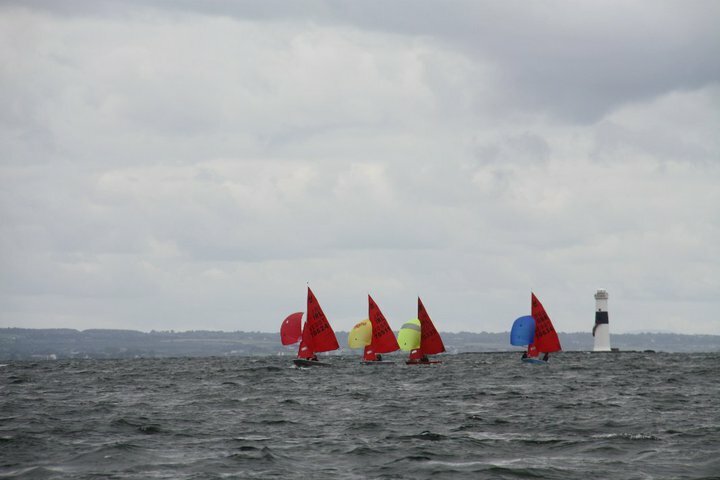 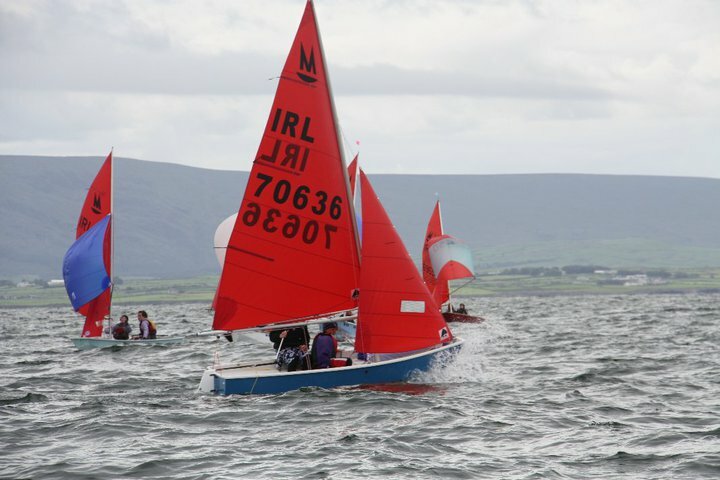 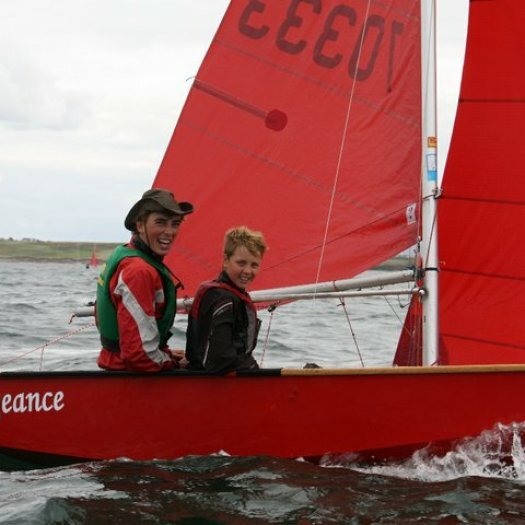 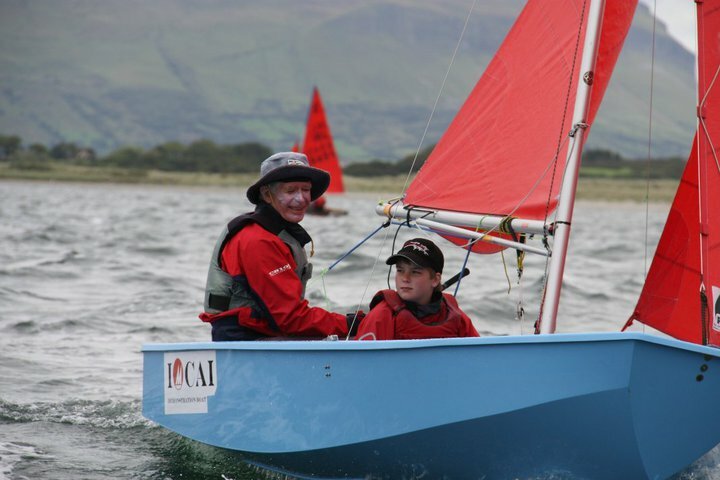 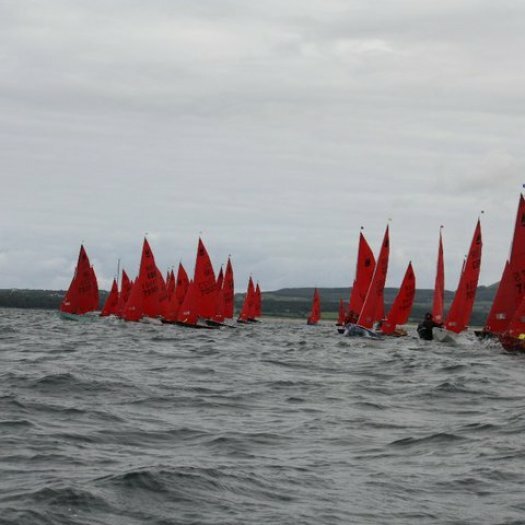 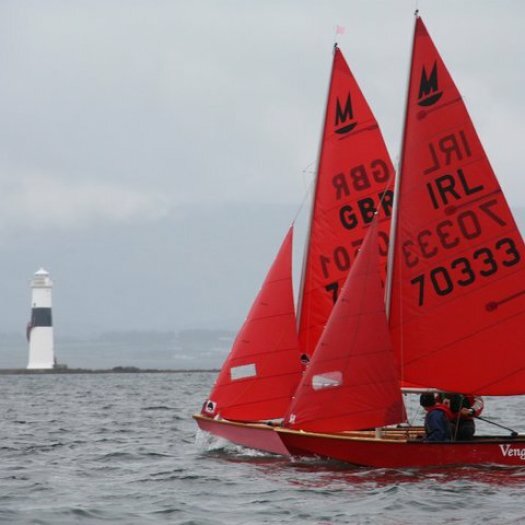 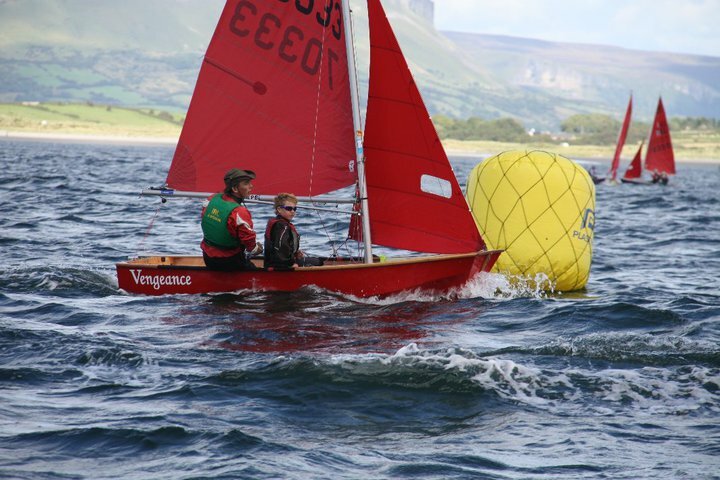 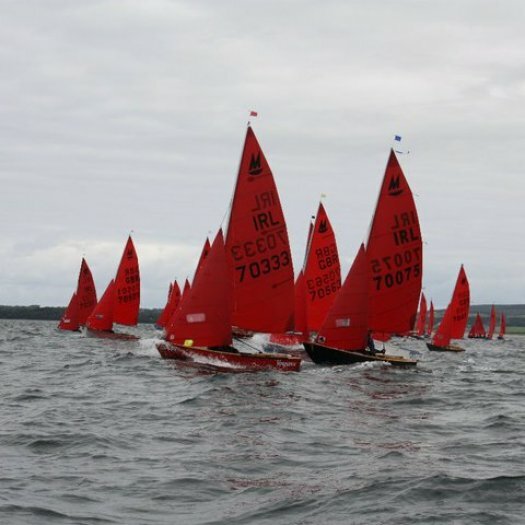 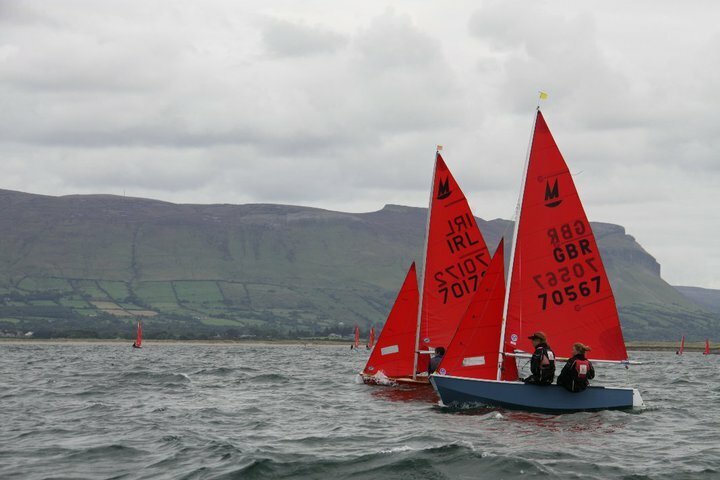 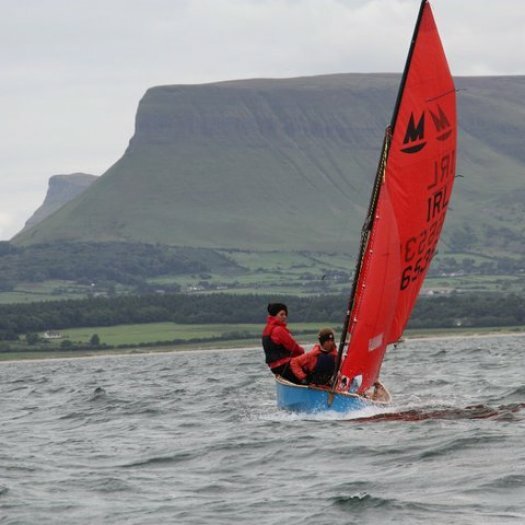 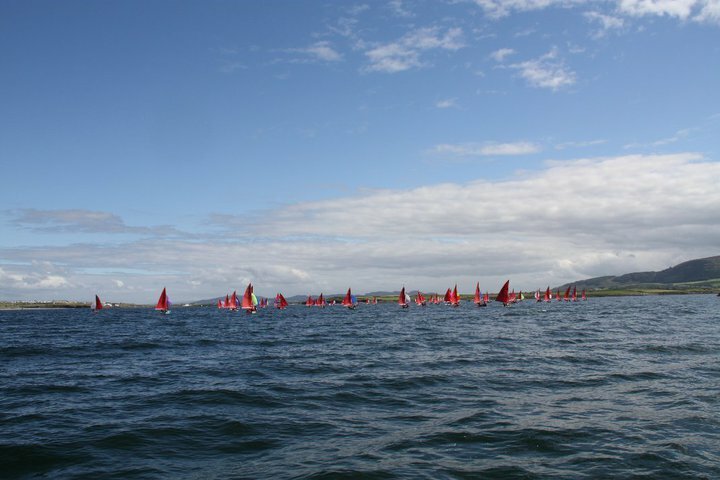 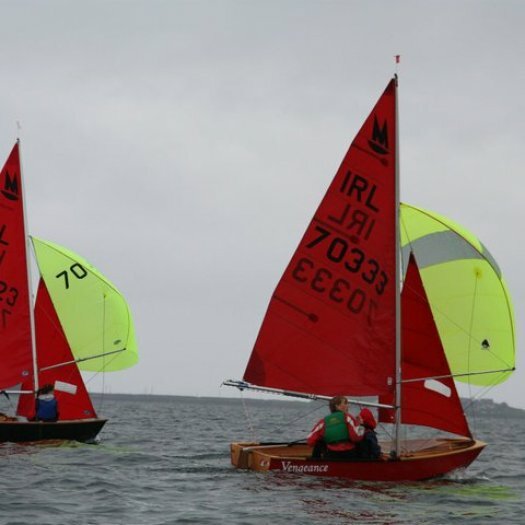 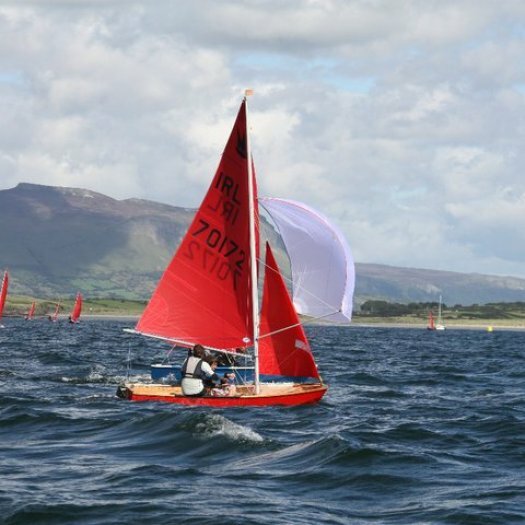 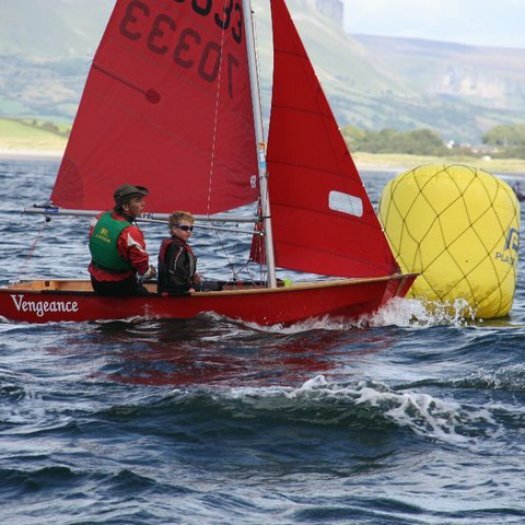 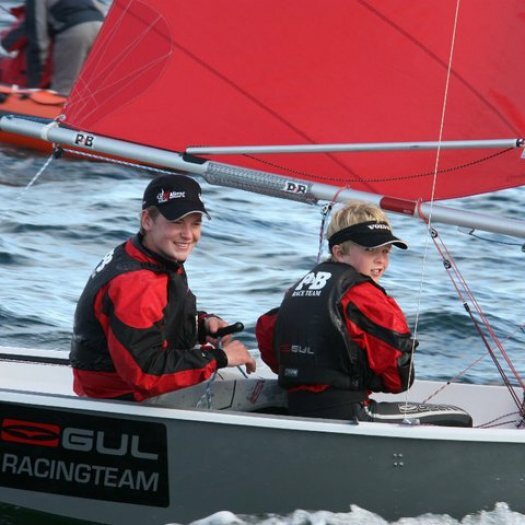 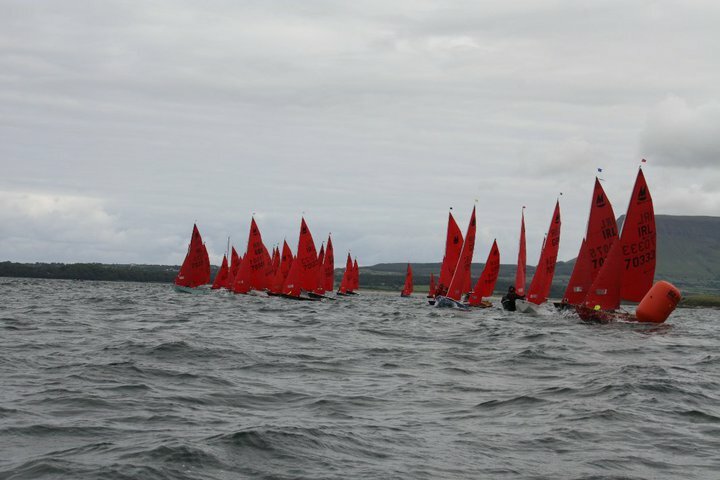 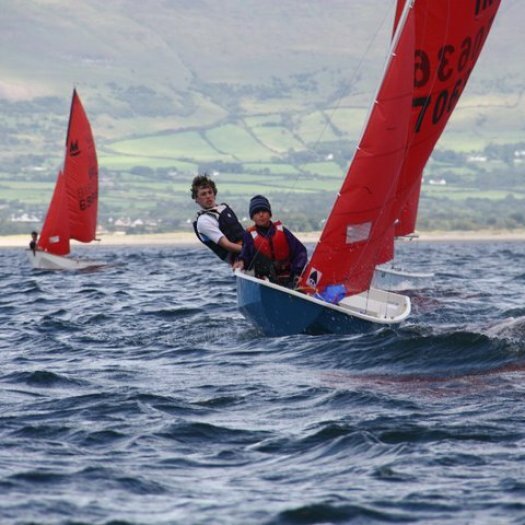 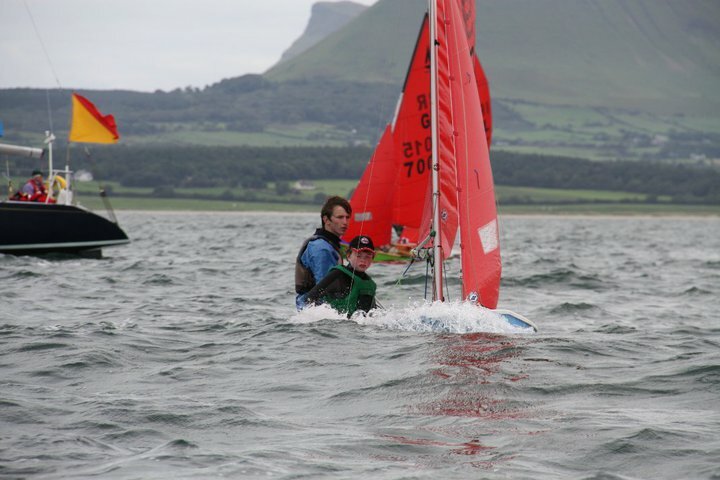 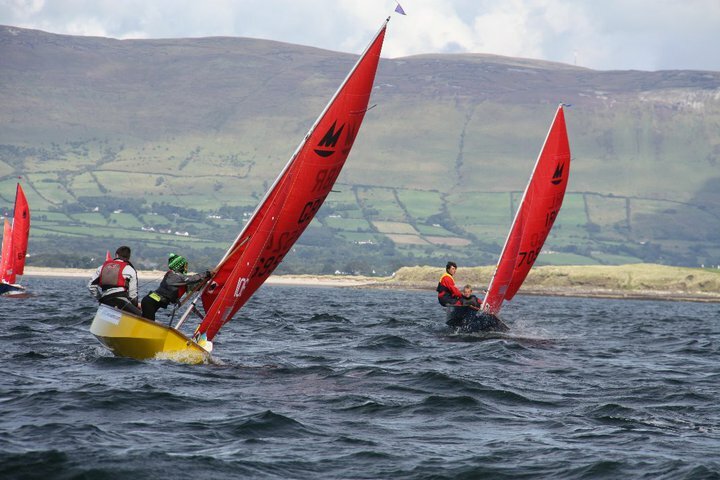 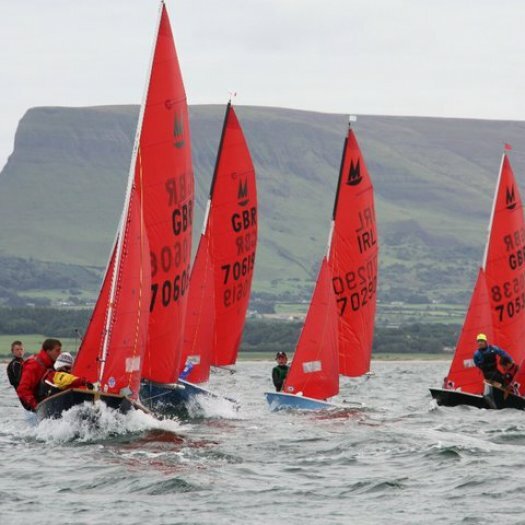 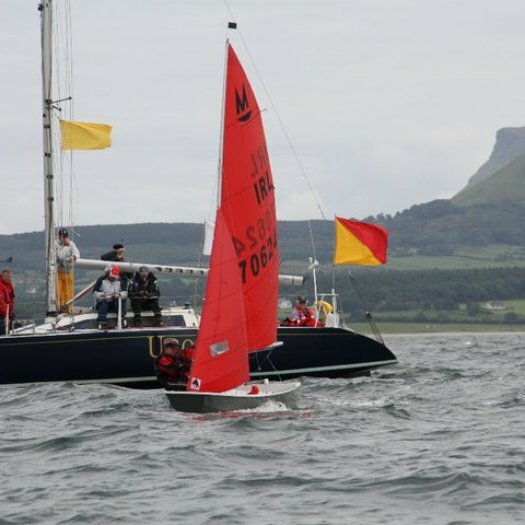 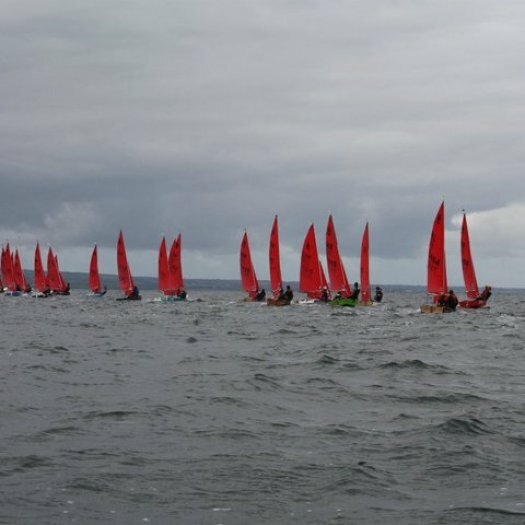 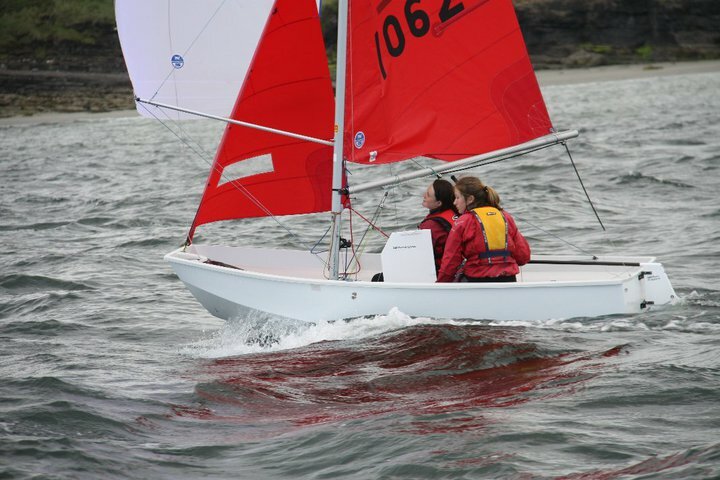 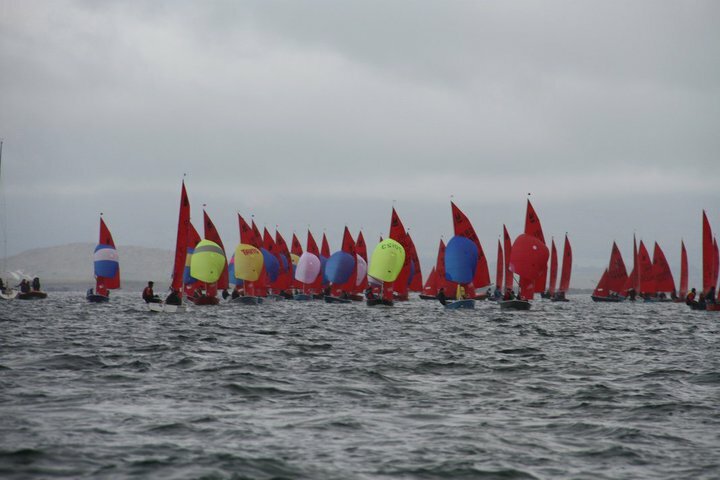 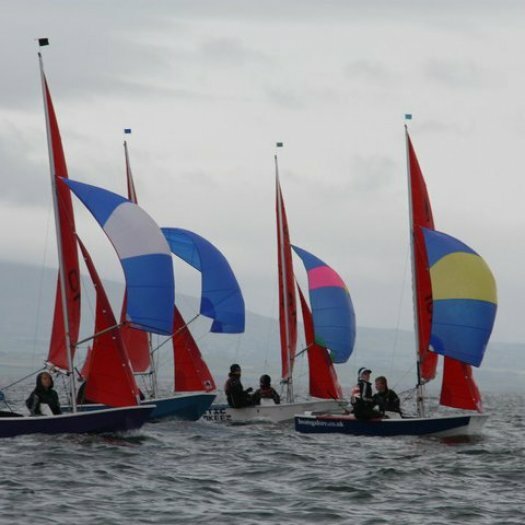 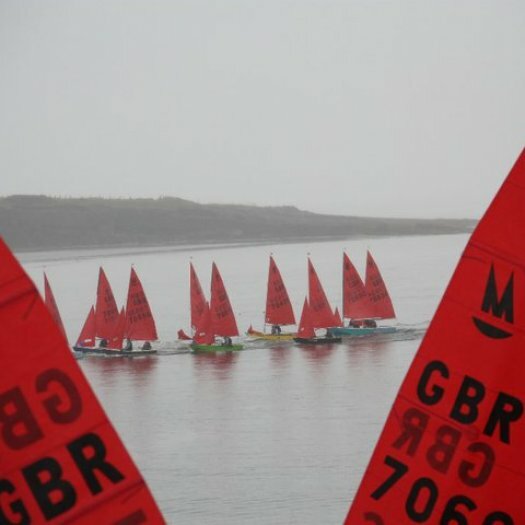 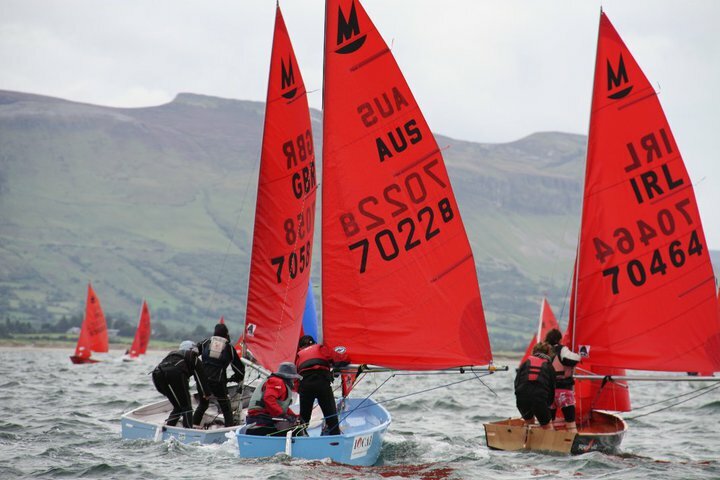 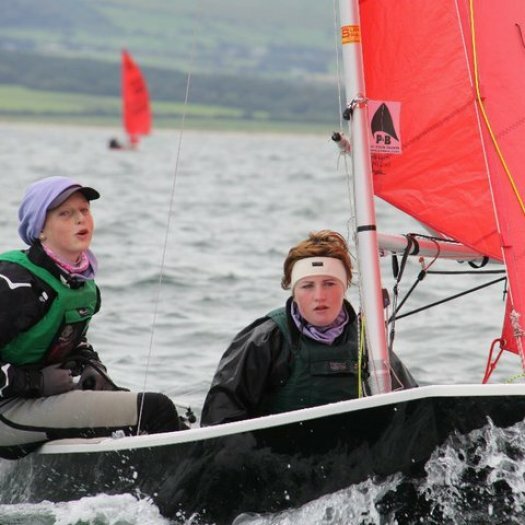 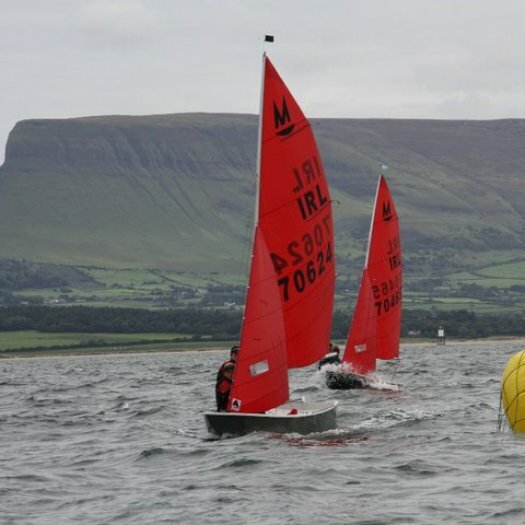 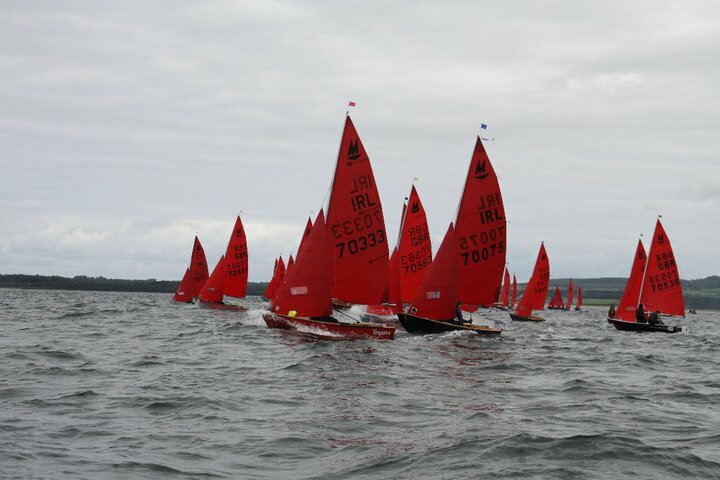 Photographs from previous events at Sligo can be seen on http://www.fotosail.com/ . 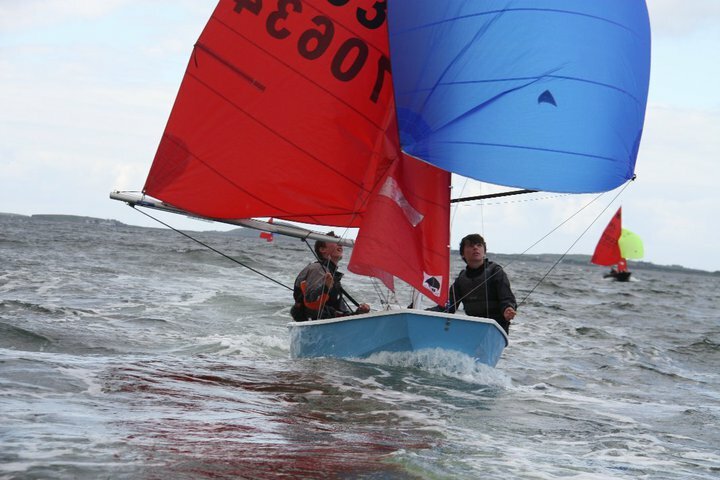 Fotosail have been engaged to capture the thrills and spills of event next summer also. 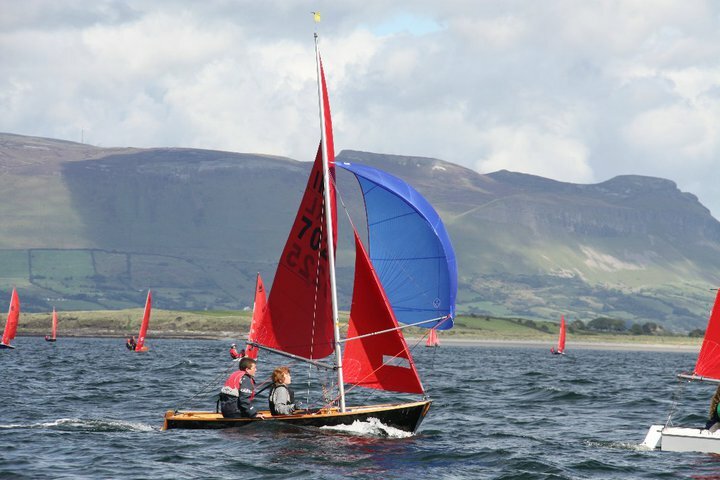 There are a number of ferry options depending on the individual’s point of origin. 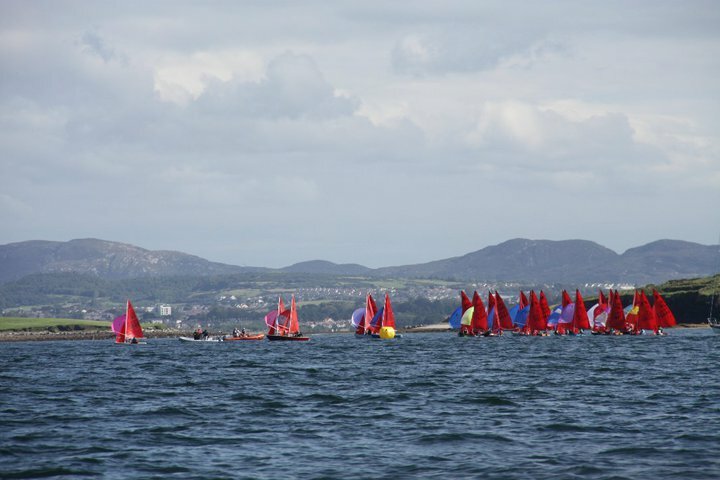 From Holyhead the sea journey time is 3 hours to either Dublin Port or Dun Laoire. 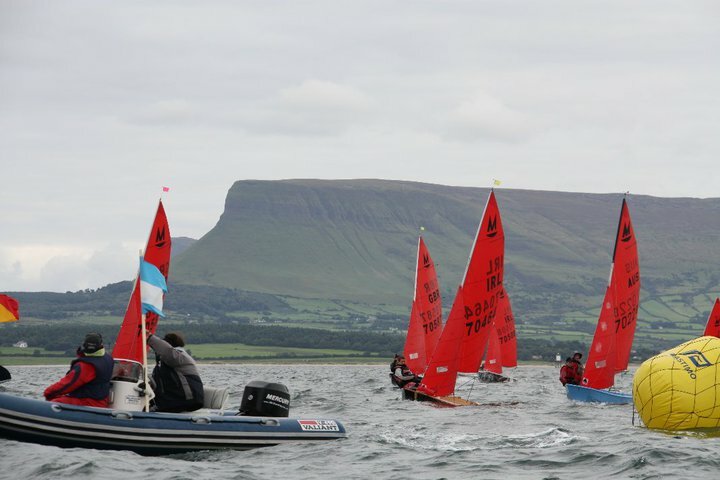 From there the road trip to Sligo takes 3 hours (about 1/3rd on motorway – M4 - and the rest on good class national primary roads - N4). 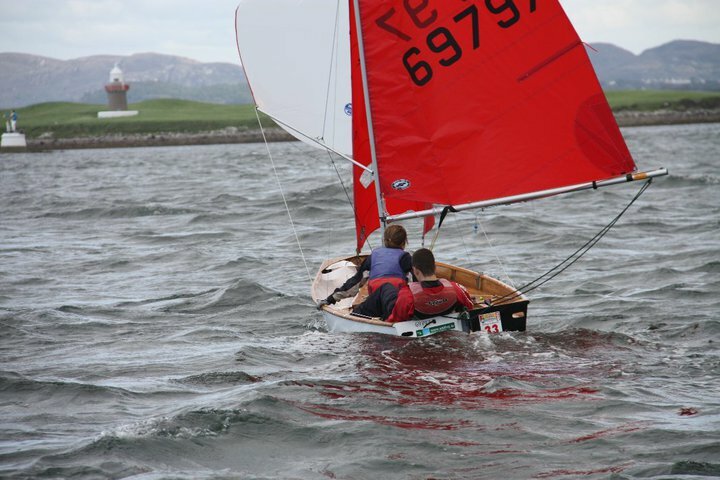 Having made the journey in the opposite direction we can say that it is not a difficult one. 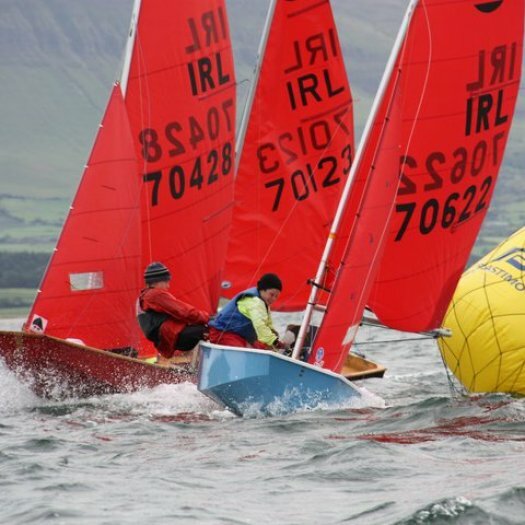 For anyone not bringing a boat there is a rail service from Dublin and direct flights from various parts of the UK to Knock airport (about 1 hour from Sligo). 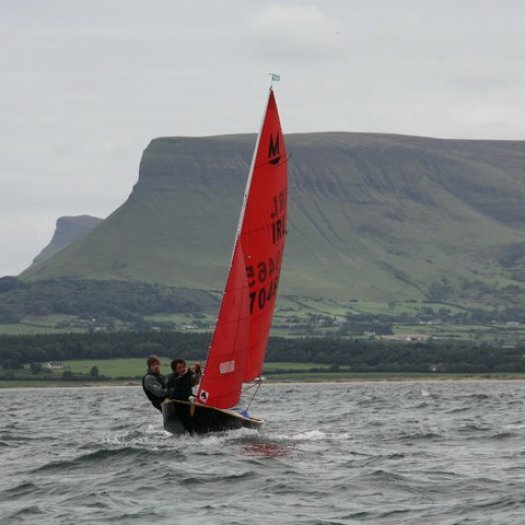 There are commuter flights from Dublin to Sligo Airport itself. 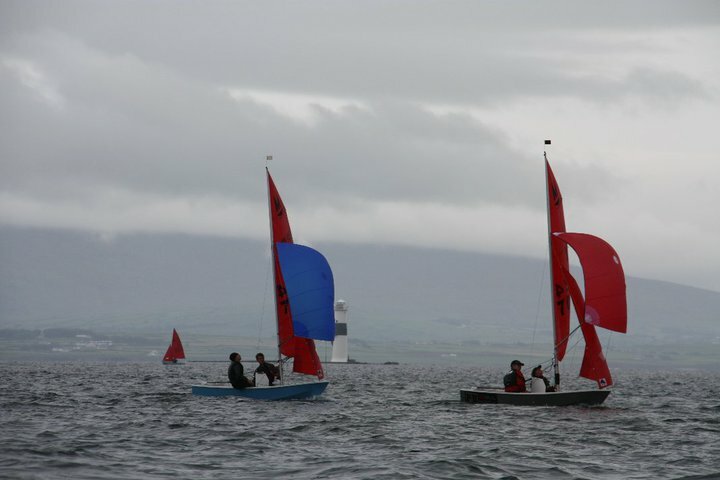 Rosses Point has two good quality hotels, the Yeats County which is within walking distance of the Yacht Club (see www.yeats-country-hotel.com). 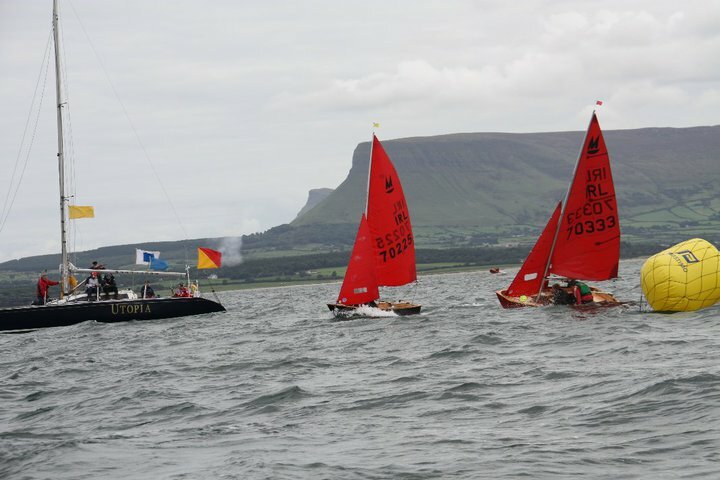 The Radisson Hotel is about 2 miles from the clubhouse (see www.radissonblu.ie/sligo). 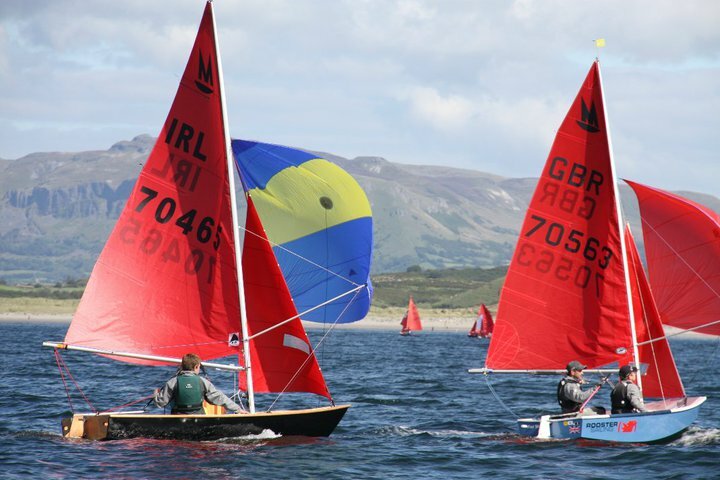 Both have high quality leisure facilities. 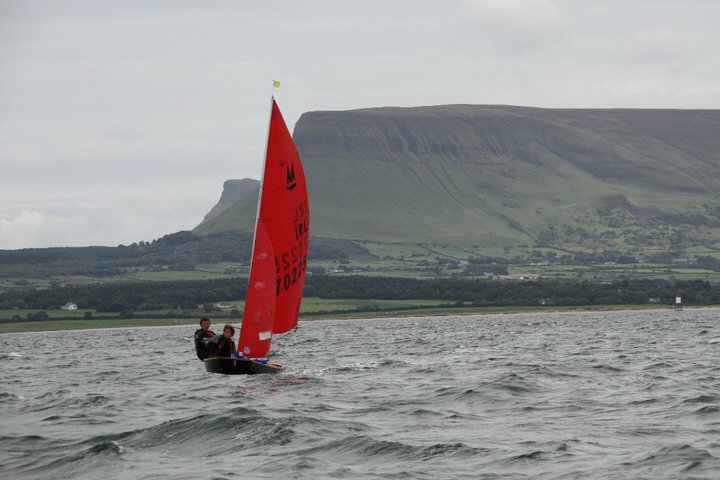 Sligo Town has other hotel options. 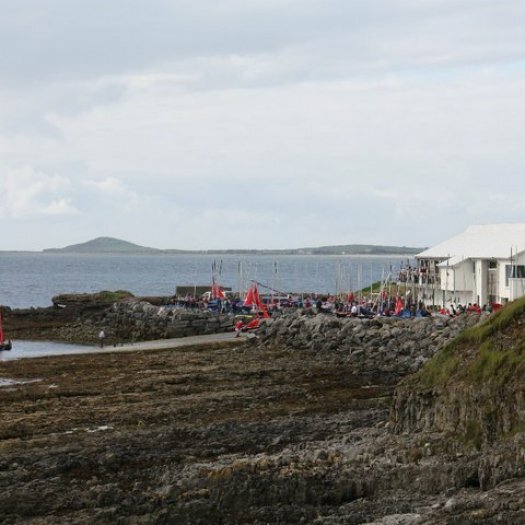 There are several guesthouses and houses which can be rented for the week within and around the village. 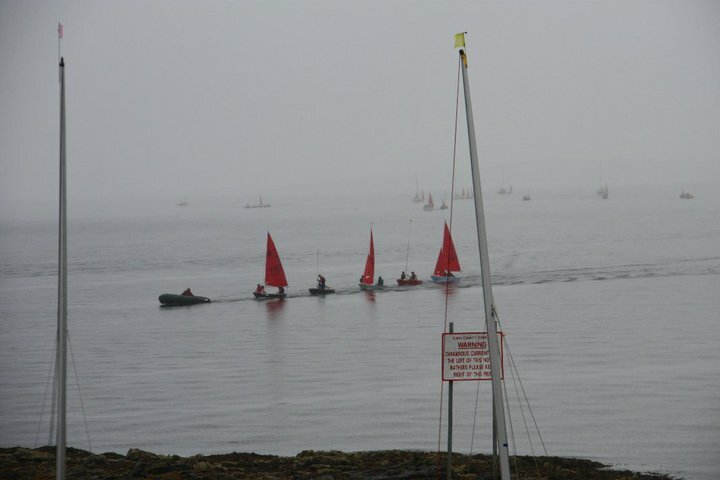 About 100 yards from the clubhouse there is a large caravan and camping park. 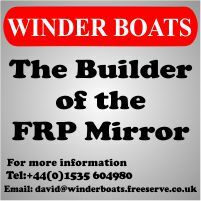 Generally it does not accept bookings (due to bad experiences with no shows) but we expect to be able to make bookings for confirmed entries. 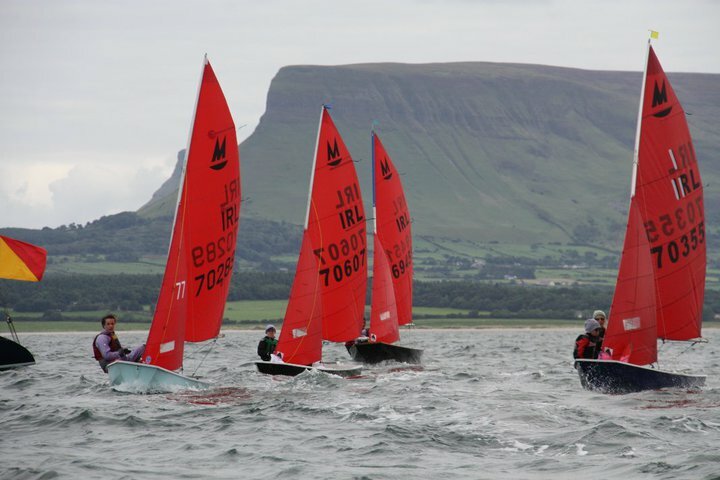 Another accommodation option is the Gateway Apartment complex which is at the outskirts of Sligo Town. 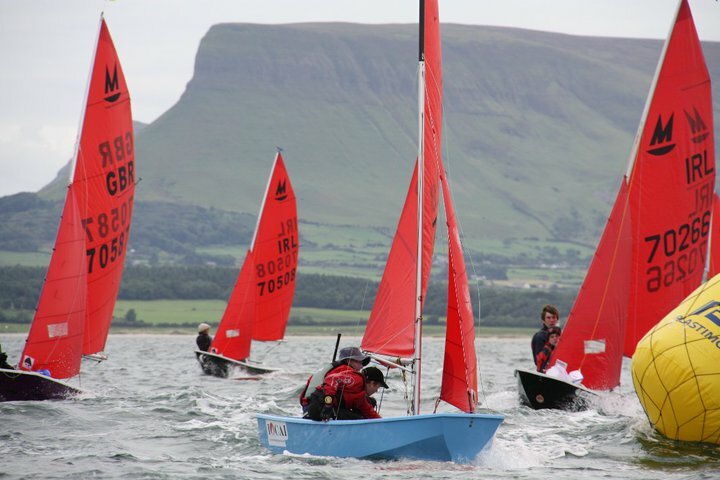 This is high quality student accommodation which is let during the summer on a weekly basis. 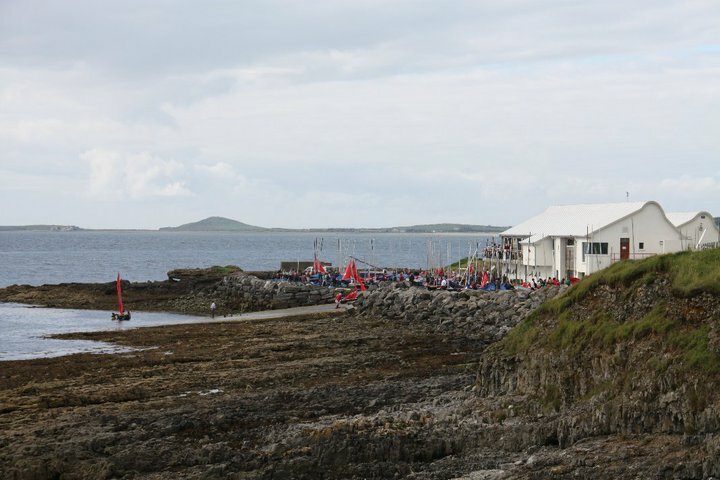 Each unit has two bedrooms and sleeps 5 but no objection is taken to extra bodies on the floor within reason. 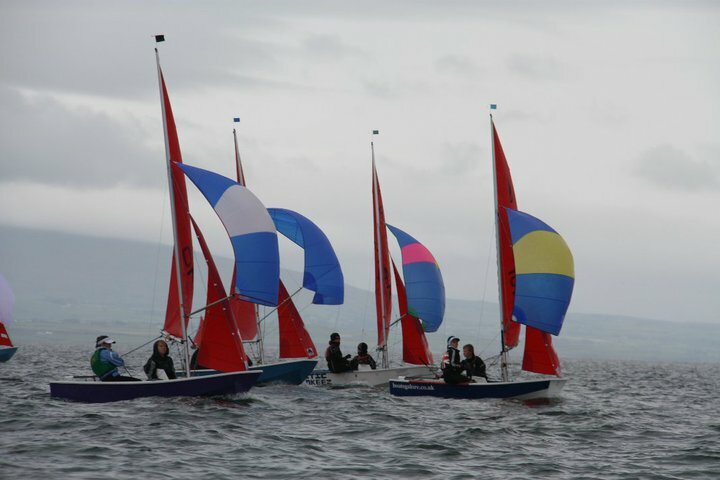 The club frequently make arrangements with the management and our visitors find it very satisfactory. 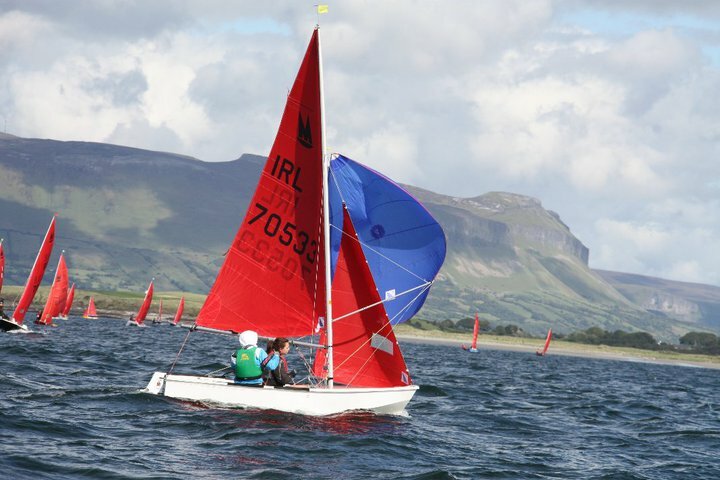 For the week the rate we have negotiated is €300. 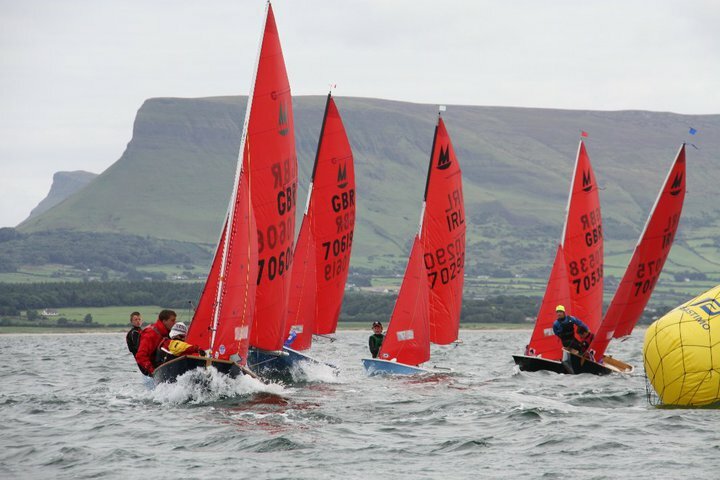 Their website is http://www.gatewayapartments.ie/ and this provides booking facilities. 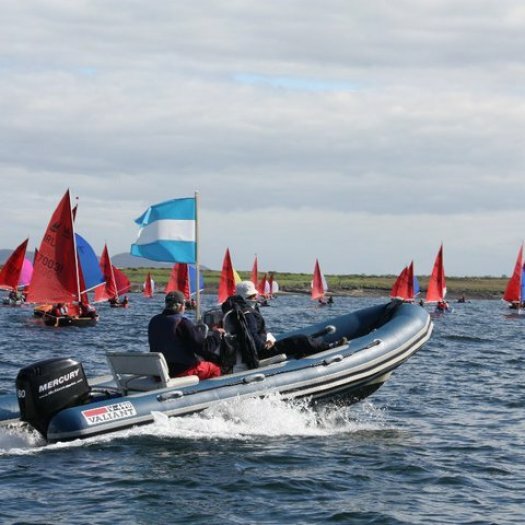 This is very good value for the time of year but it must be remembered that this complex is about 6 miles from the clubhouse. 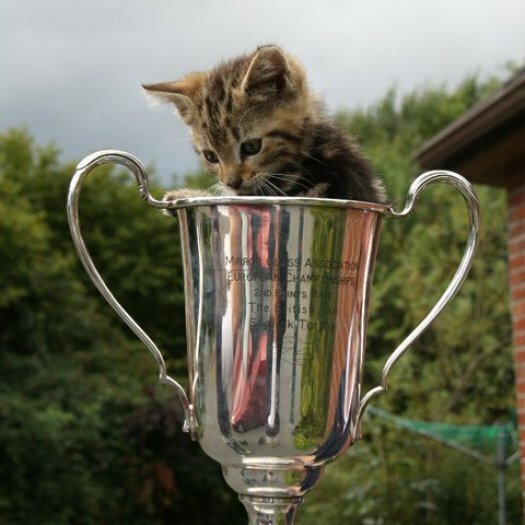 Although the drive is not difficult Irish drink driving laws have become very strict. 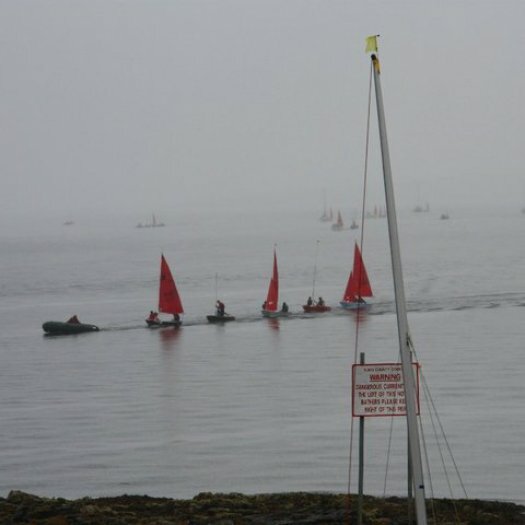 Taxies are readily available however. 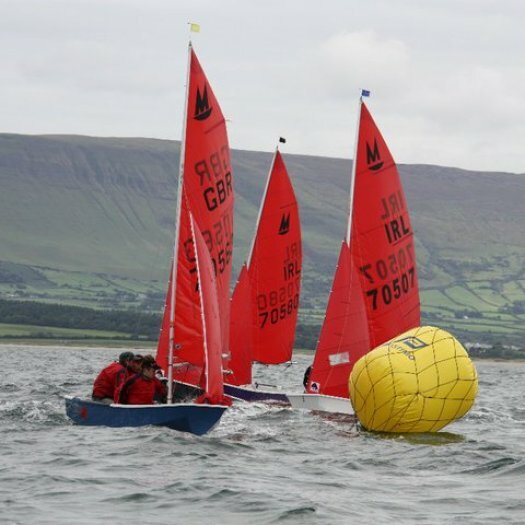 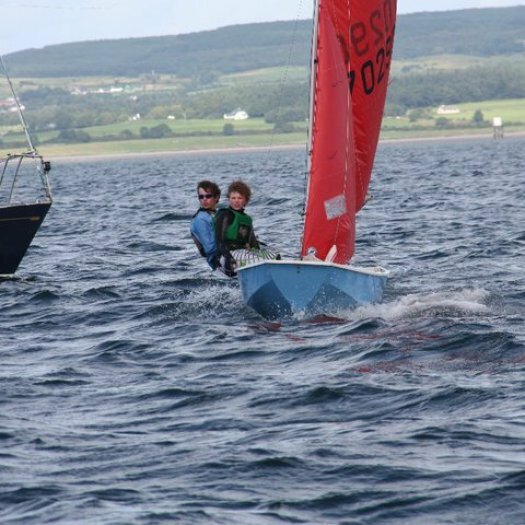 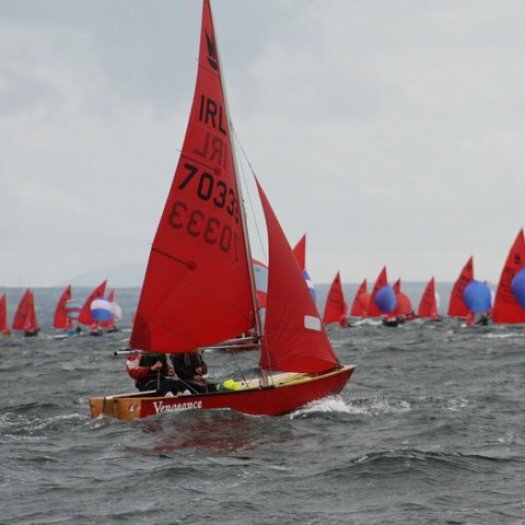 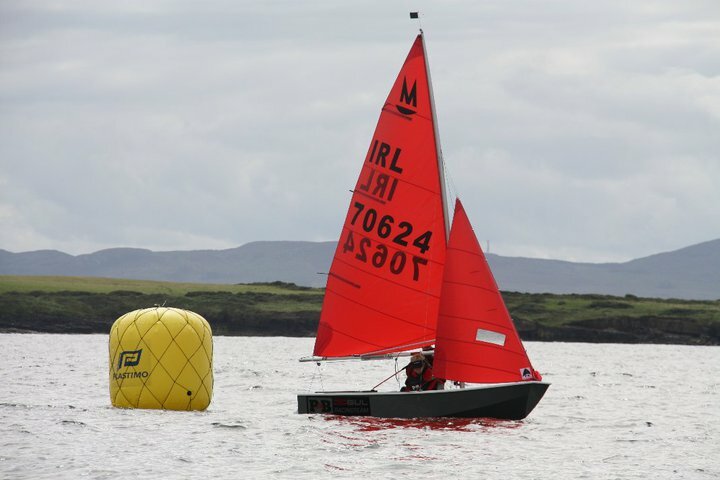 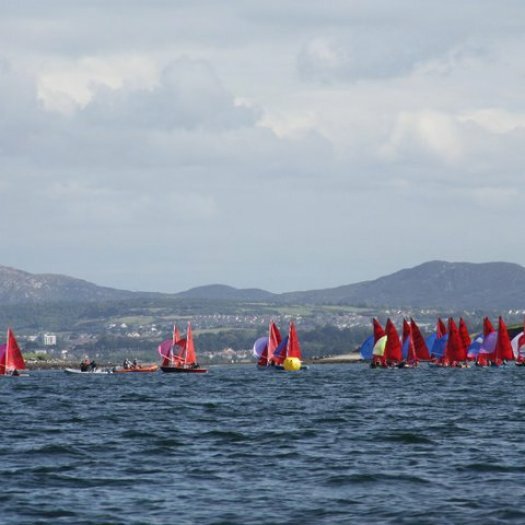 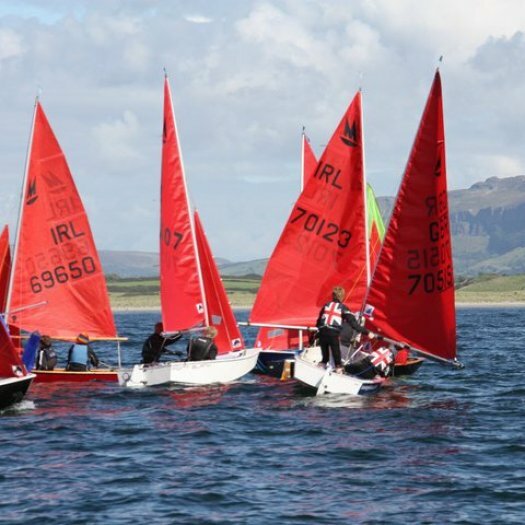 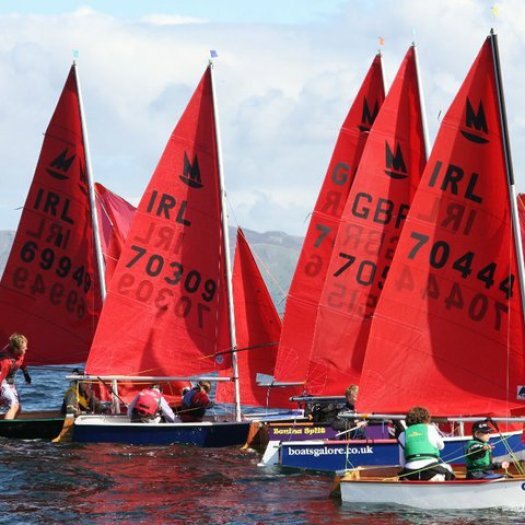 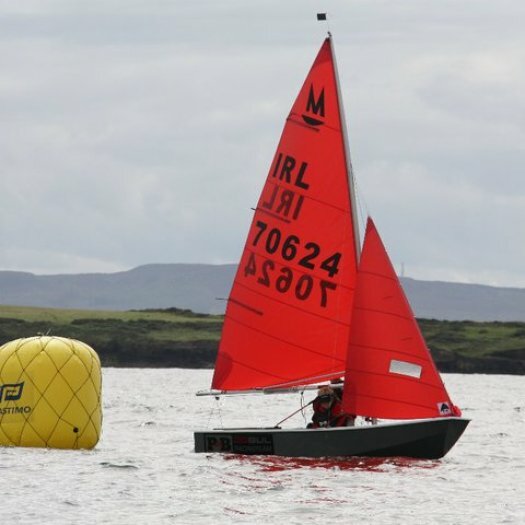 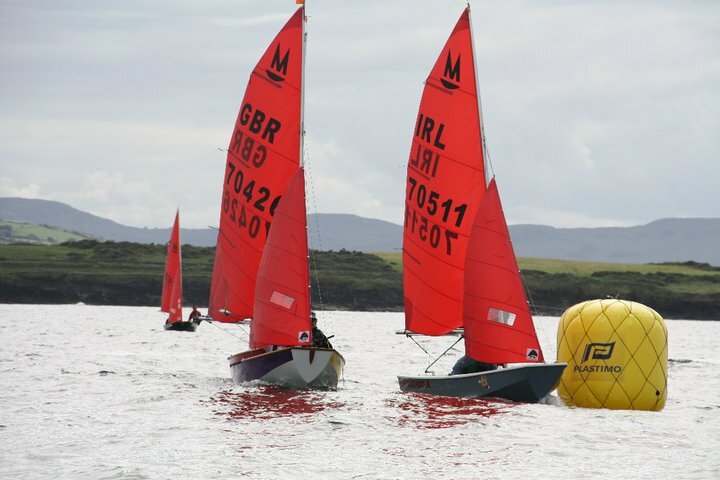 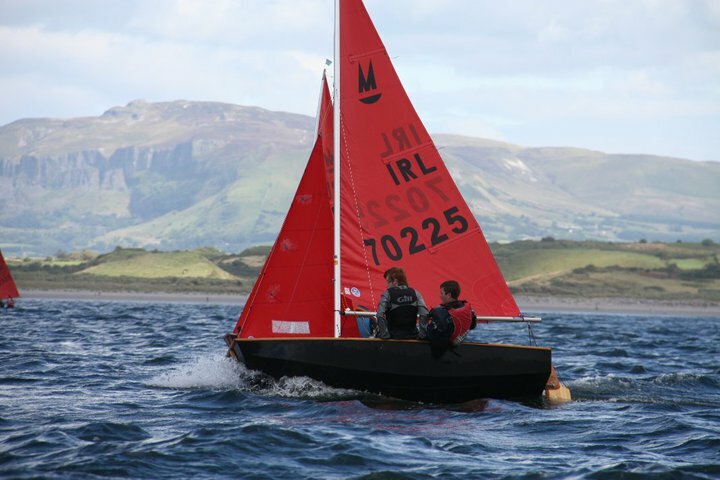 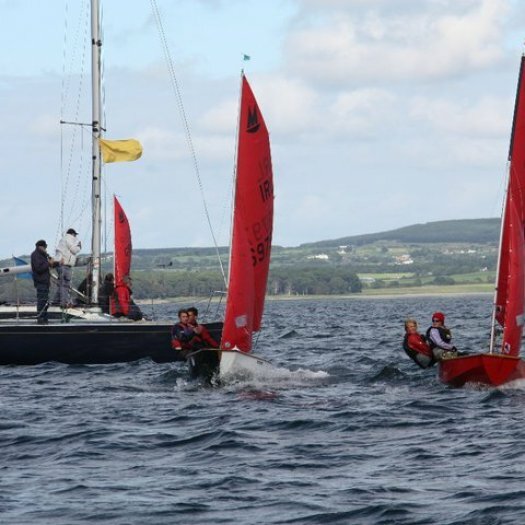 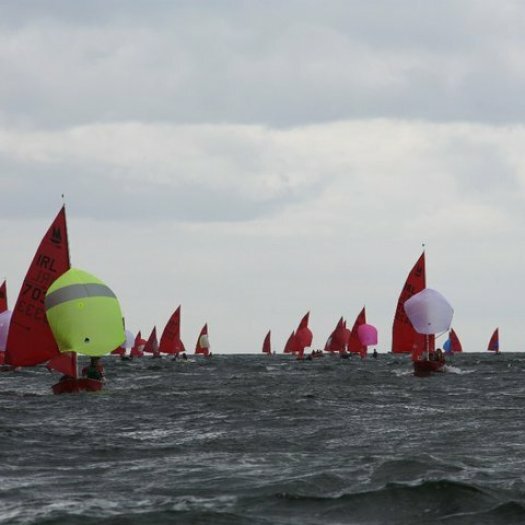 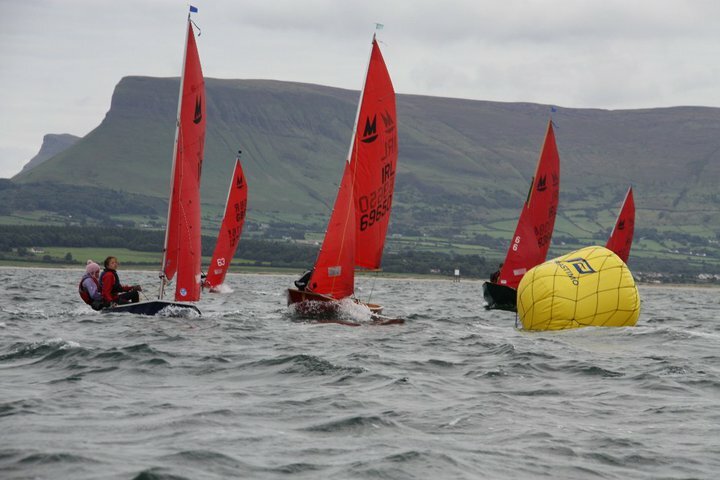 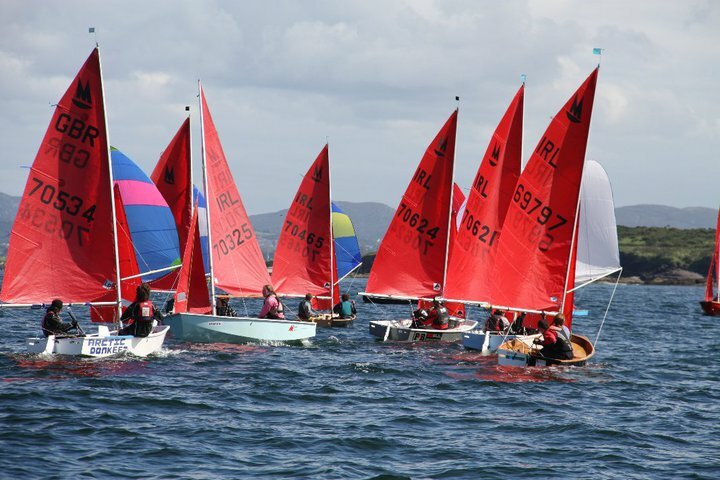 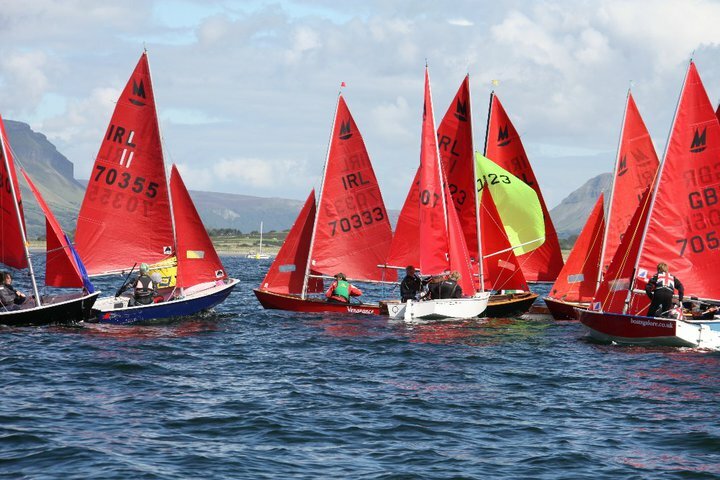 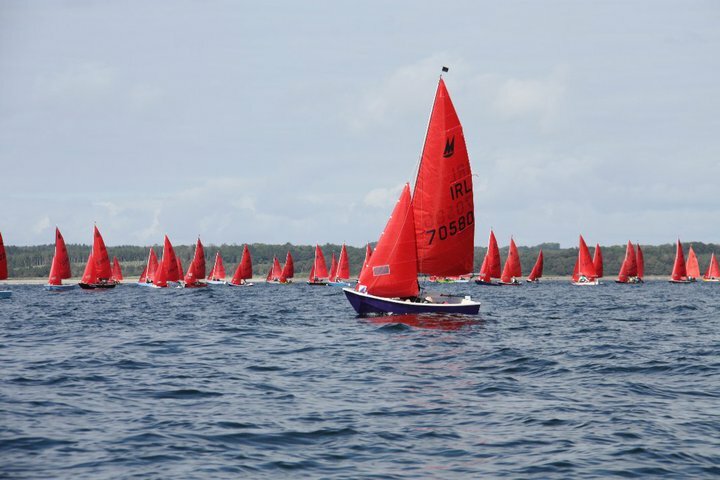 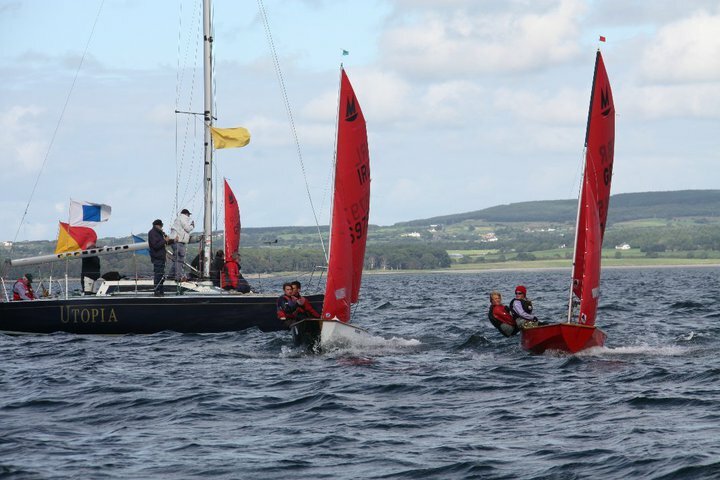 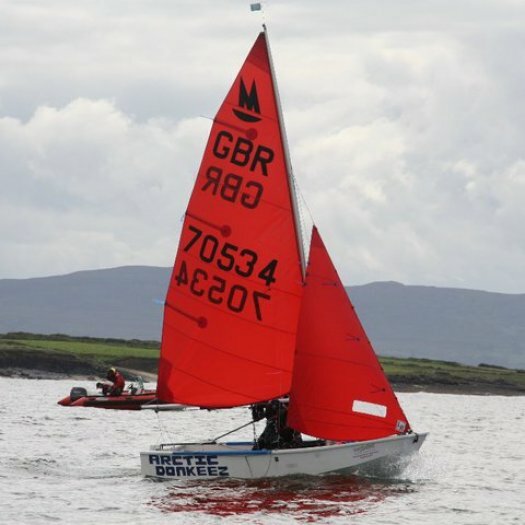 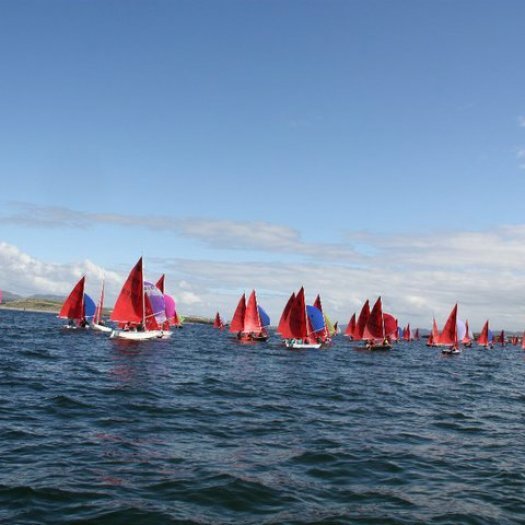 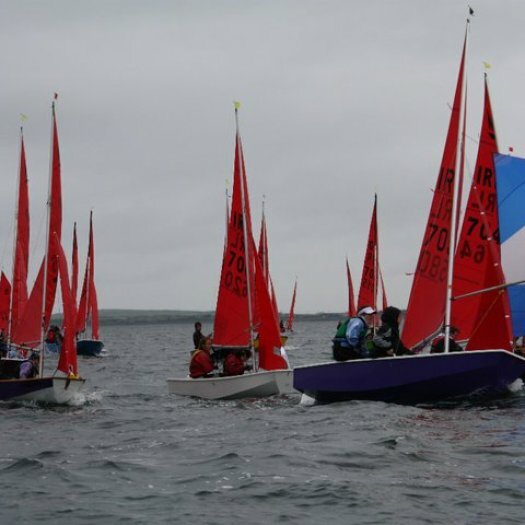 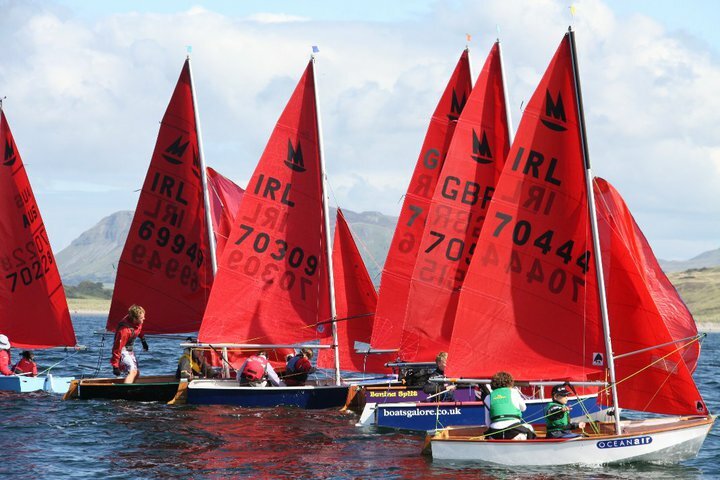 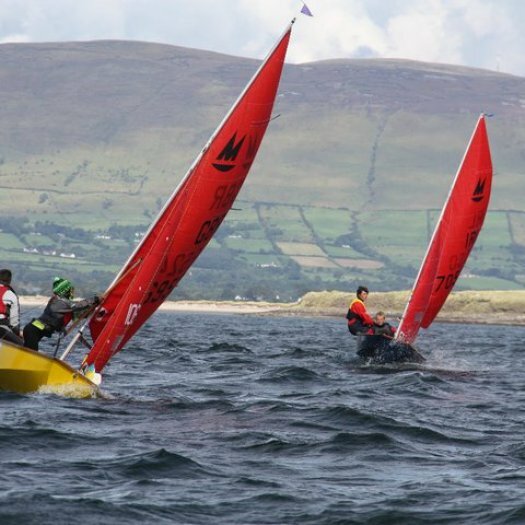 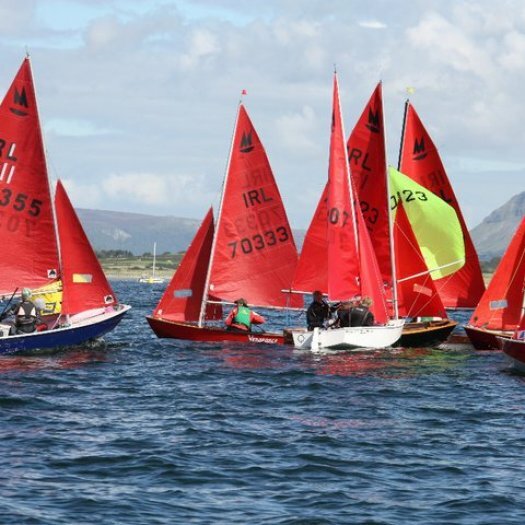 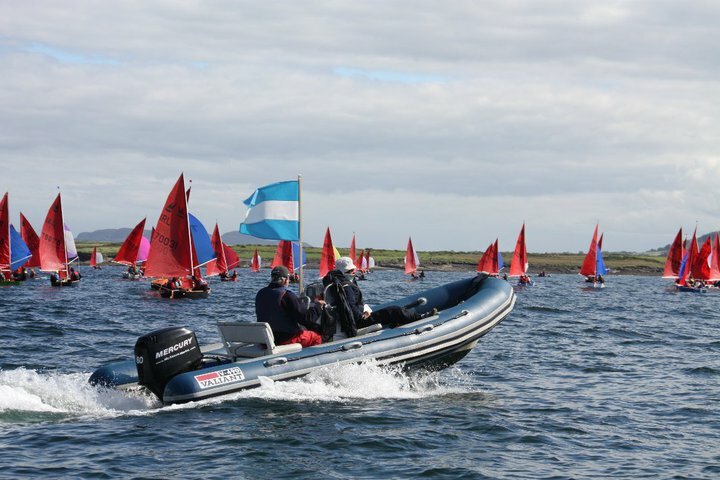 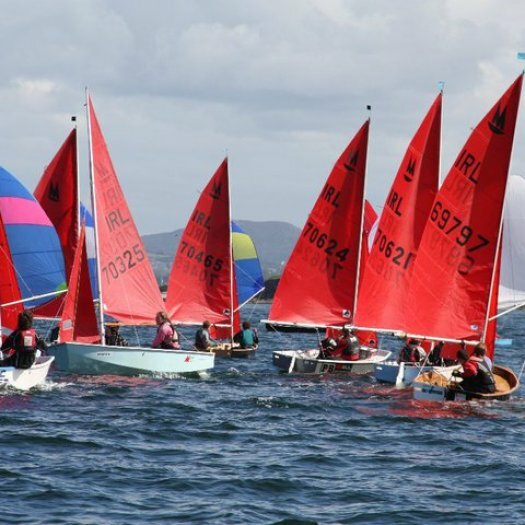 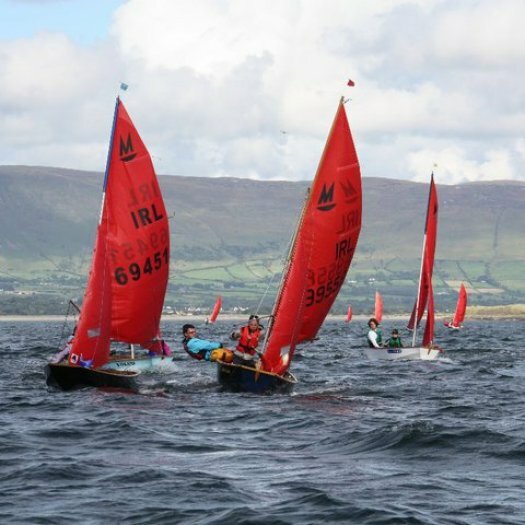 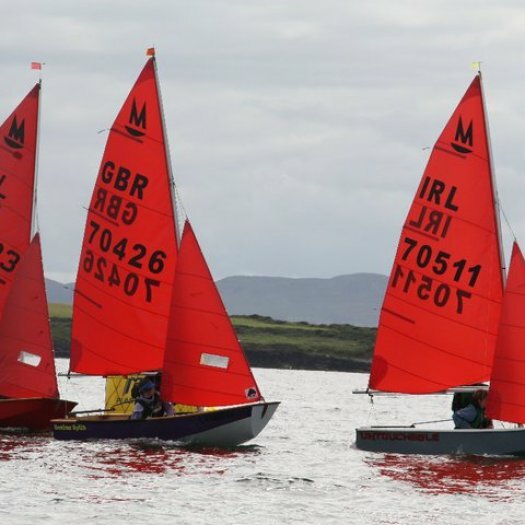 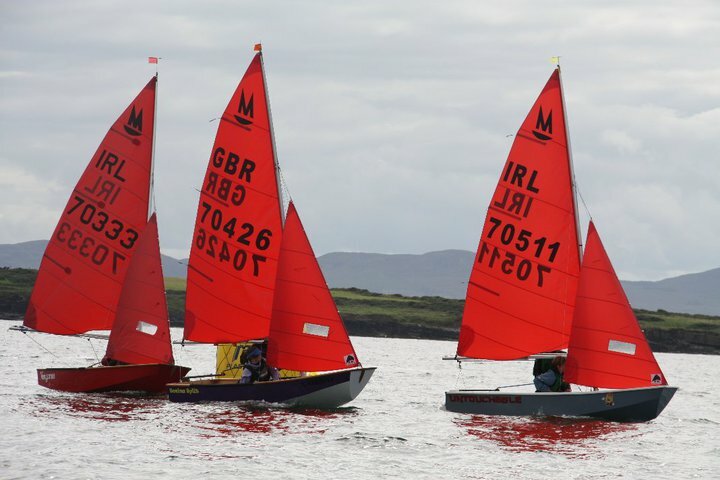 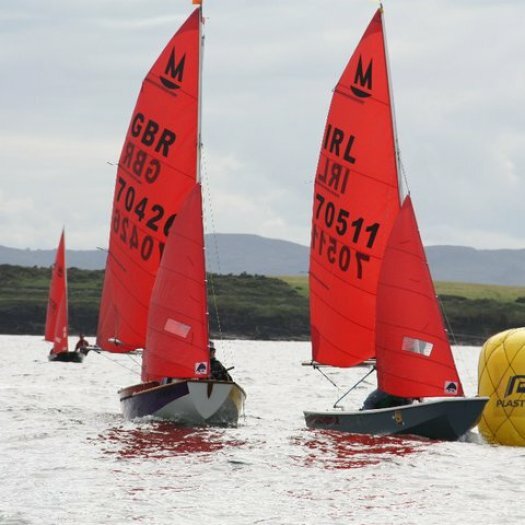 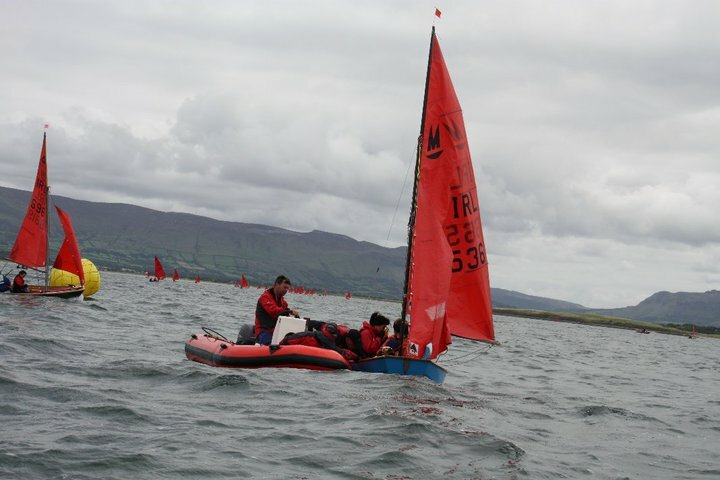 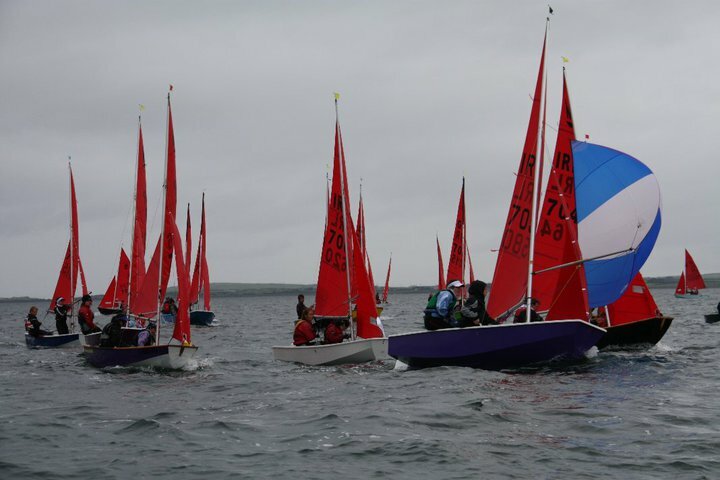 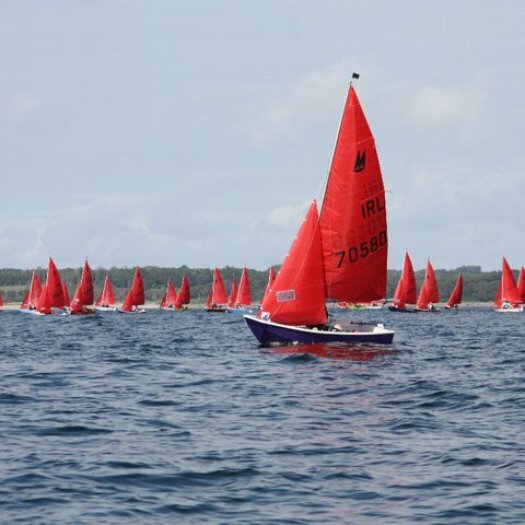 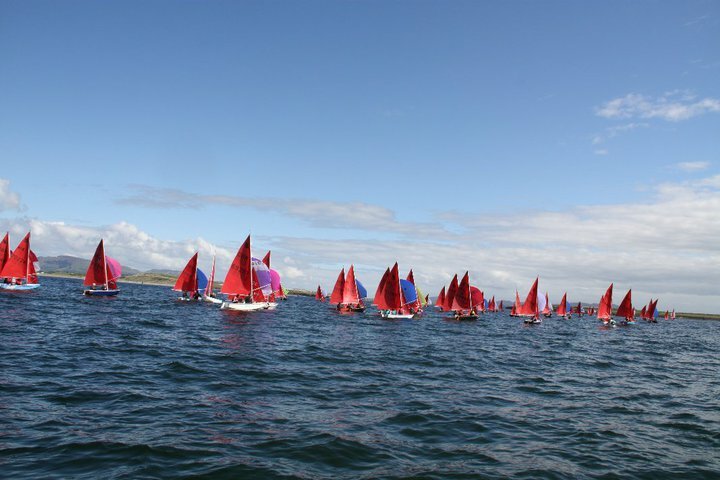 We plan to provide top class racing but in addition to the sailing Rosses Point and the surround area is packed with facilities to make an enjoyable stay for the entire family. 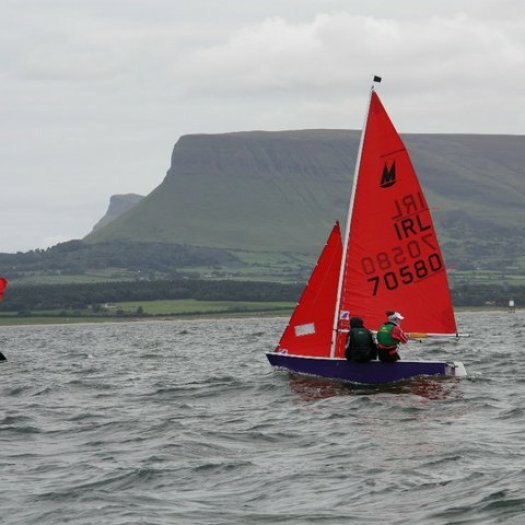 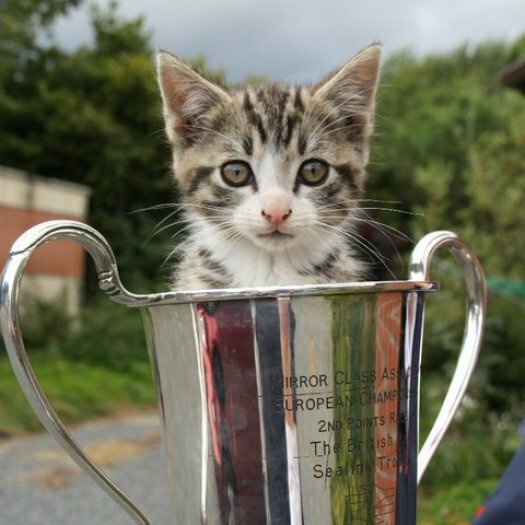 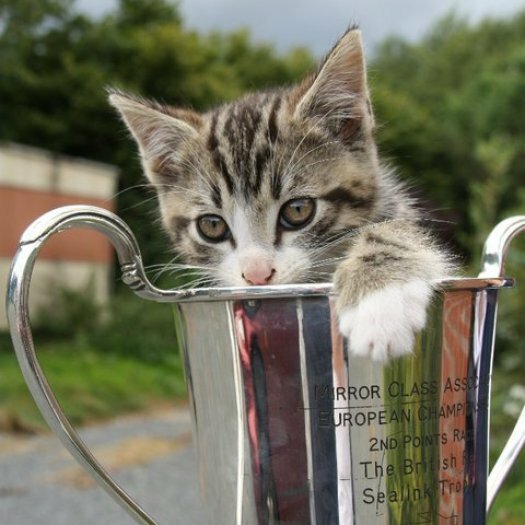 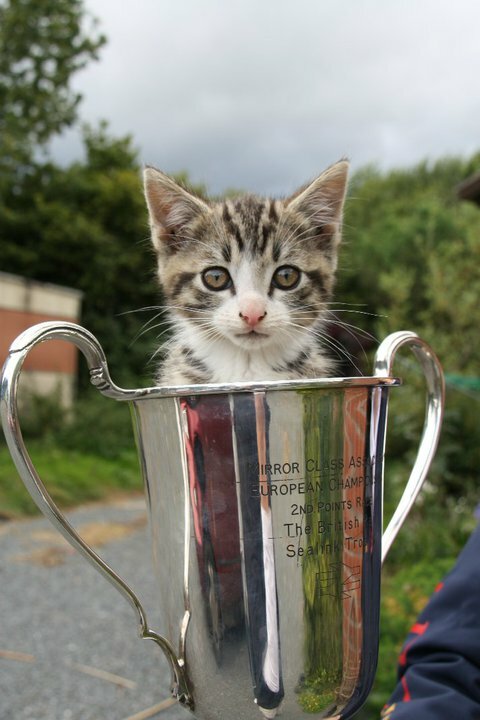 Ø There is a championship 18 hole golf course 200 yards from the Club (see www.countysligogolfclub.ie . 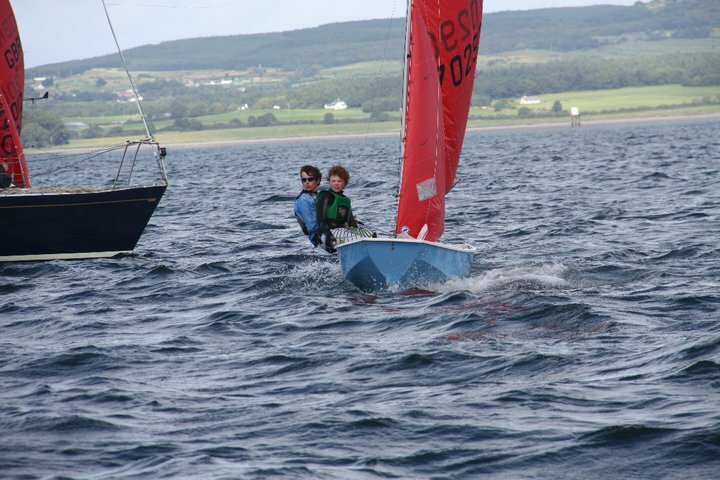 Note the photographs of the holes which show the Bay in which we sail in the background) and there are other golf courses in the area. 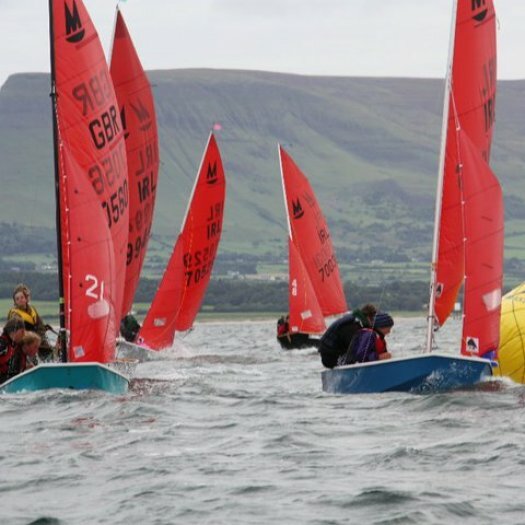 Ø The village of Strandhill on the opposite side of the bay to Rosses Point is one of Europe’s leading surfing centres (If you fancy a lesson see http://www.perfectdaysurfing.com/ and www.strandhillsurfschool.com). 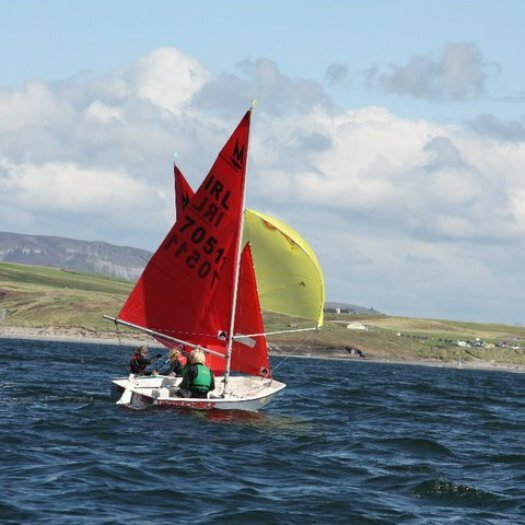 Ø The beaches at Rosses Point and around Sligo are suitable for Kitesurfing and anyone tempted should try http://www.lsdkiteboarding.com/. 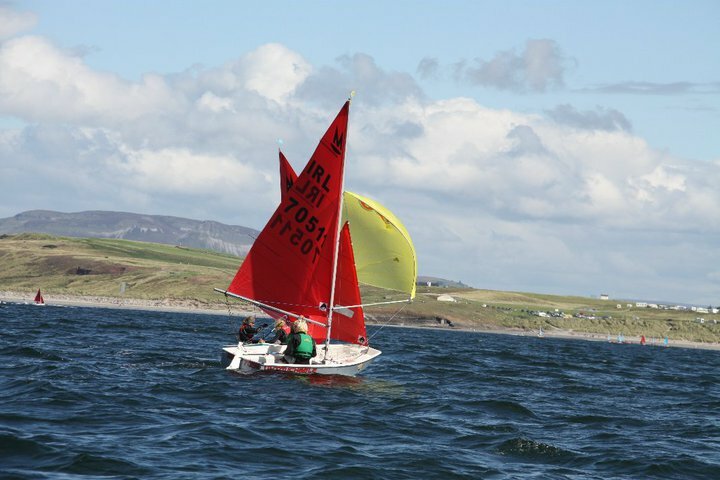 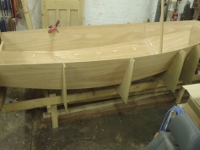 Ø For sea trips try http://spiritadventure.net/. 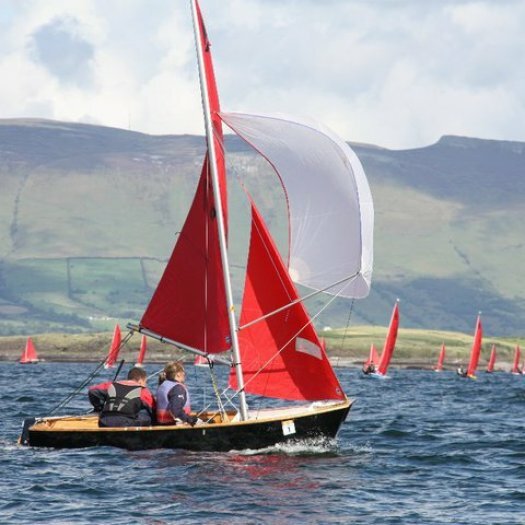 Ø Those keen on Hill Walking will have many options but the walk up the Knocknarea Mountain is not too difficult and provides spectacular views over the whole area.